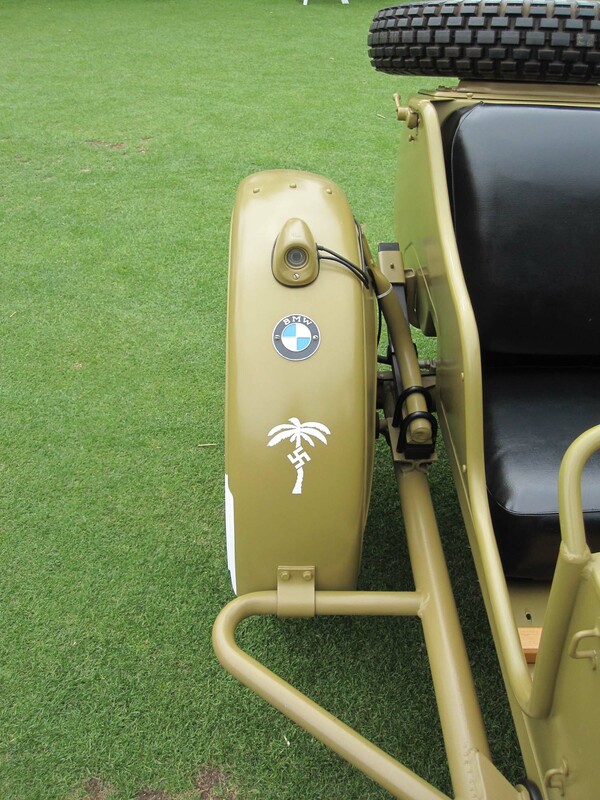 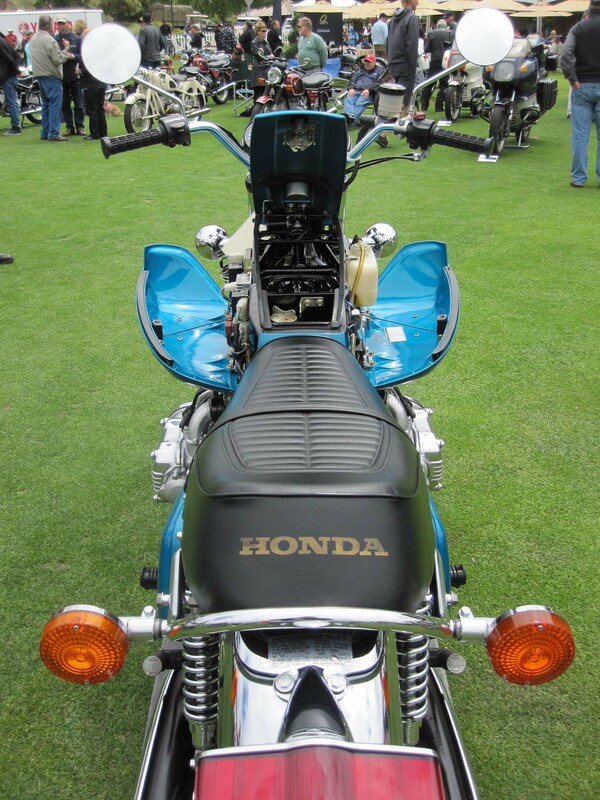 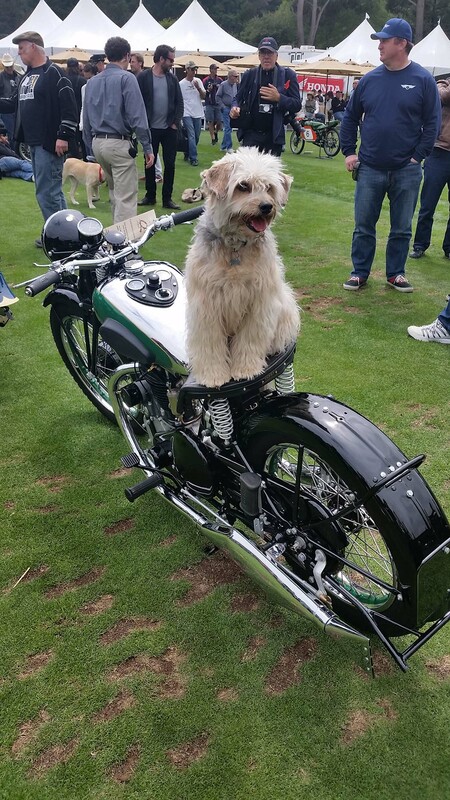 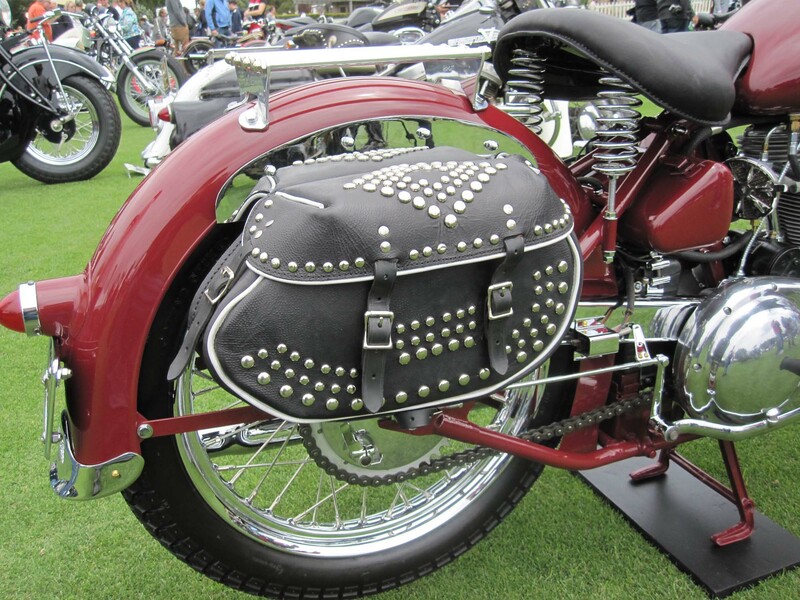 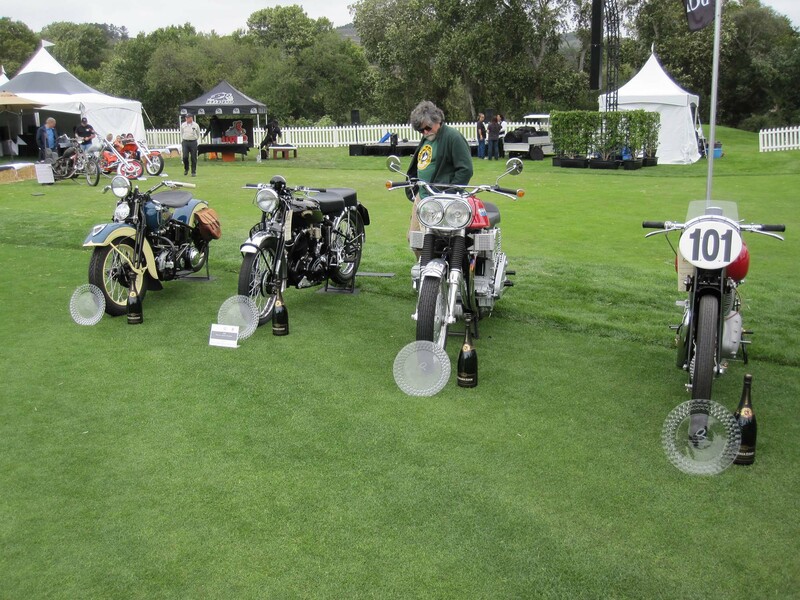 What happens when you combine a ritzy golf course, an amazing collection of motorcycles, and an eclectic crowd? 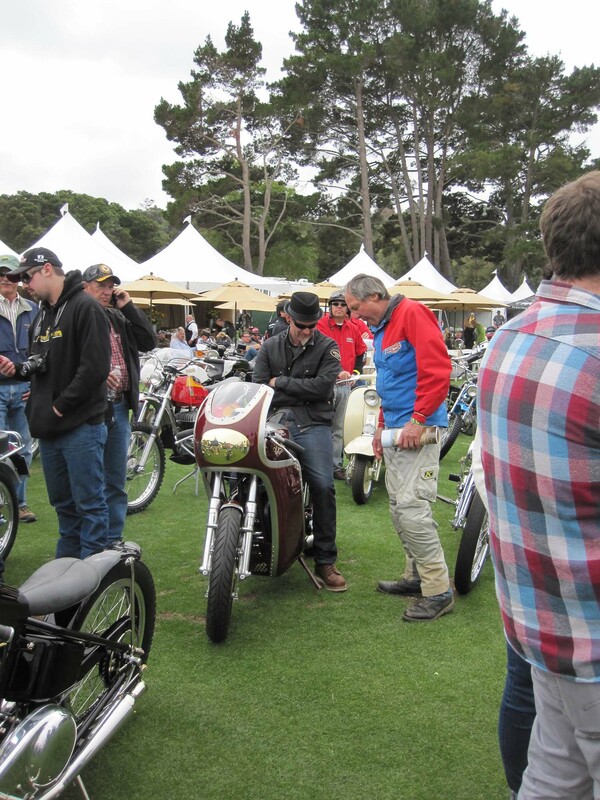 You get the Quail Motorcycle Gathering in Carmel, California at the Quail Lodge and Golf Club. 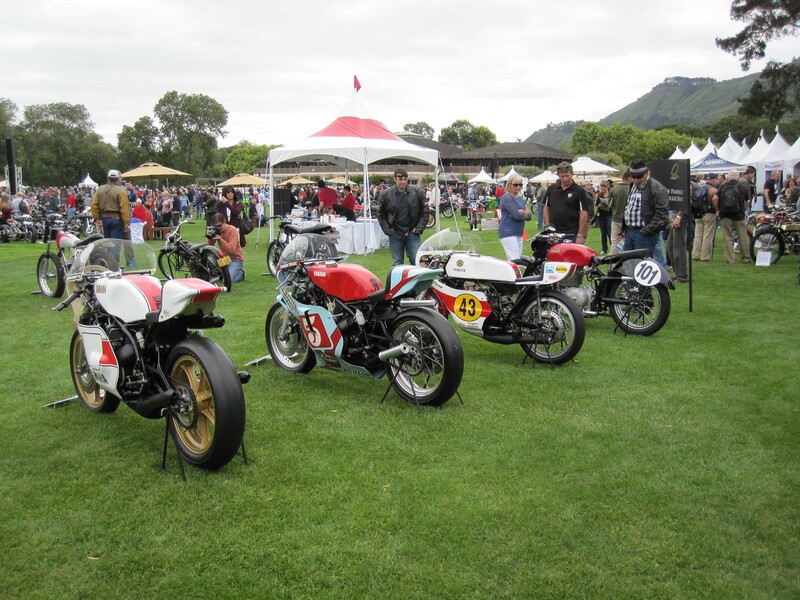 Not your typical venue for a motorcycle gathering, the Quail brings together vintage, classic, and racing motorcycles in a setting that can only be described as “chic”. 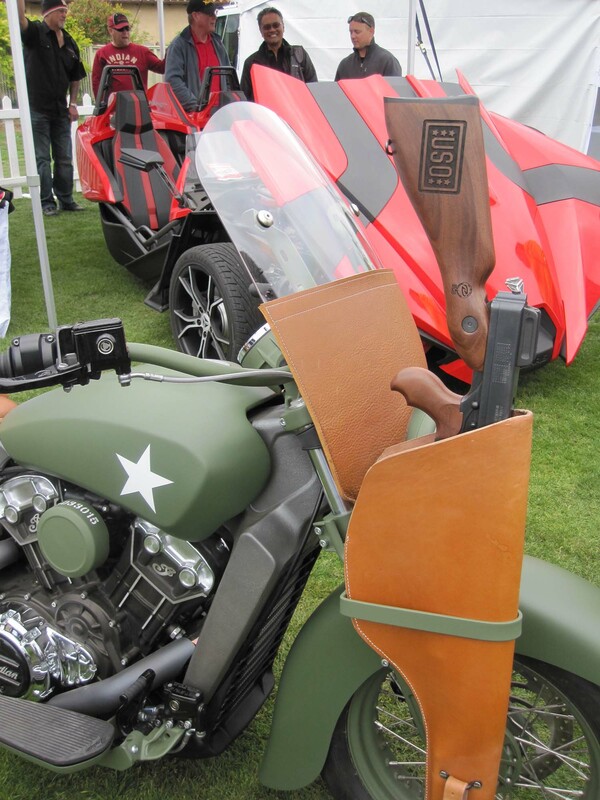 This is definitely not your standard motorcycle show. 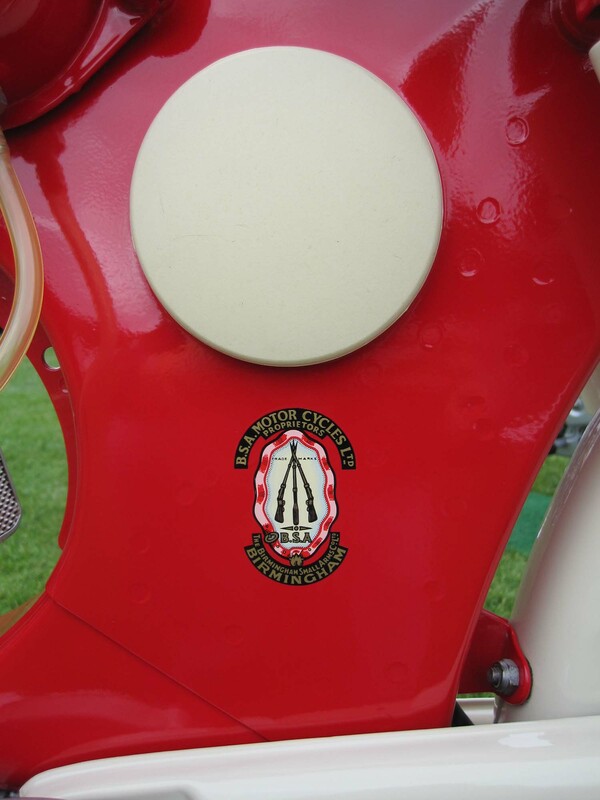 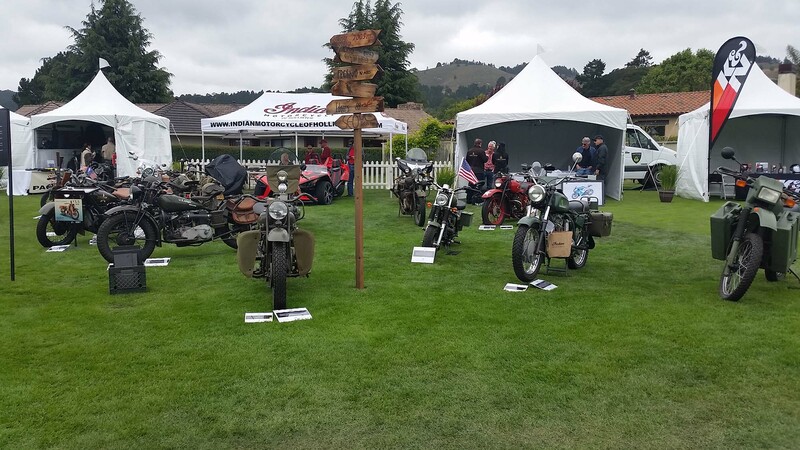 The event pays tribute, not only to the significant motorcycles from our past, but also to the heroic racers who risked their lives on some of these machines. 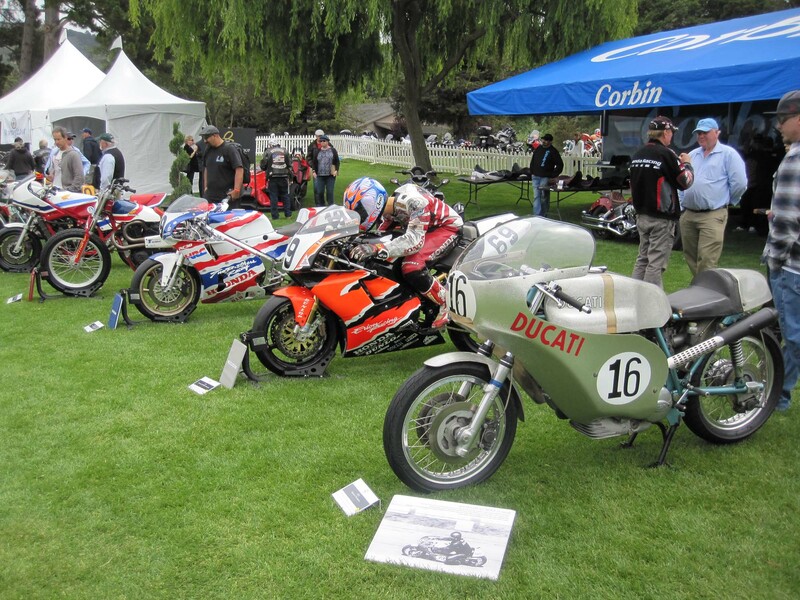 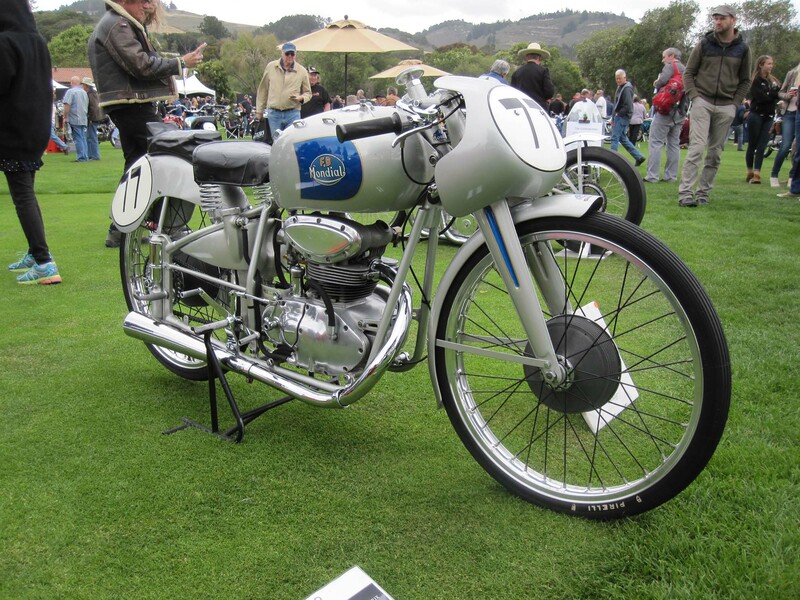 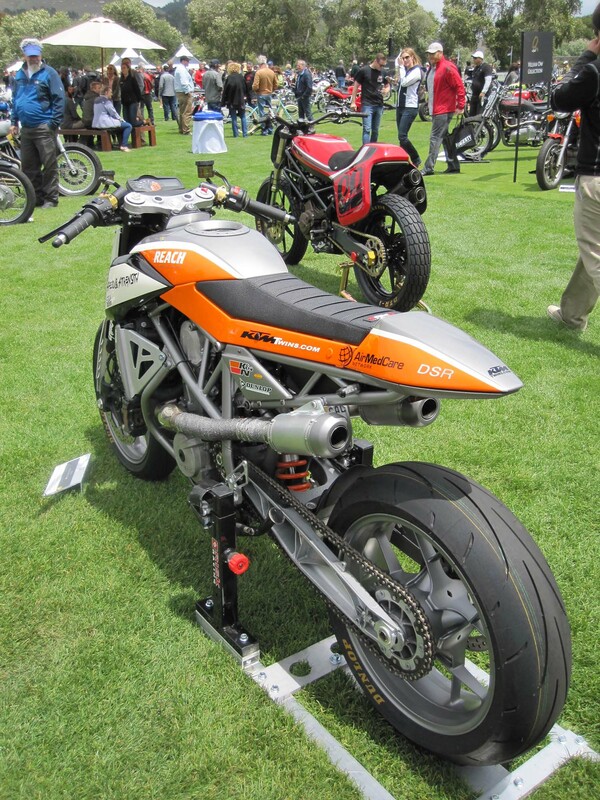 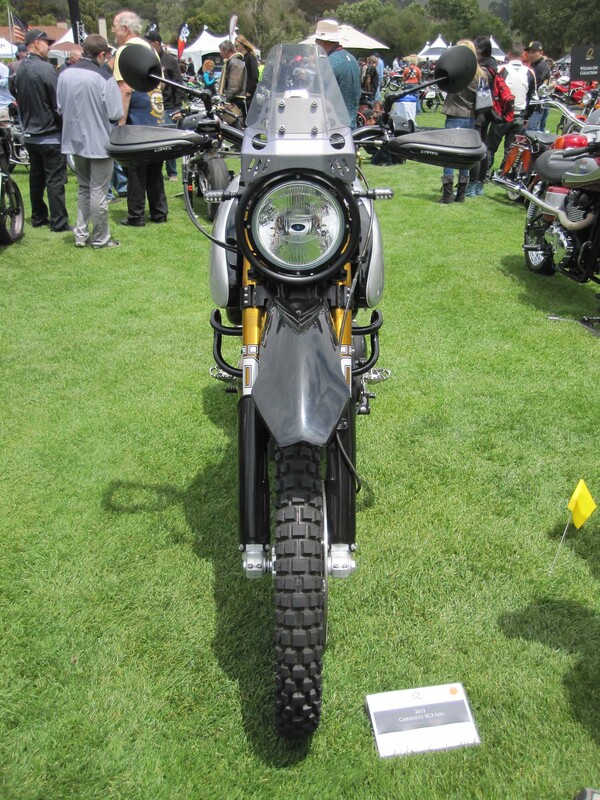 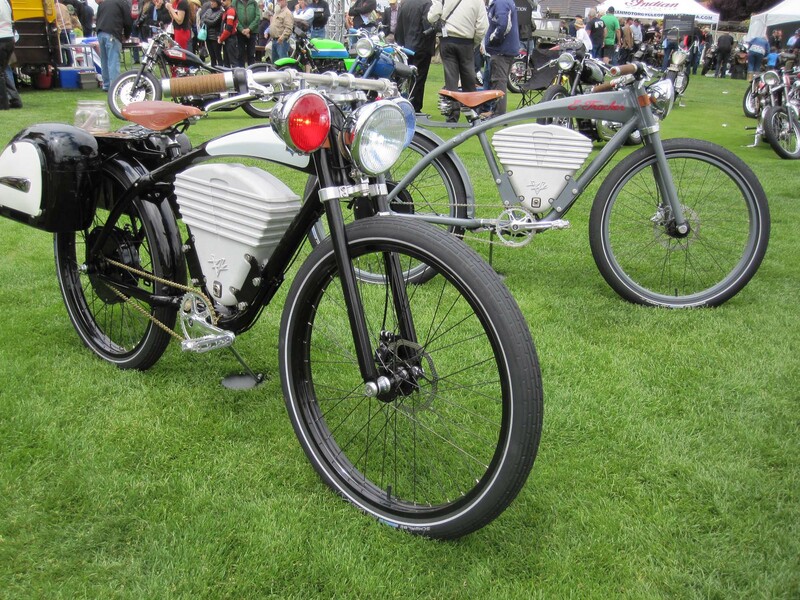 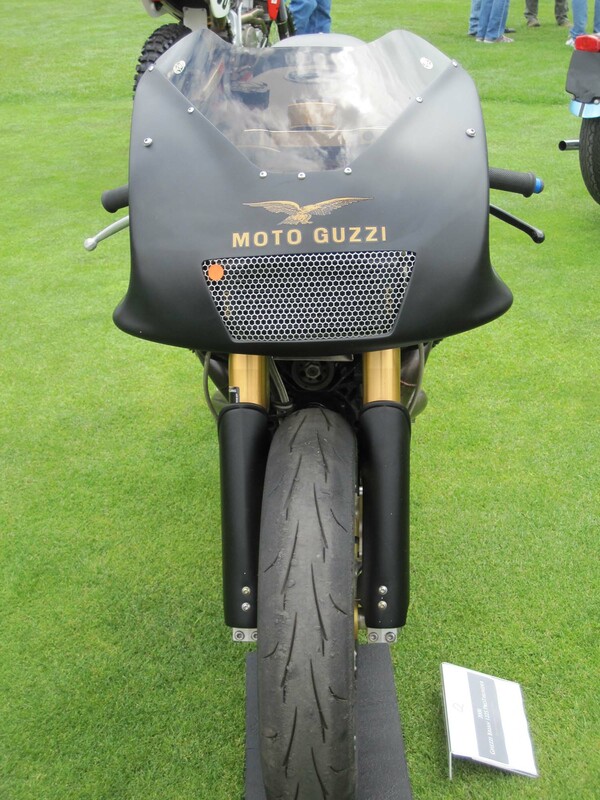 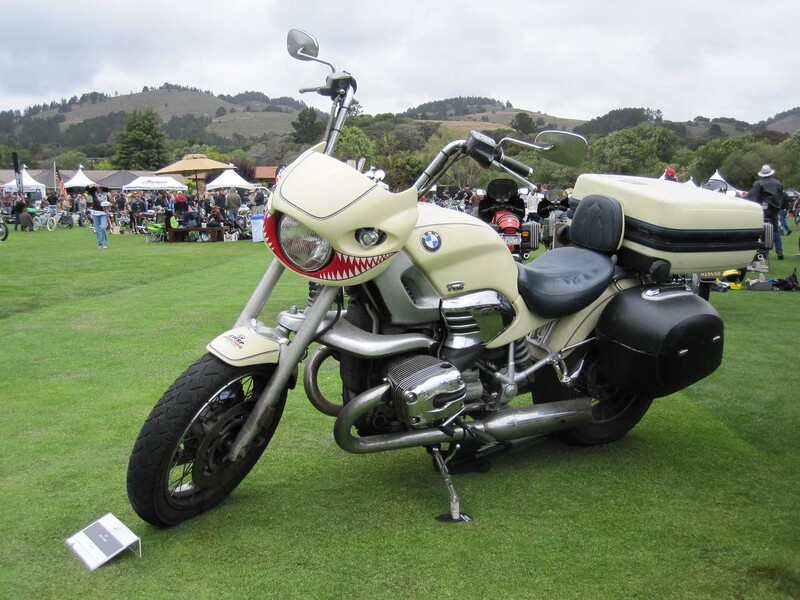 What makes the Quail different from other motorcycle shows is the venue. 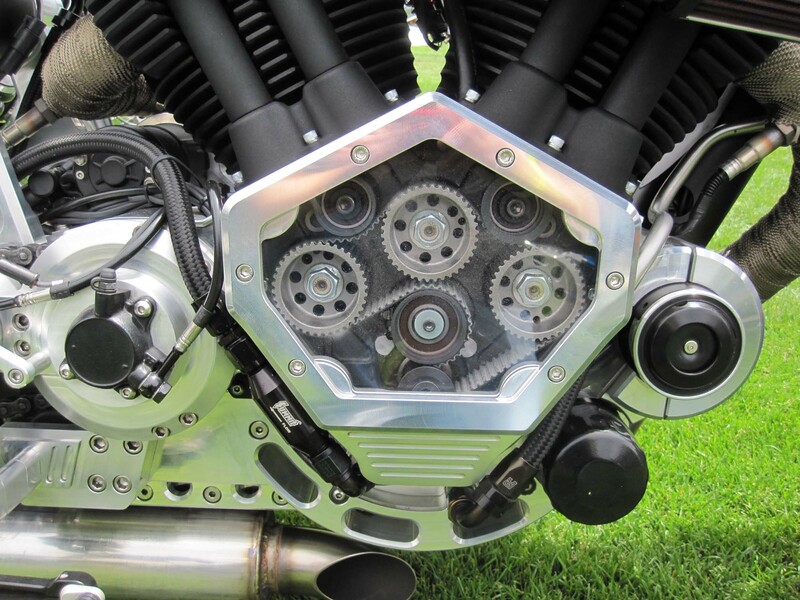 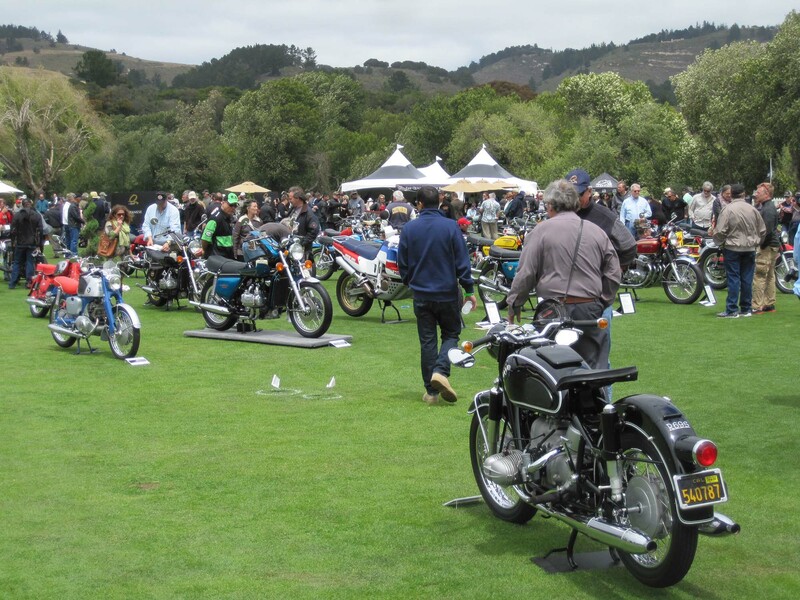 The tickets aren’t cheap at $75, but admission includes a gourmet catered lunch, an opportunity to see a very diverse collection of motorcycles, and a chance to mix and mingle with a group of very proud and dedicated motorcycle owners. 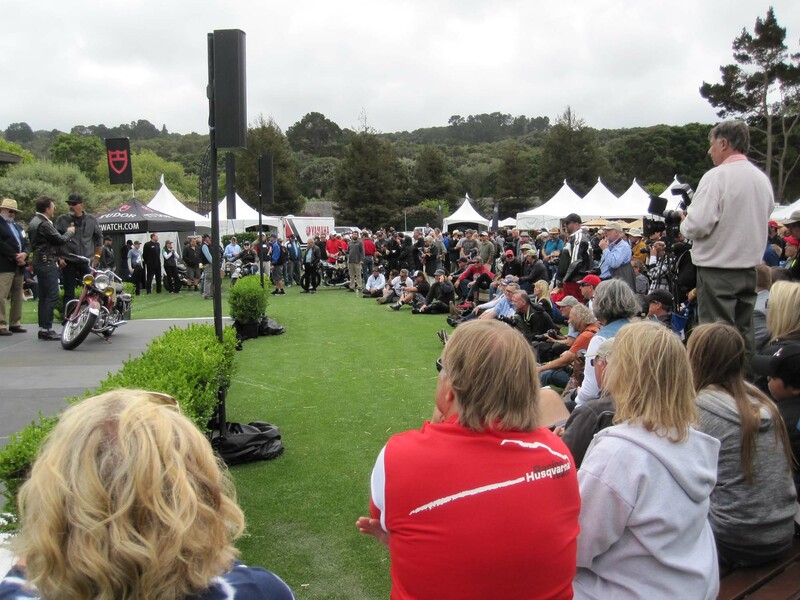 The crowd here is a bit older and established. 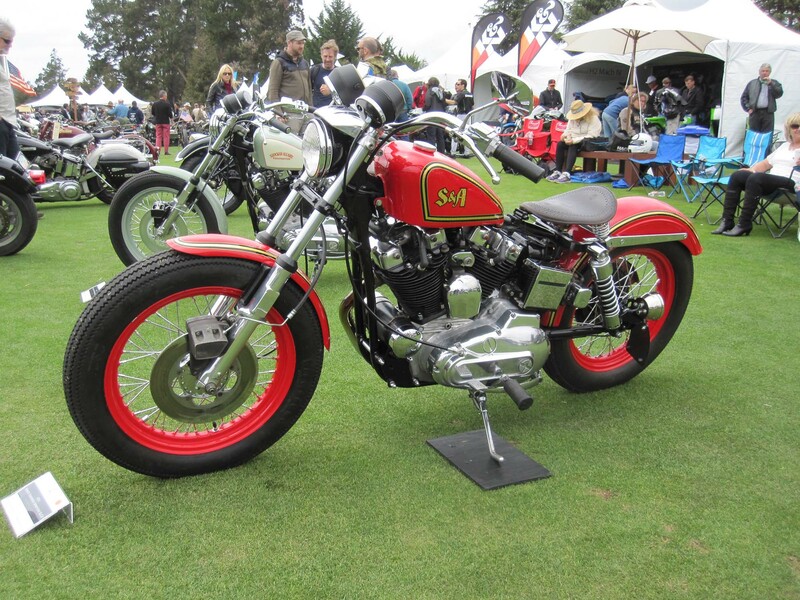 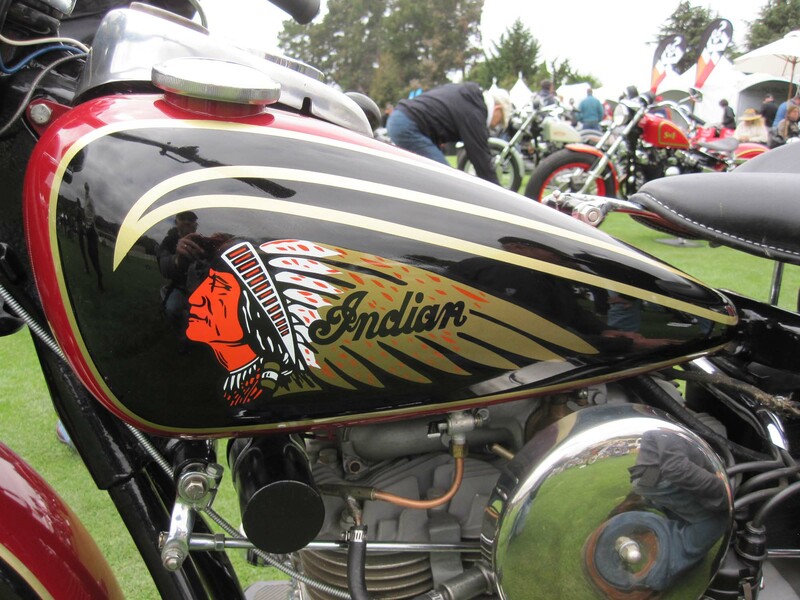 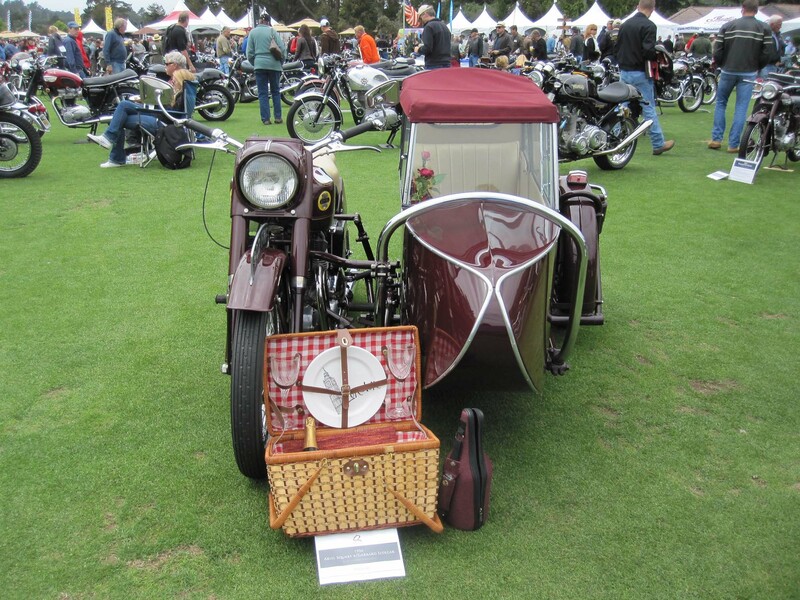 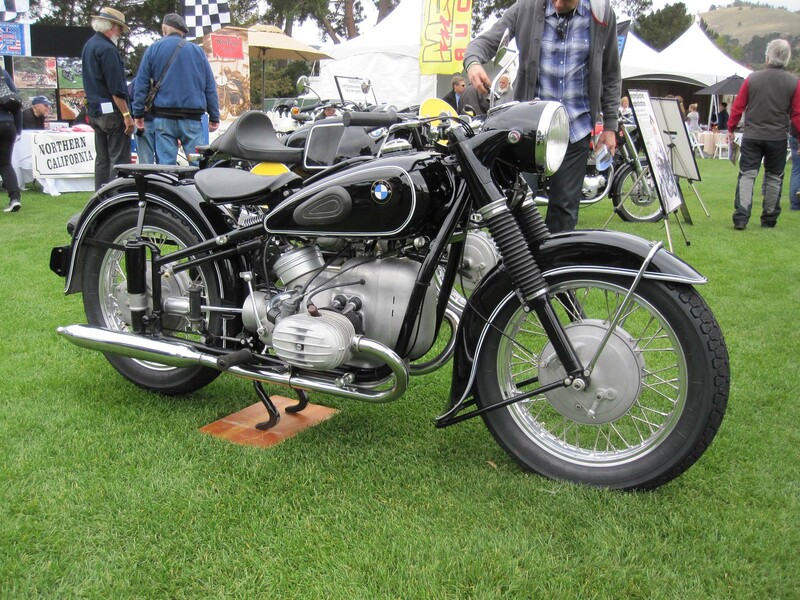 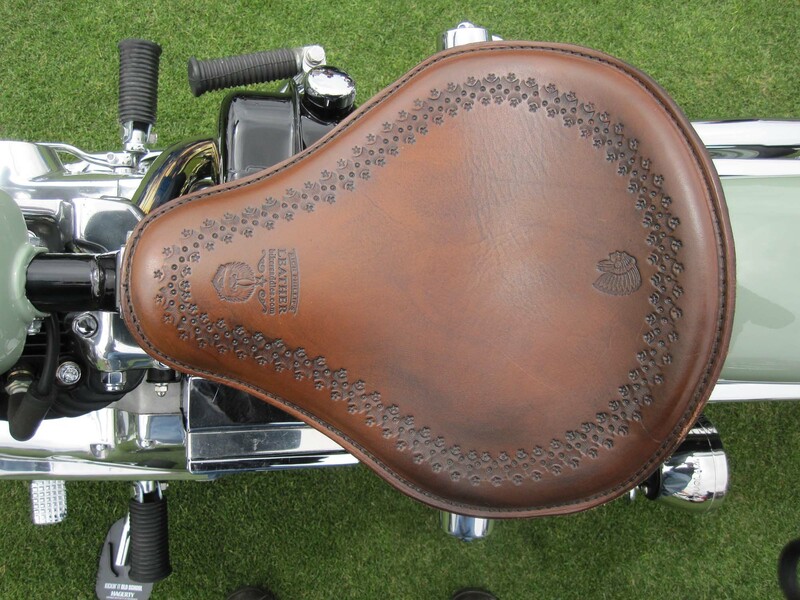 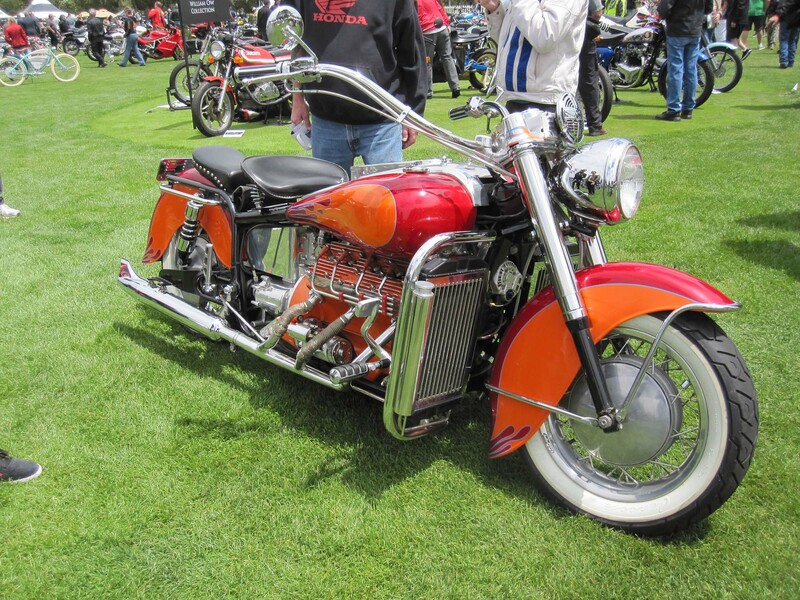 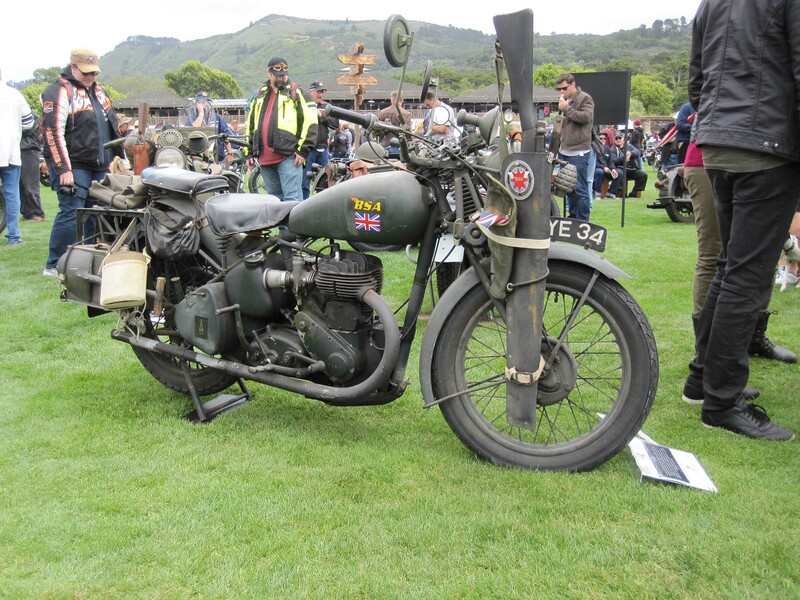 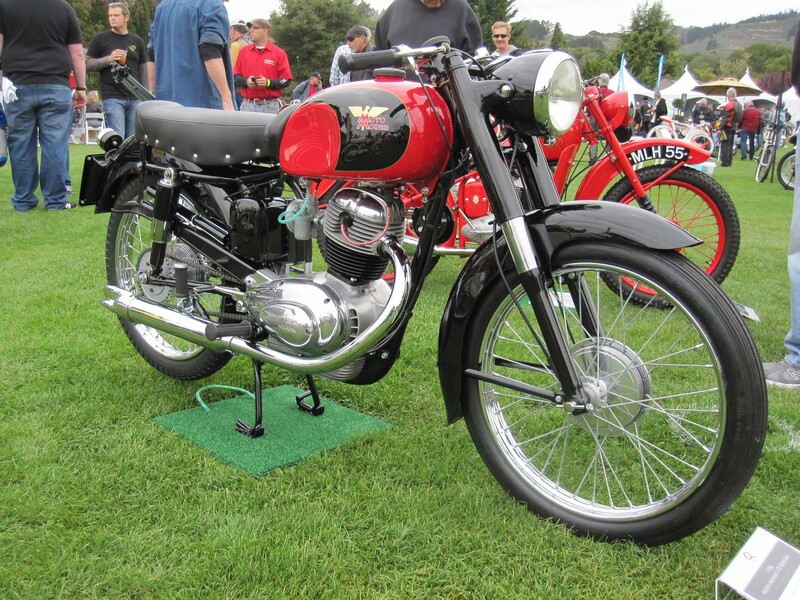 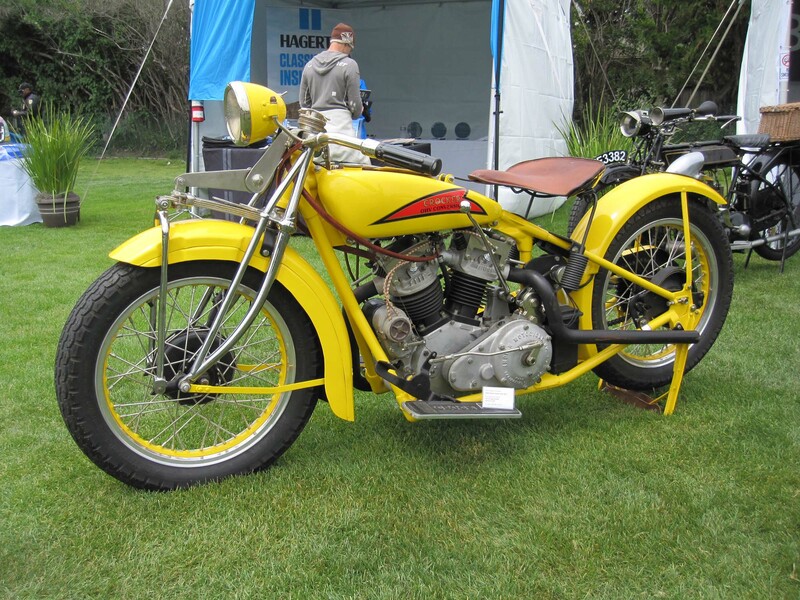 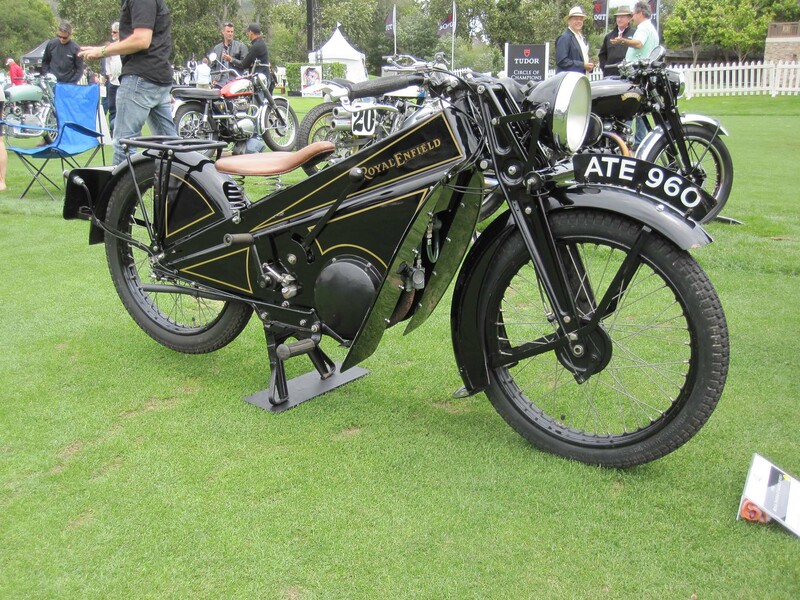 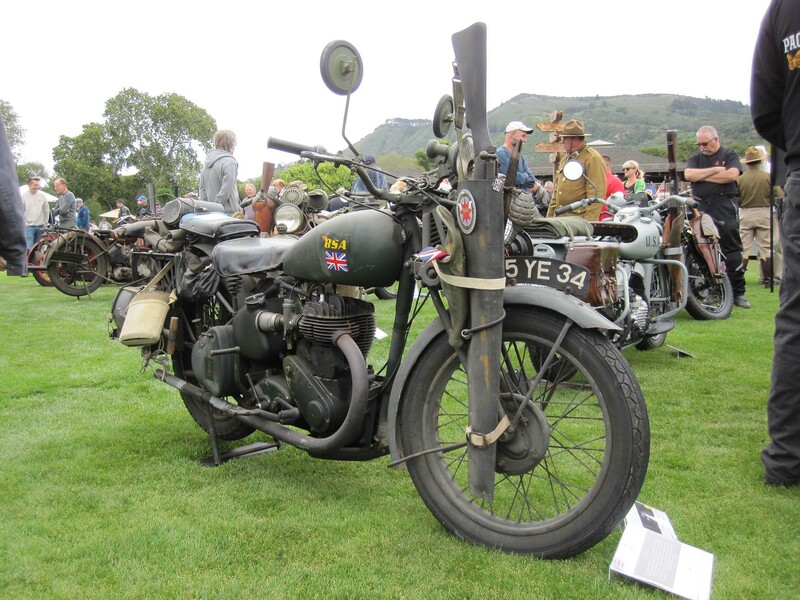 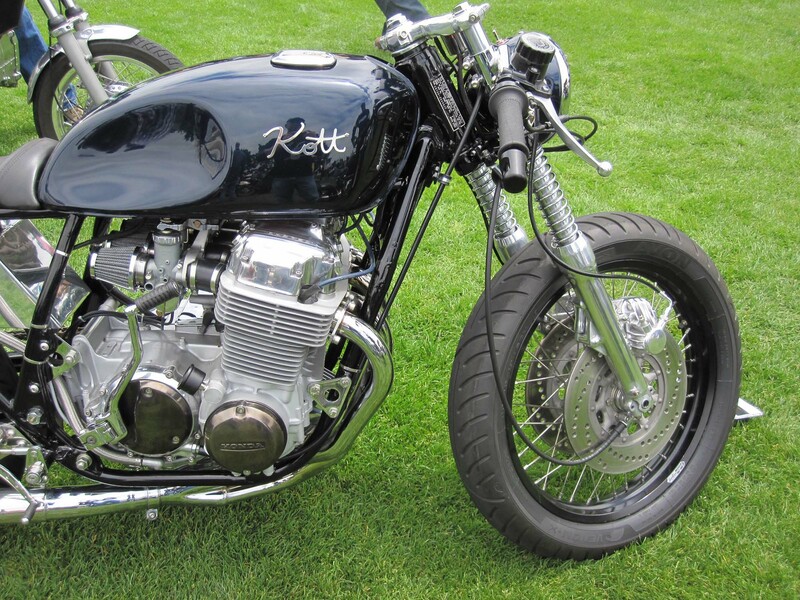 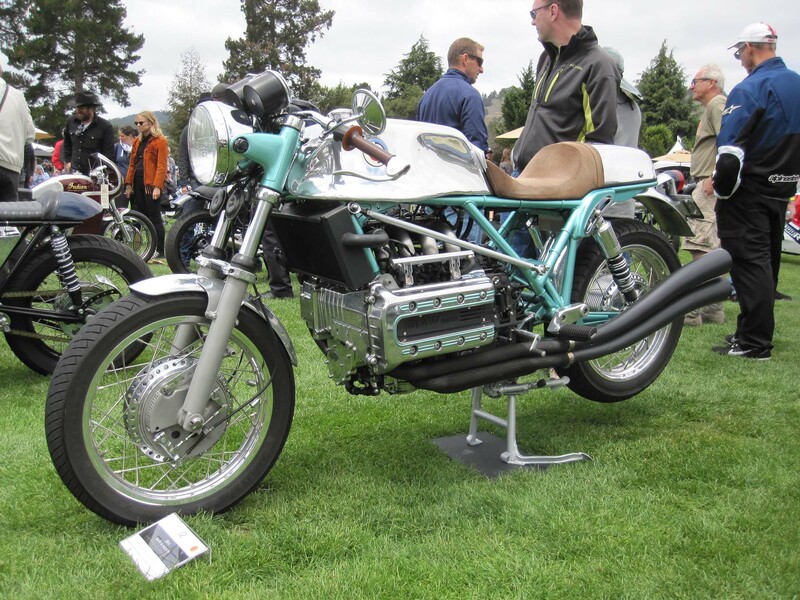 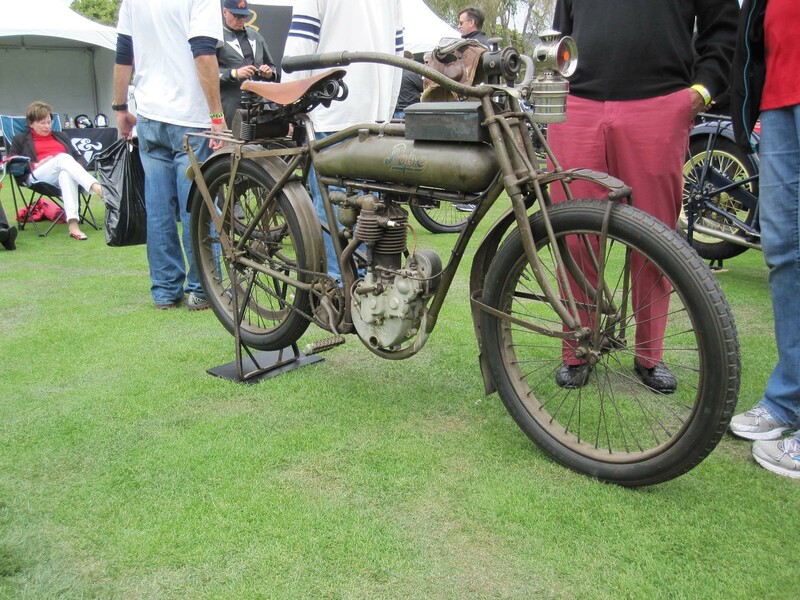 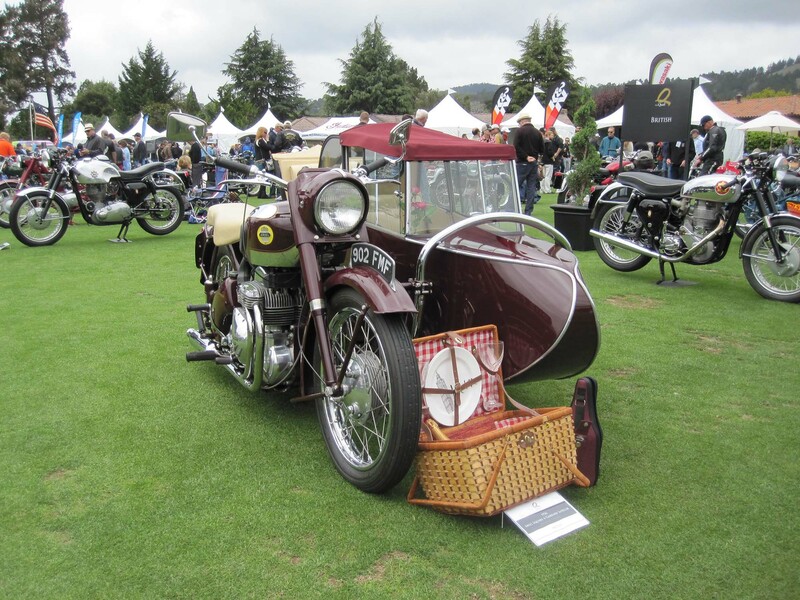 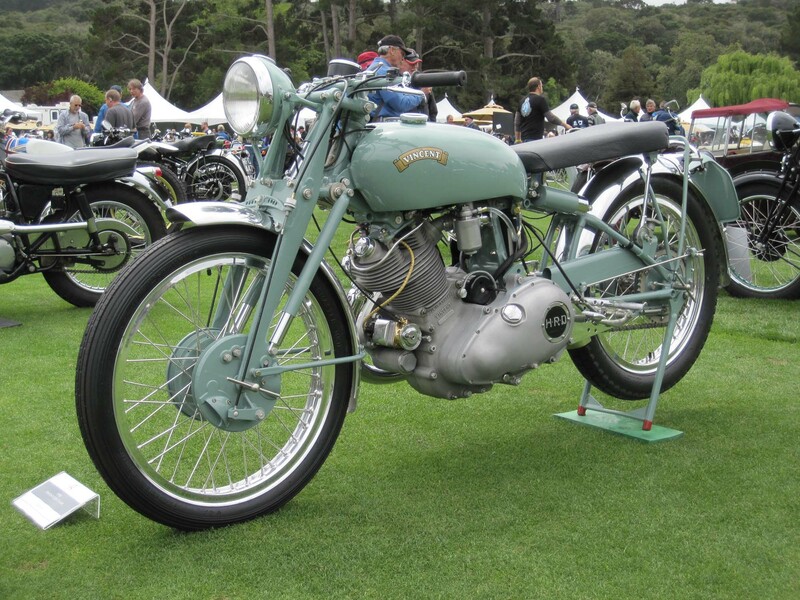 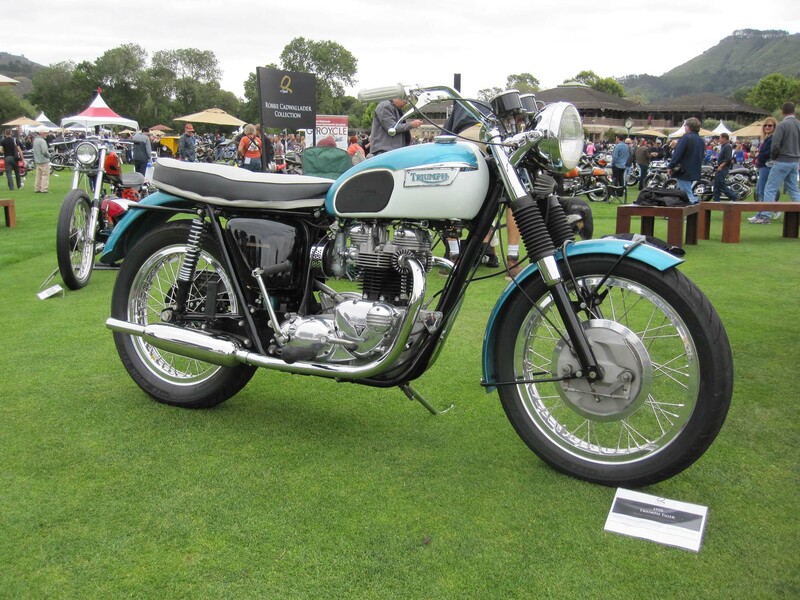 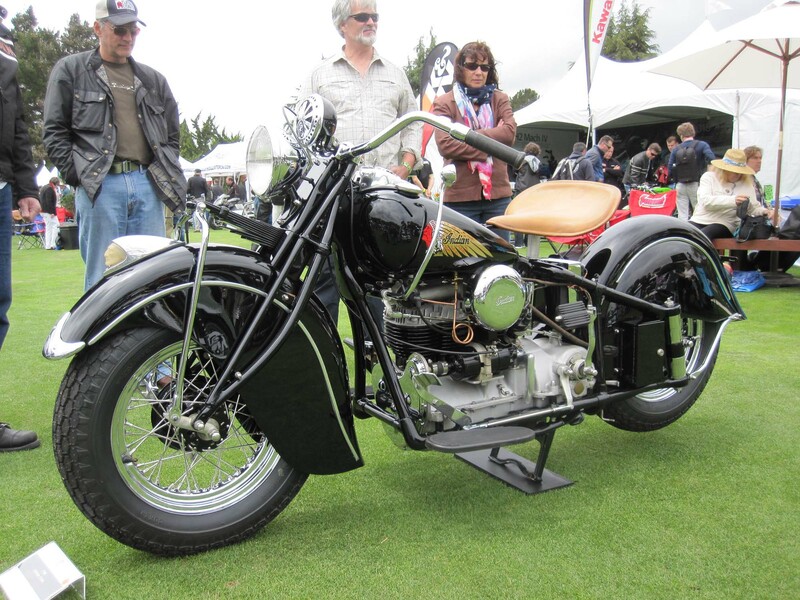 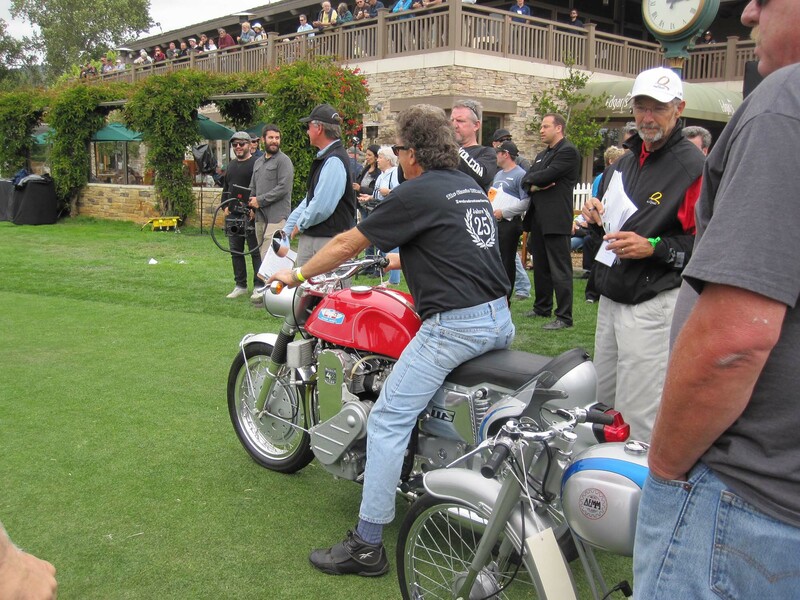 They collect and restore fine motorcycles and the Quail is their chance to show them off. 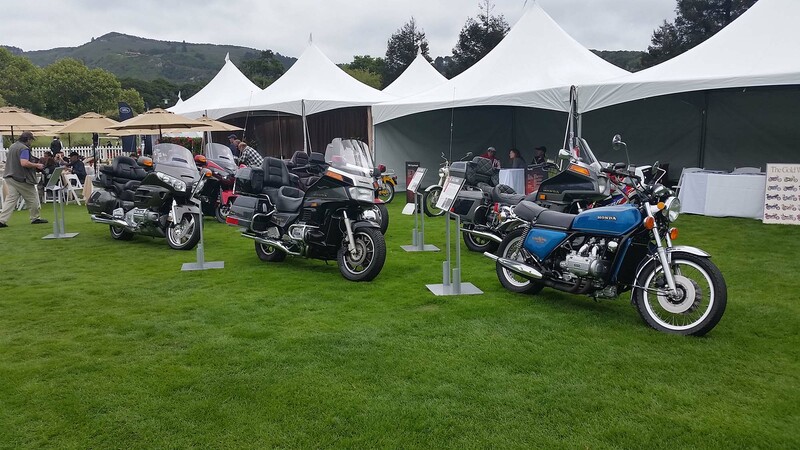 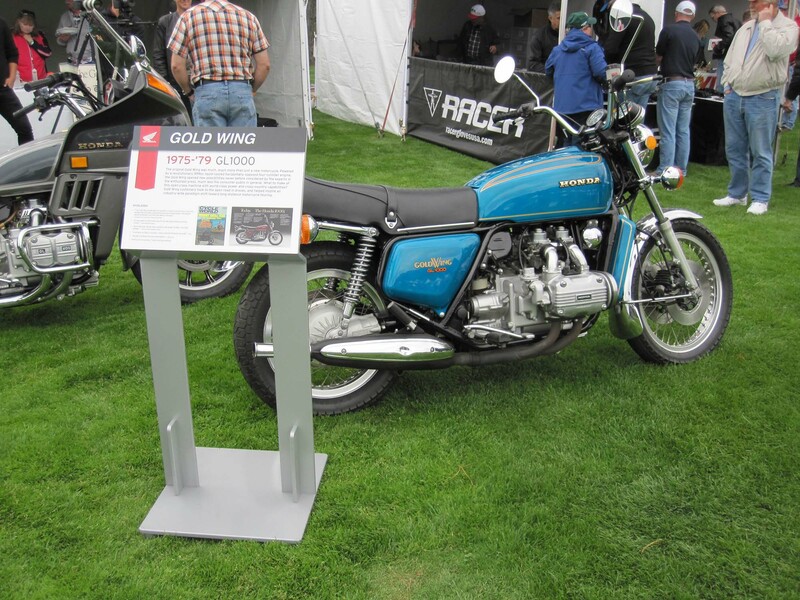 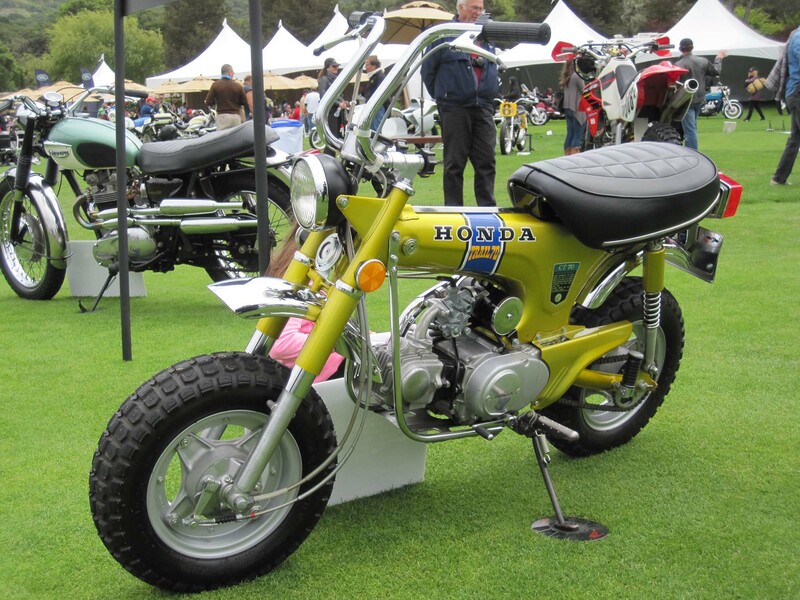 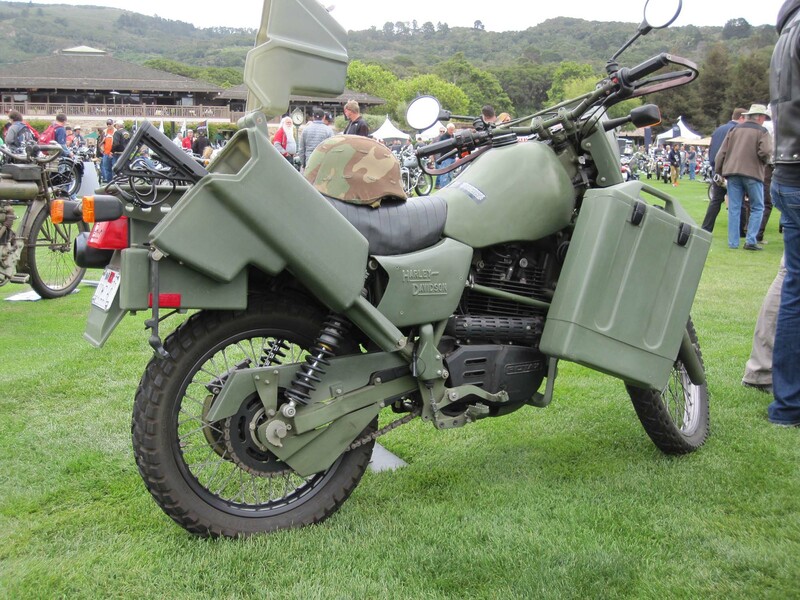 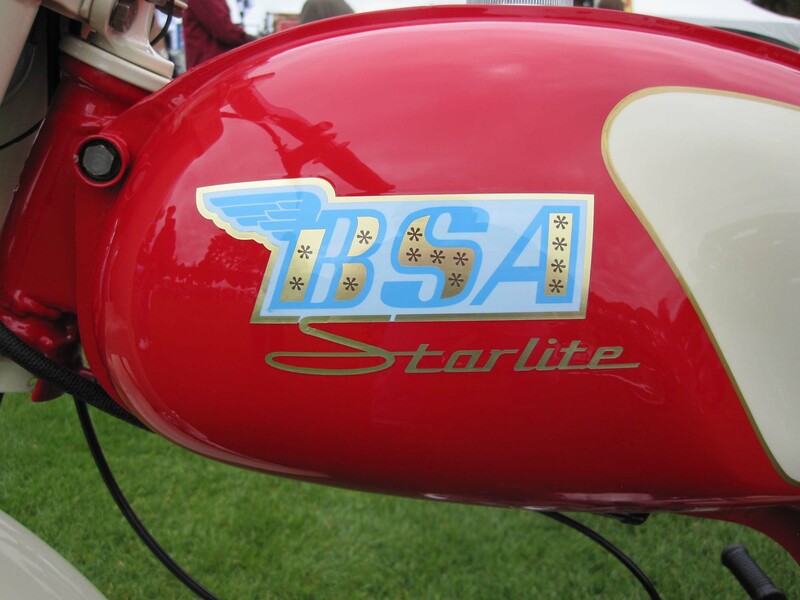 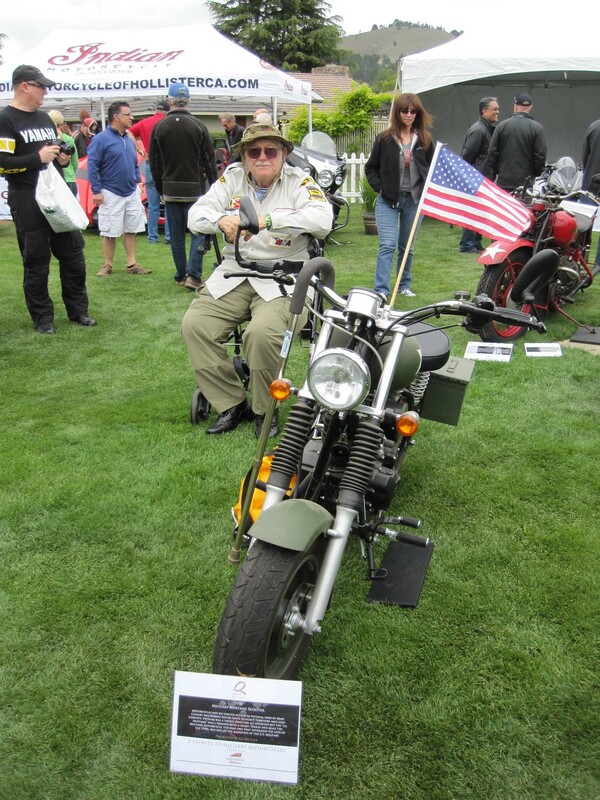 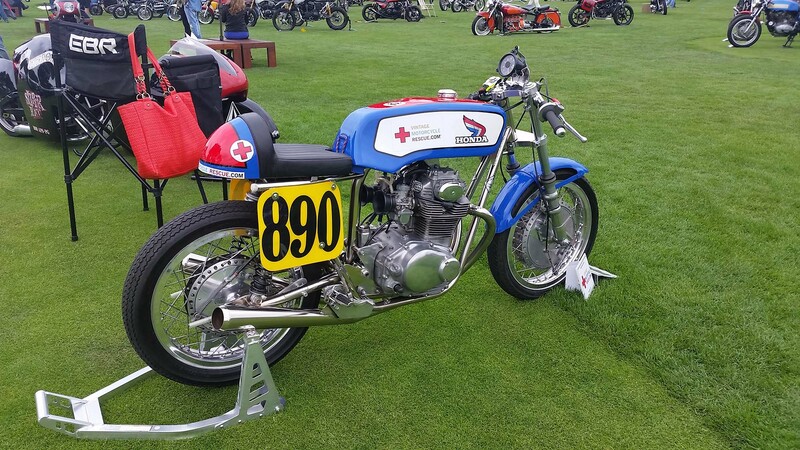 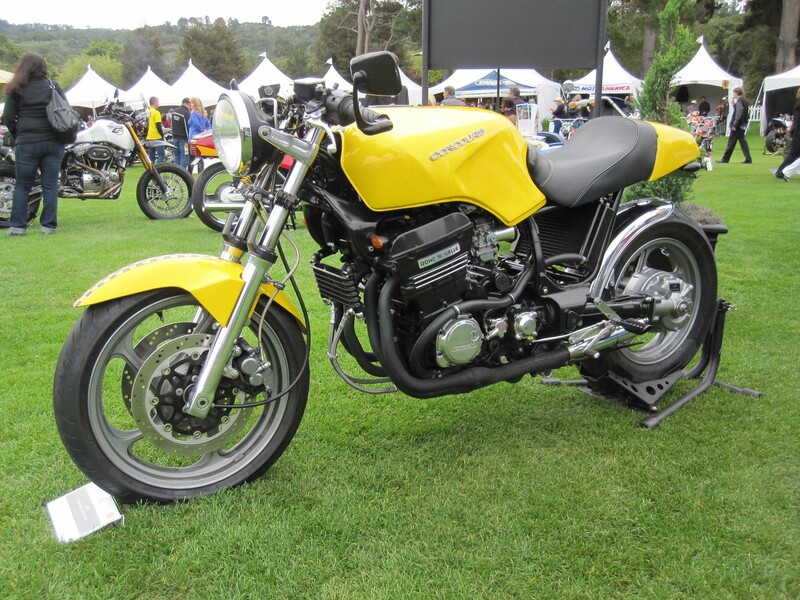 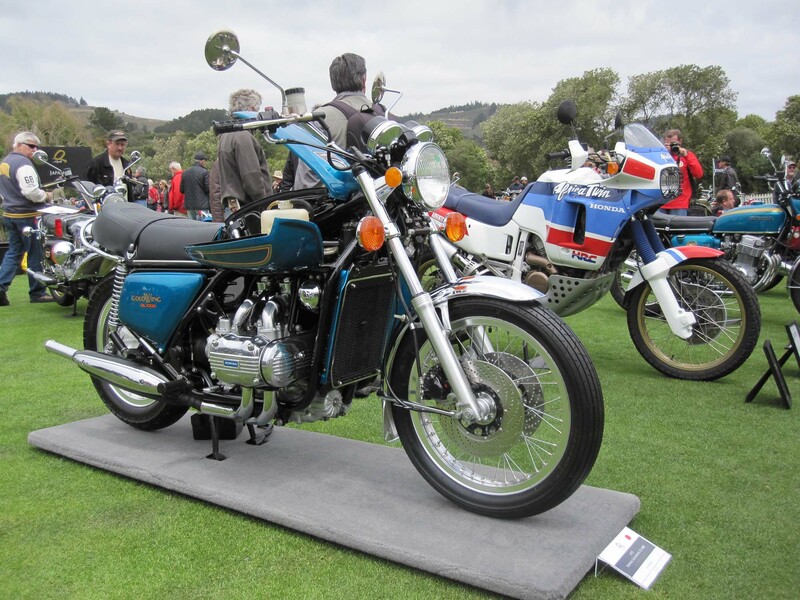 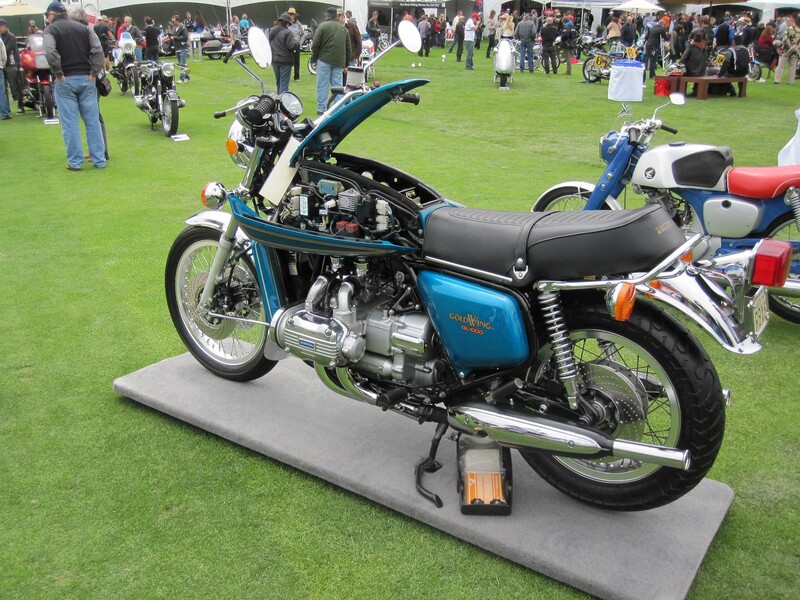 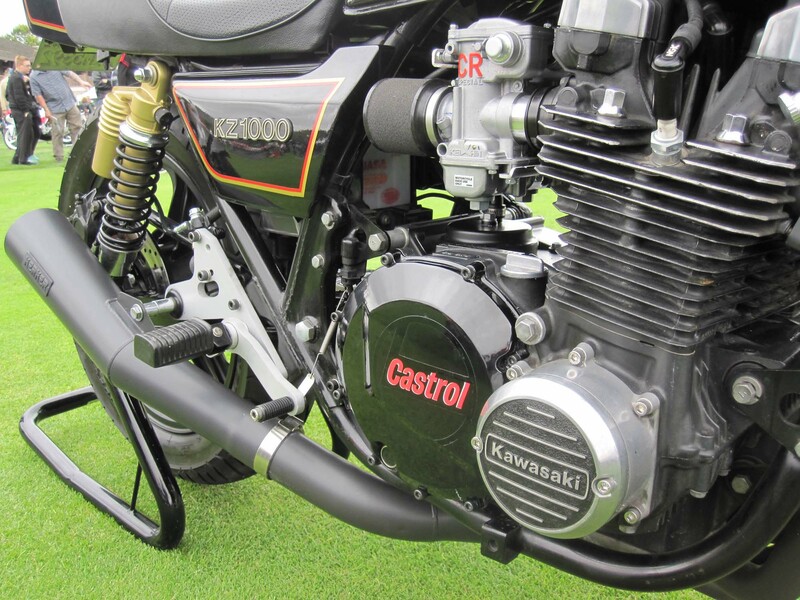 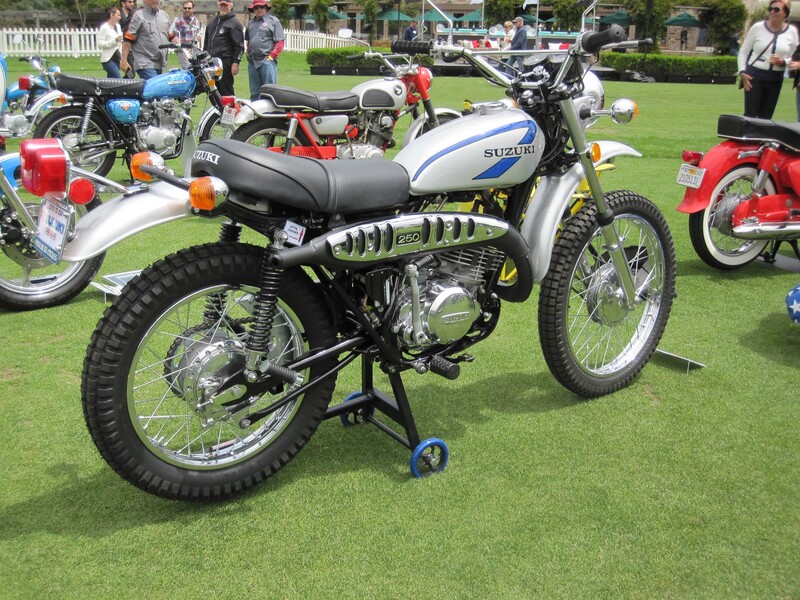 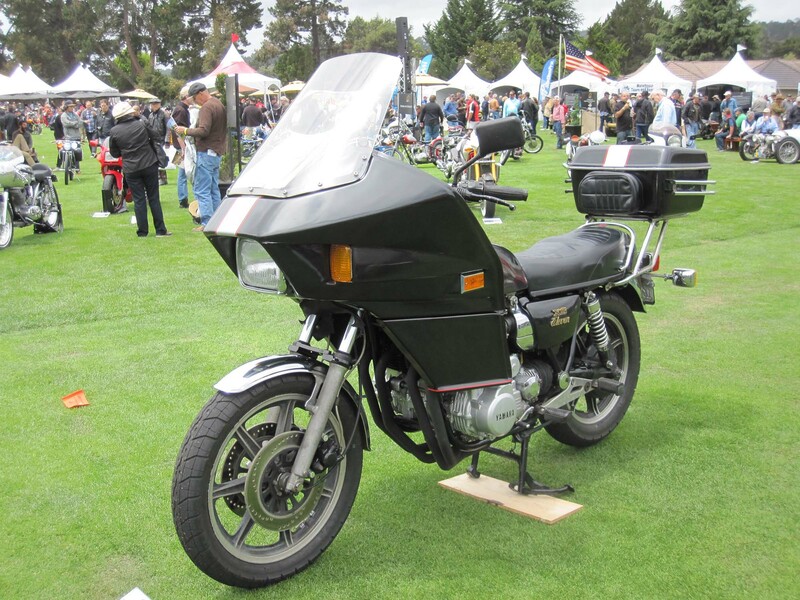 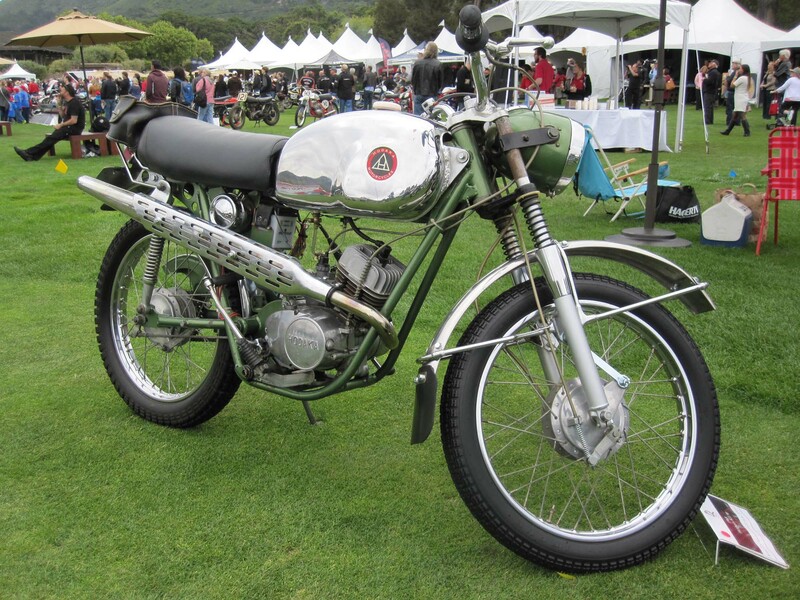 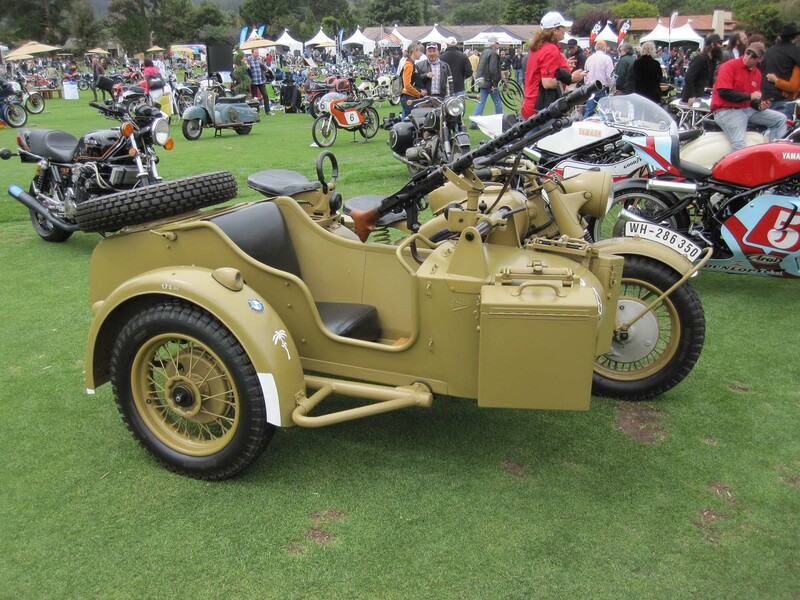 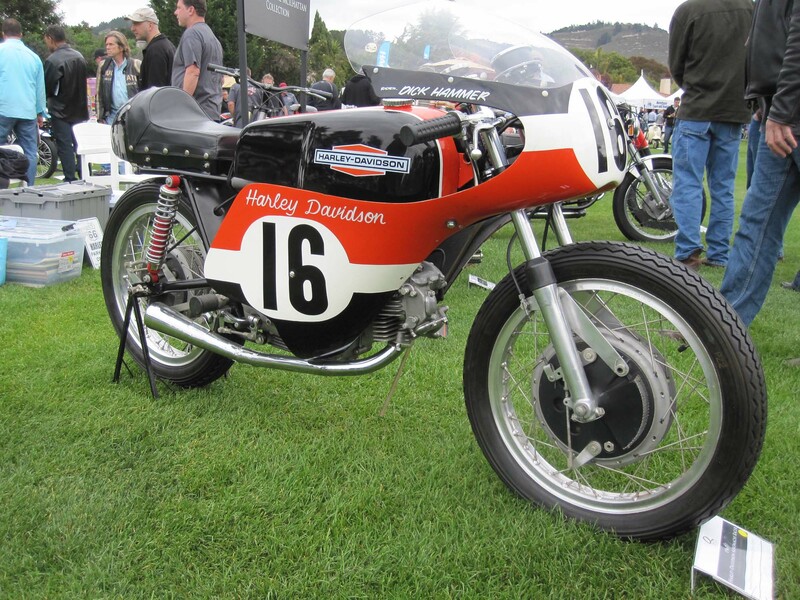 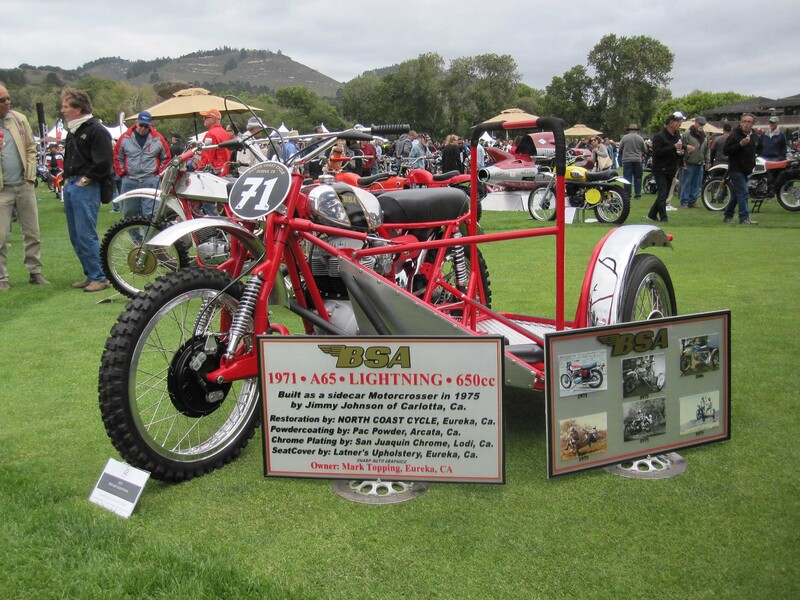 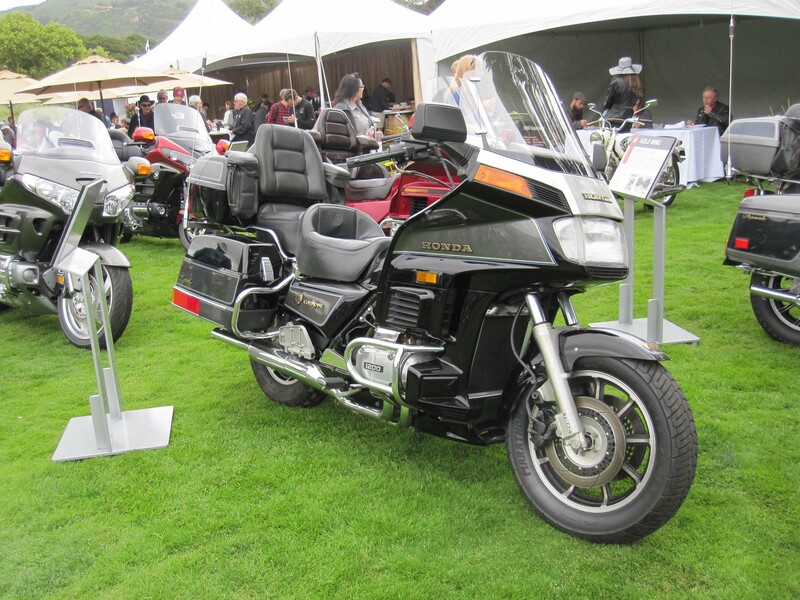 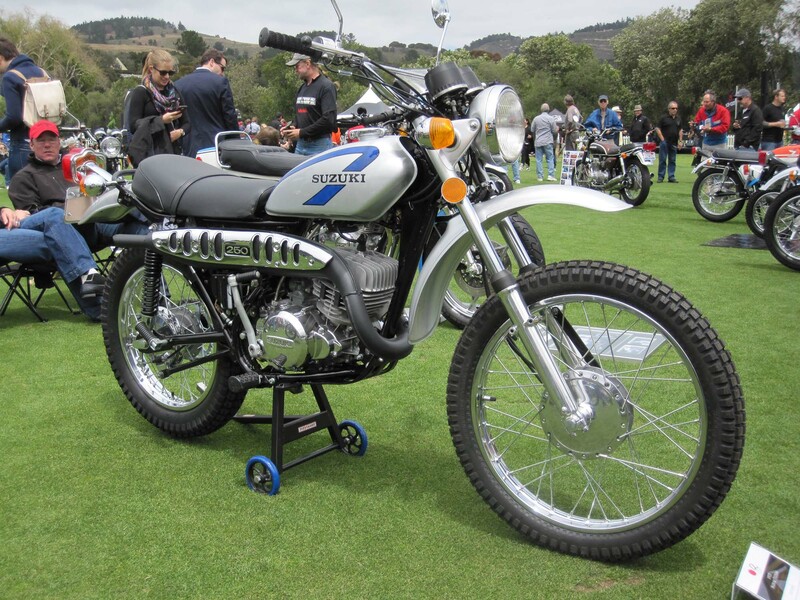 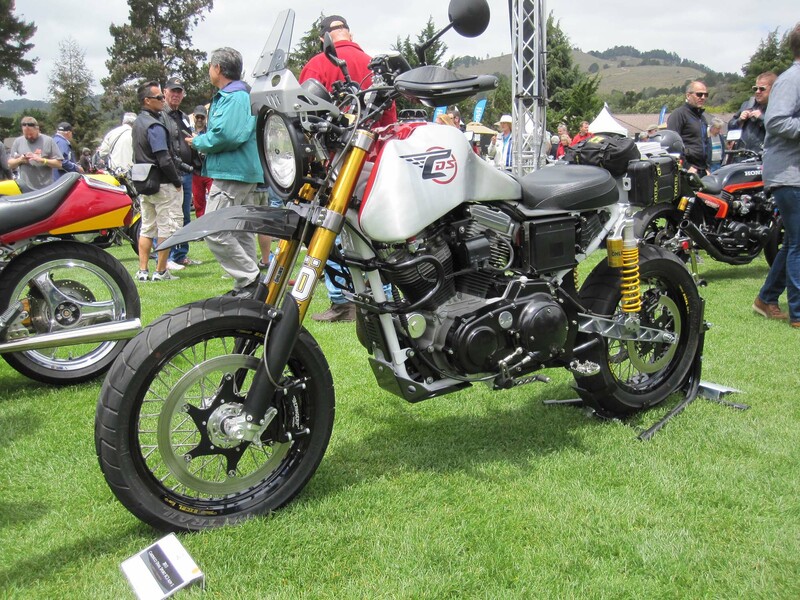 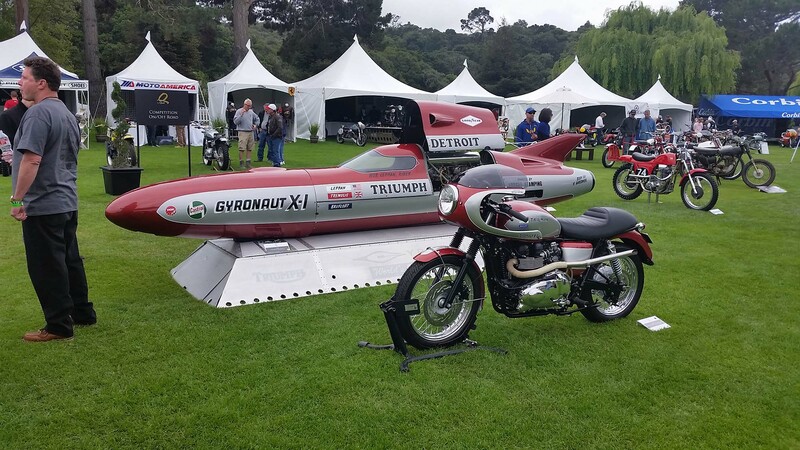 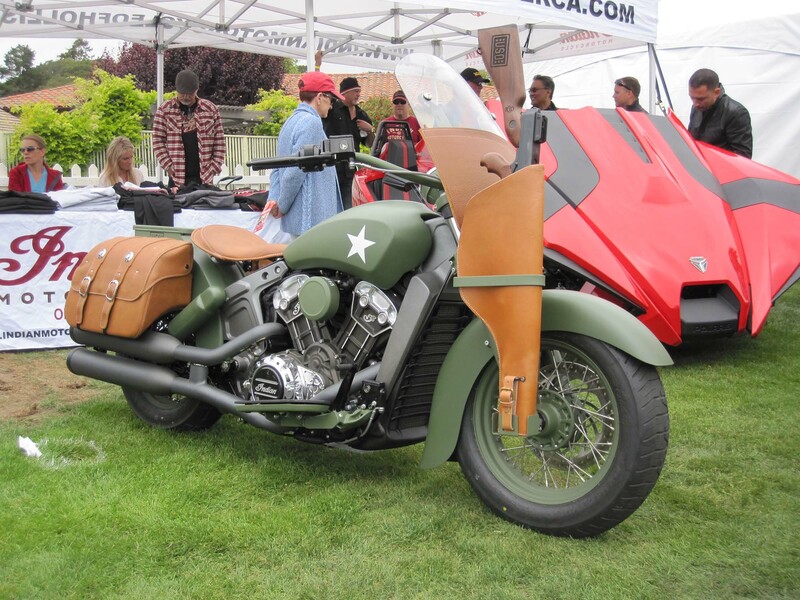 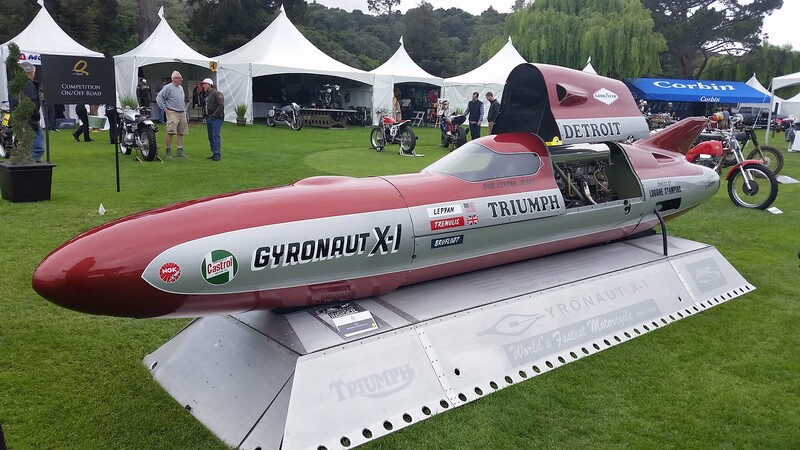 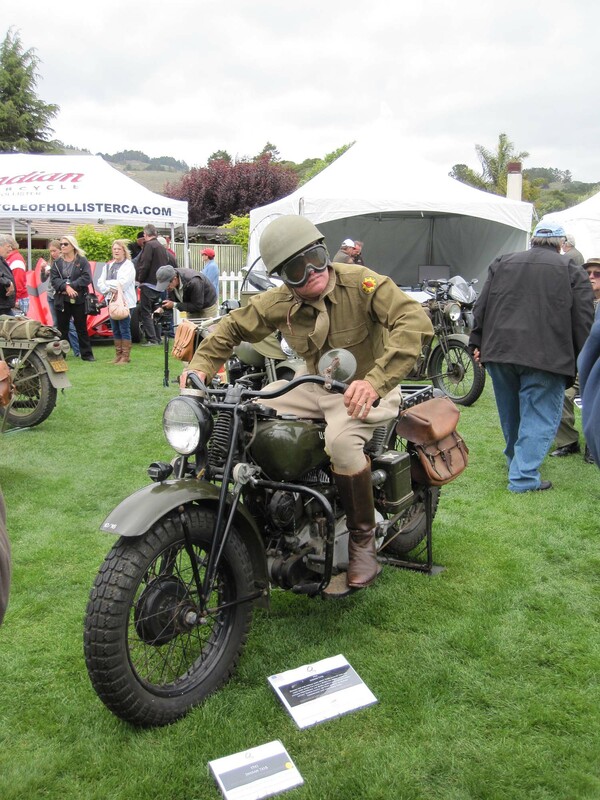 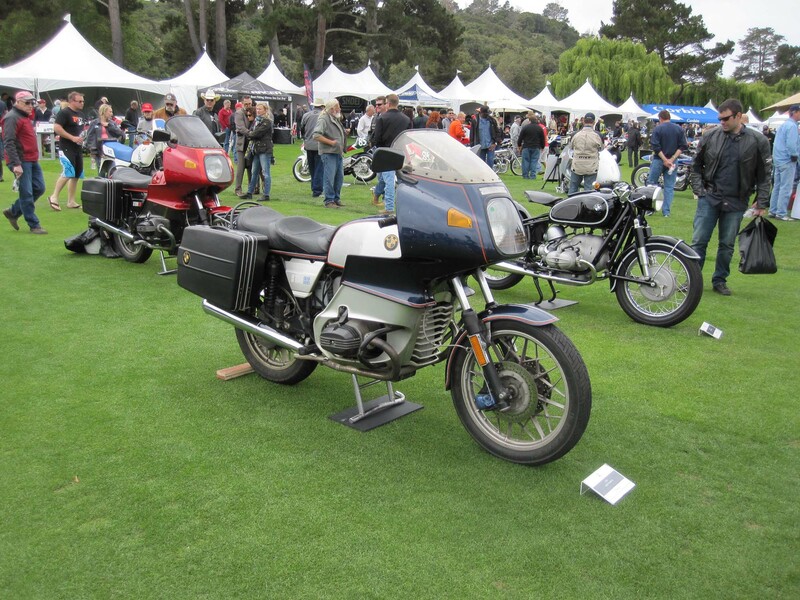 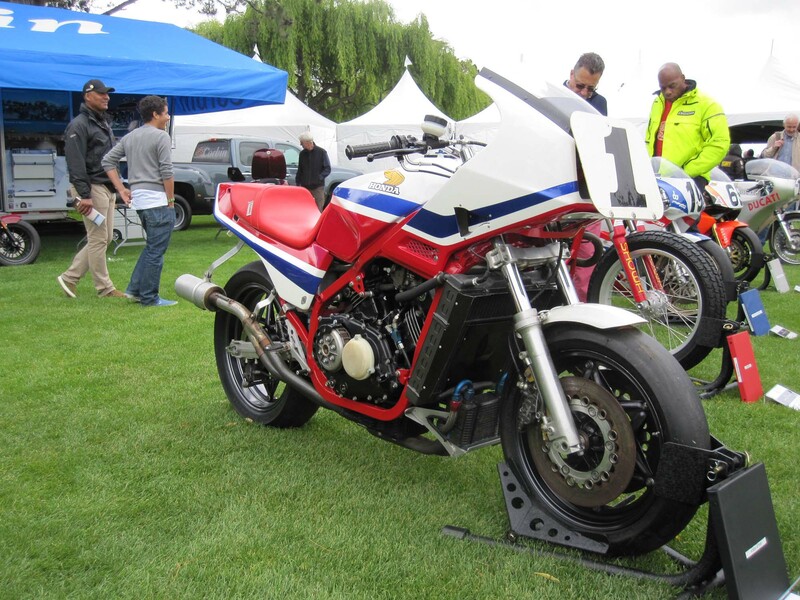 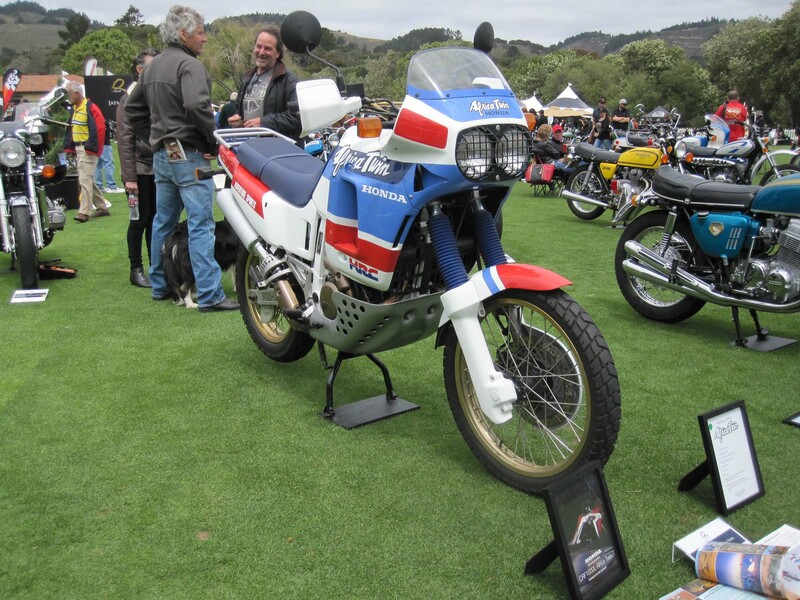 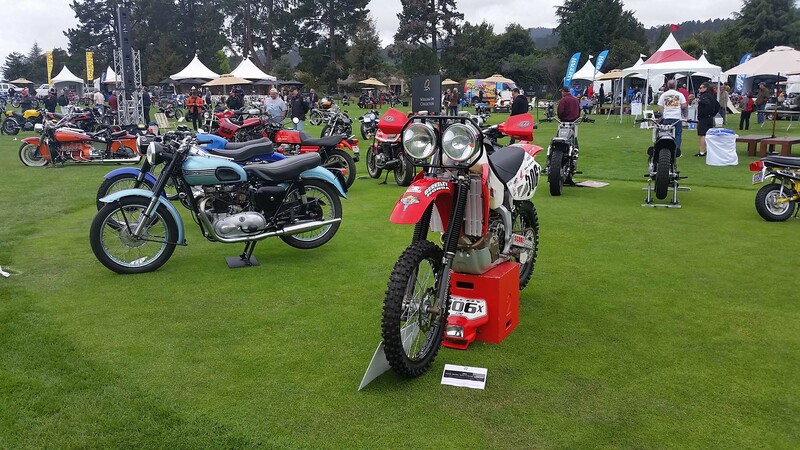 This year’s event highlighted military motorcycles, the Formula 750 racing group from the 1970s, and paid tribute to 40 years of the Honda Goldwing. 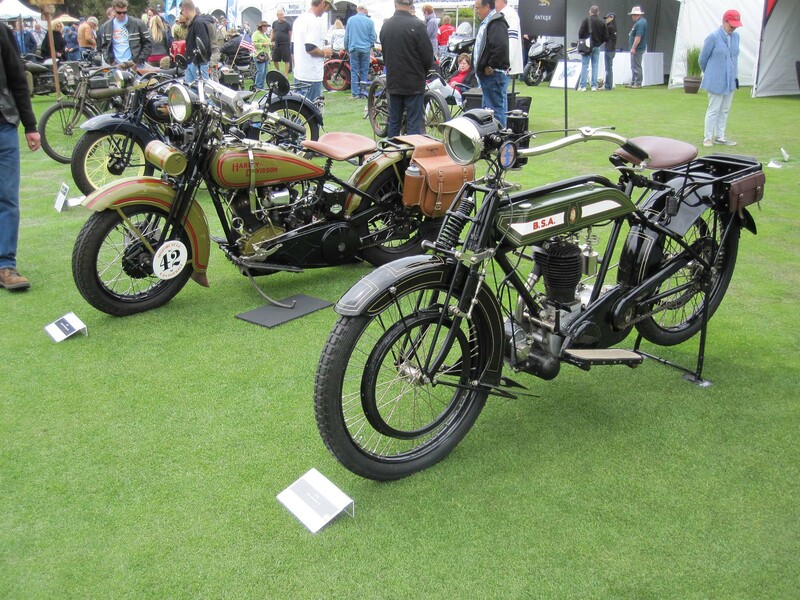 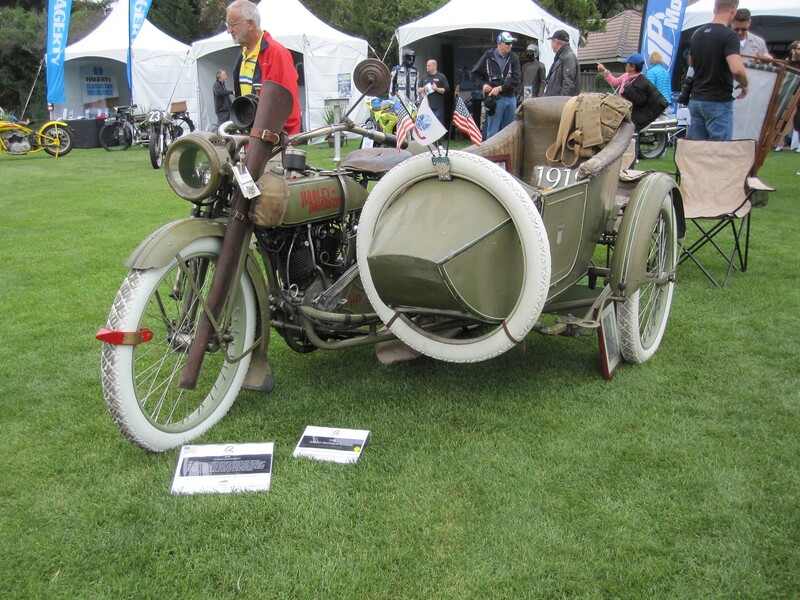 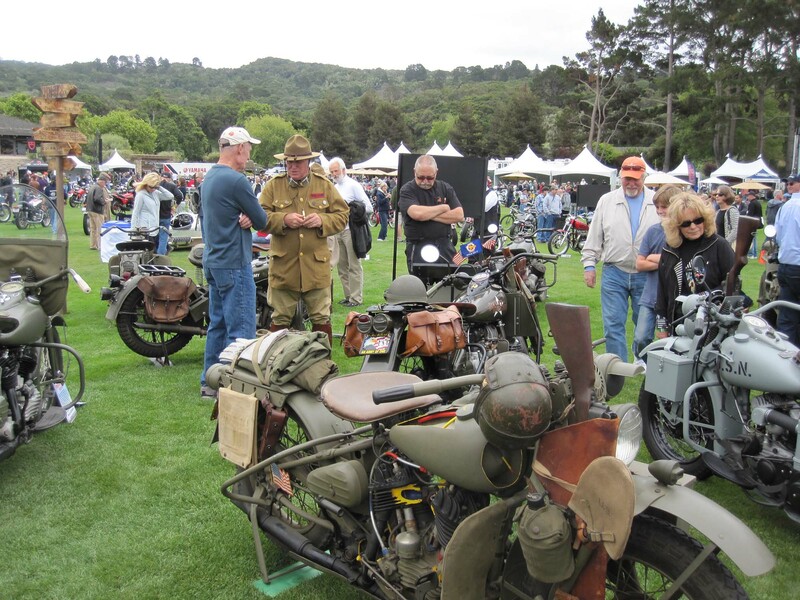 In addition to these categories, motorcycles from all genres were represented well. 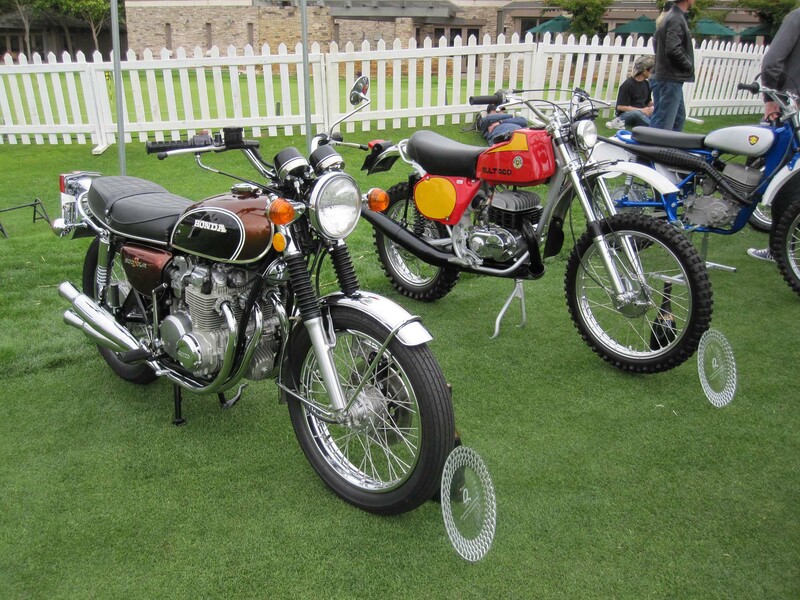 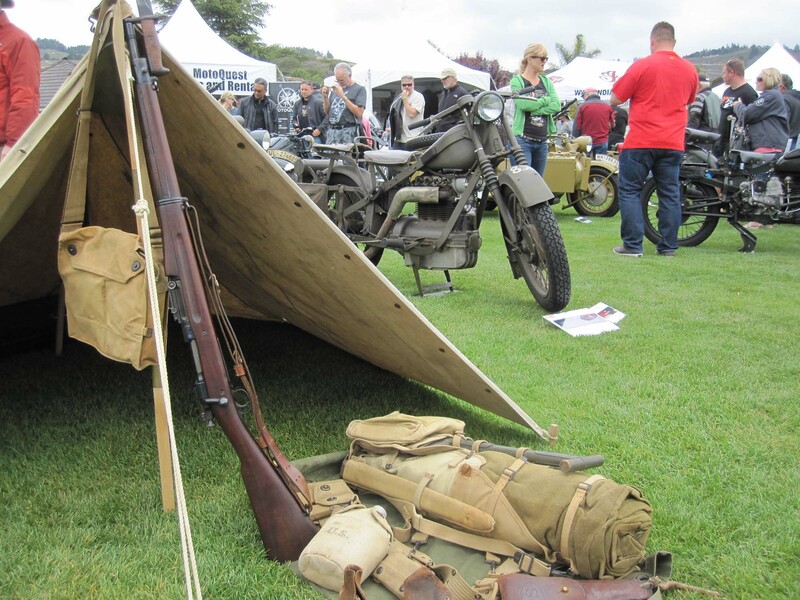 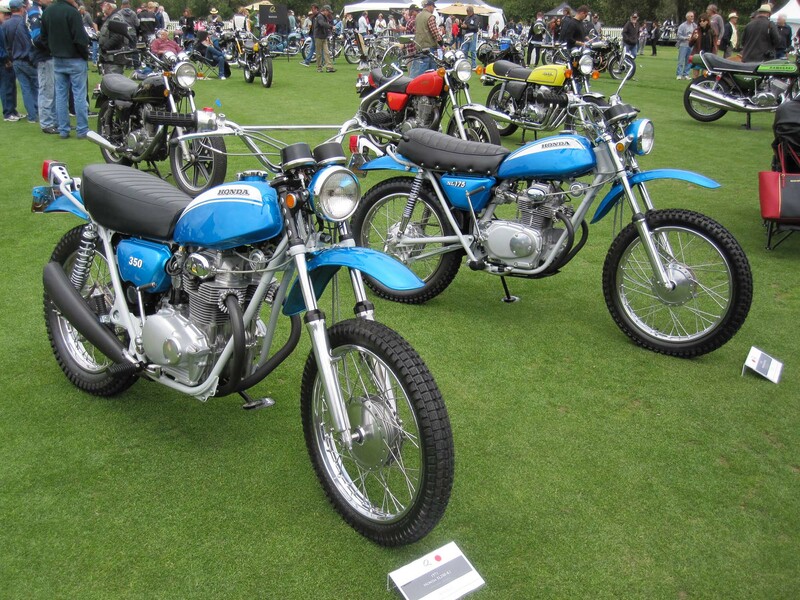 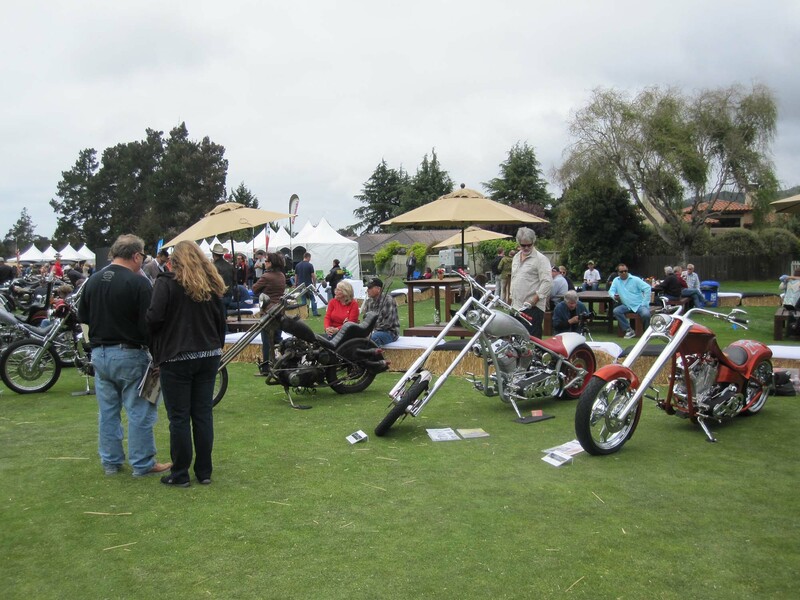 You could find everything from vintage dirt bikes, to modern sport bikes, cruisers, tourers, and everything in between. 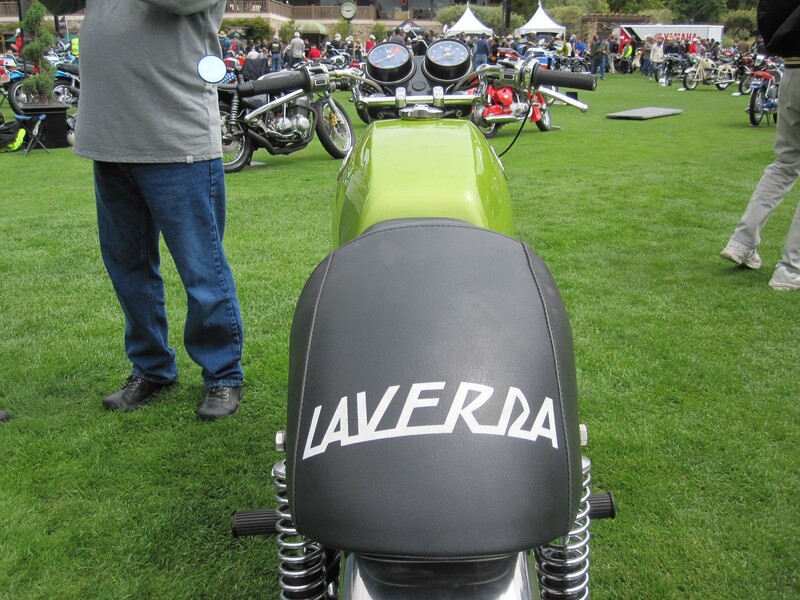 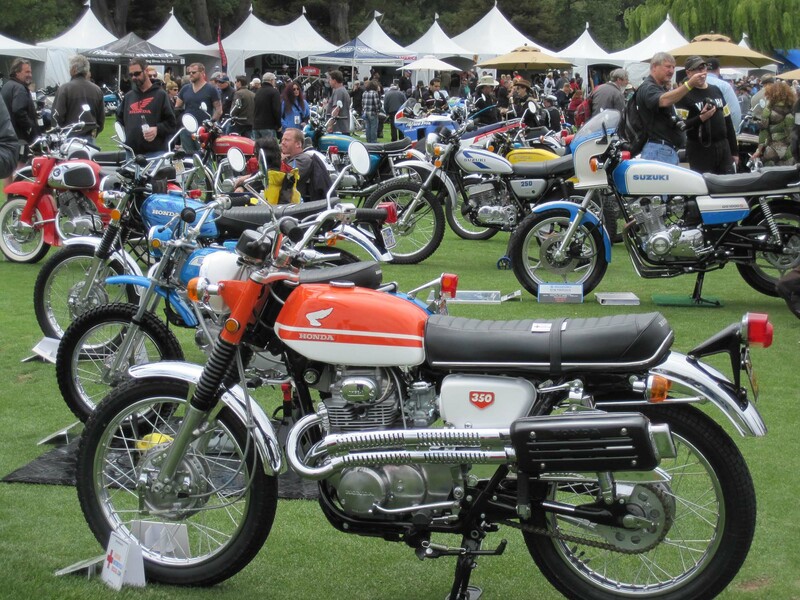 Almost 400 bikes were on display, which is a record for the show. 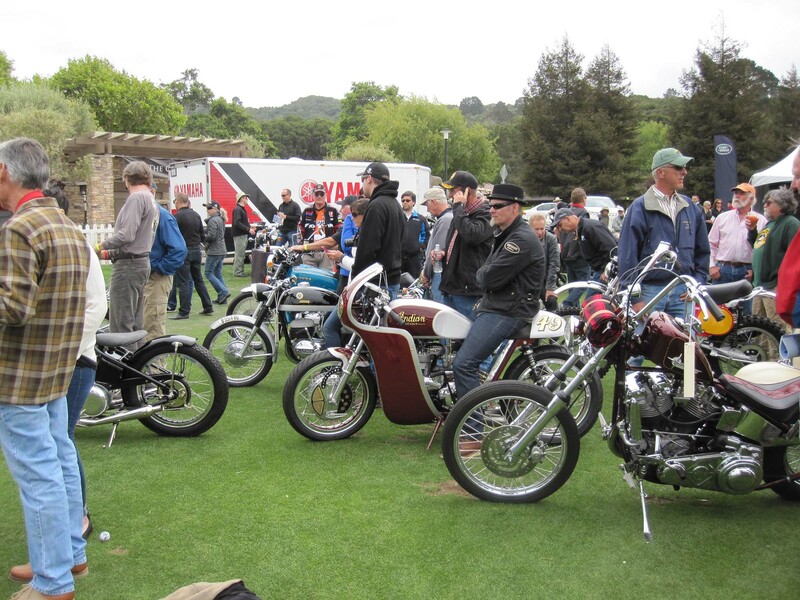 The sheer number of bikes was almost overwhelming! 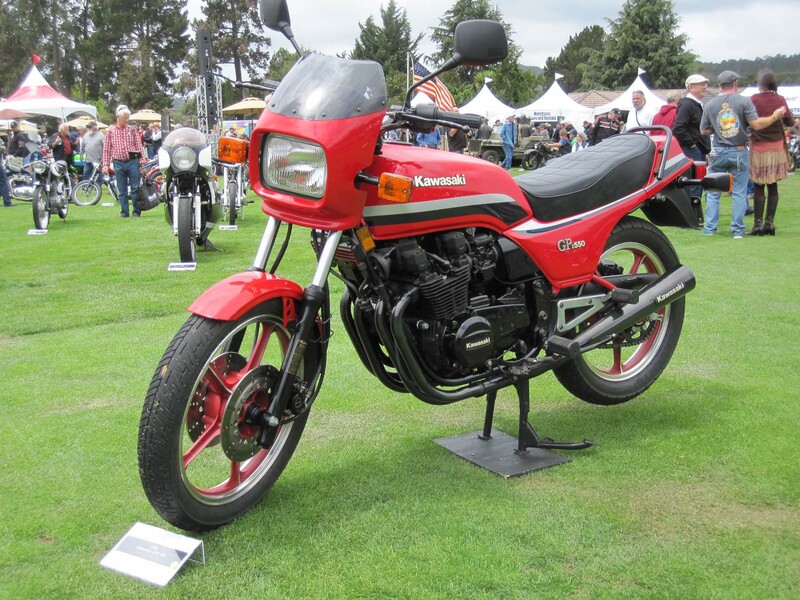 Everywhere you looked, there was something new to see or some detail that you missed the first time you looked at a bike. 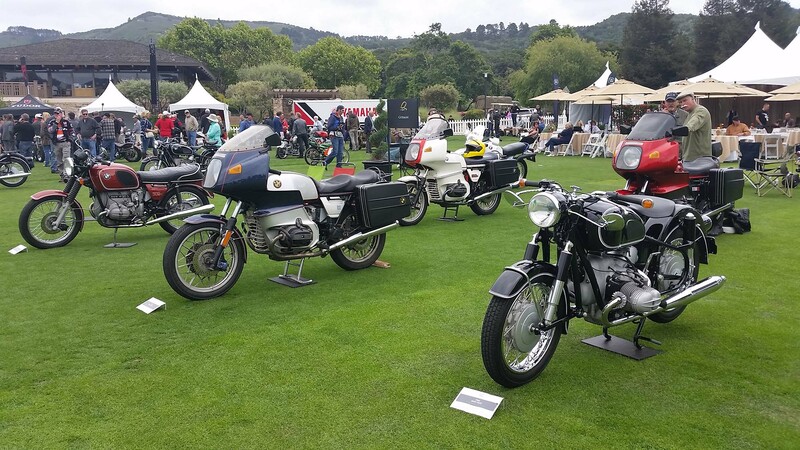 The variety was impressive. 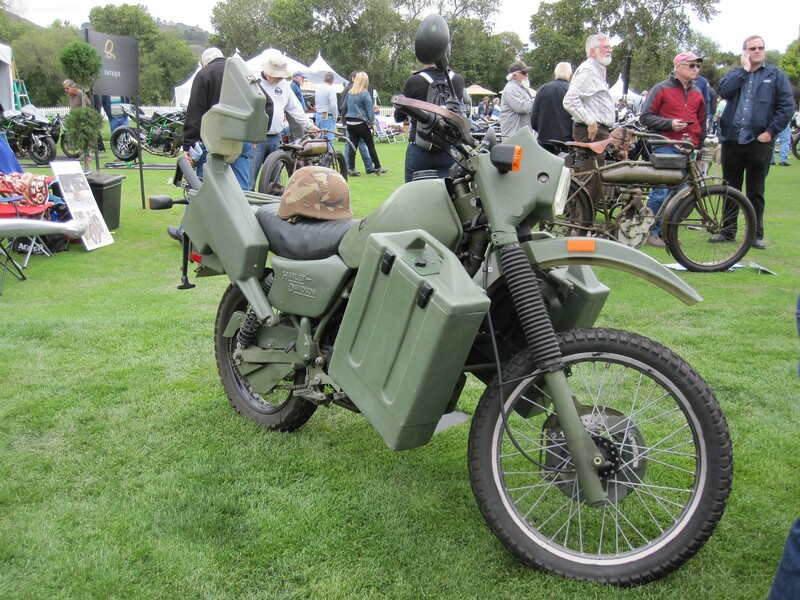 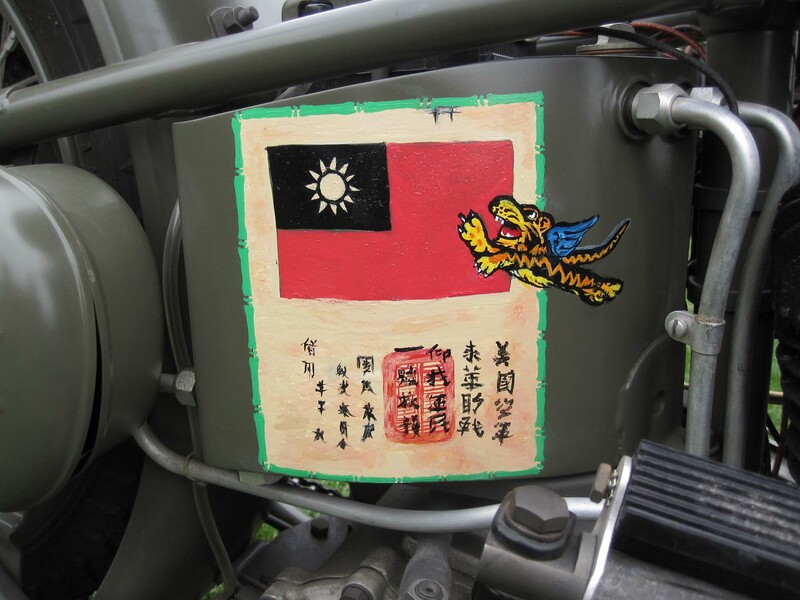 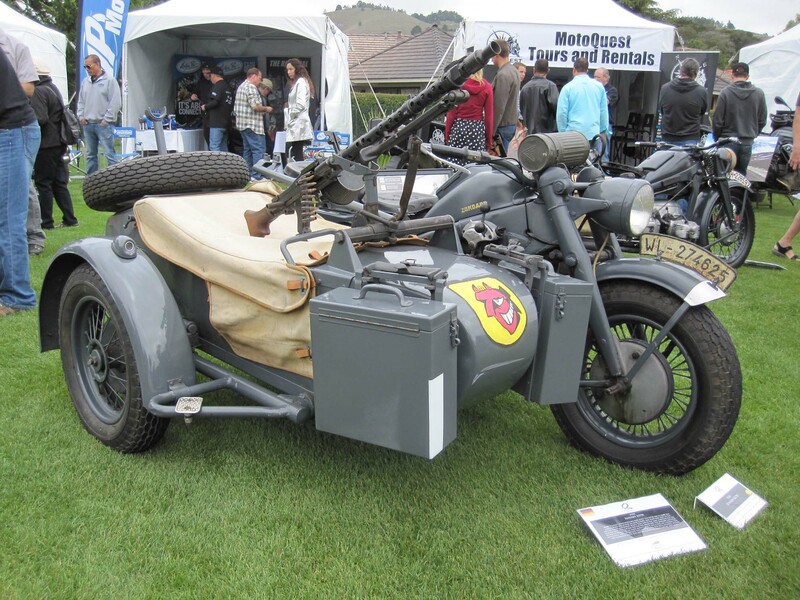 The military motorcycle tribute showed military motorcycles from numerous nations and contained everything from a 1918 Harley Davidson sidecar rig from WWI, to a BMW Afrika Korps setup, to a 150cc Mustang Military Scooter that was used by the U.S. in Vietnam to conduct patrols and support the military police in Saigon. 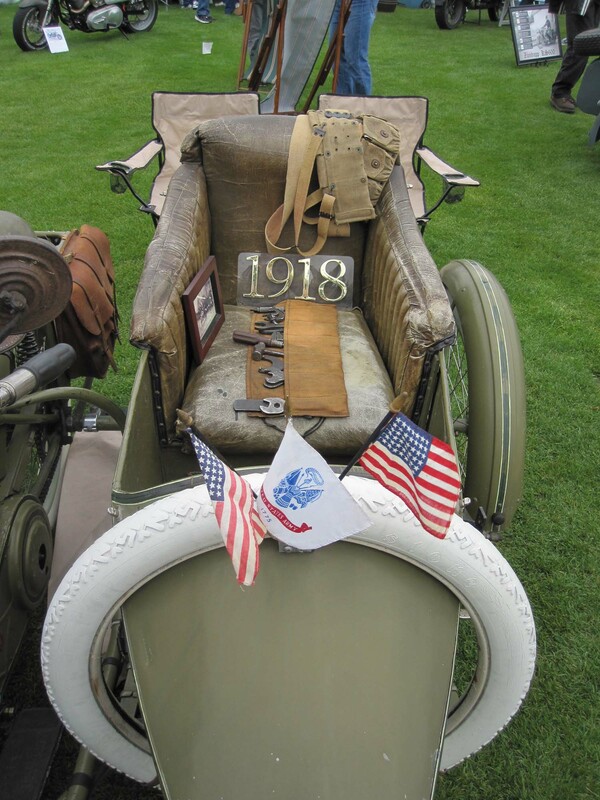 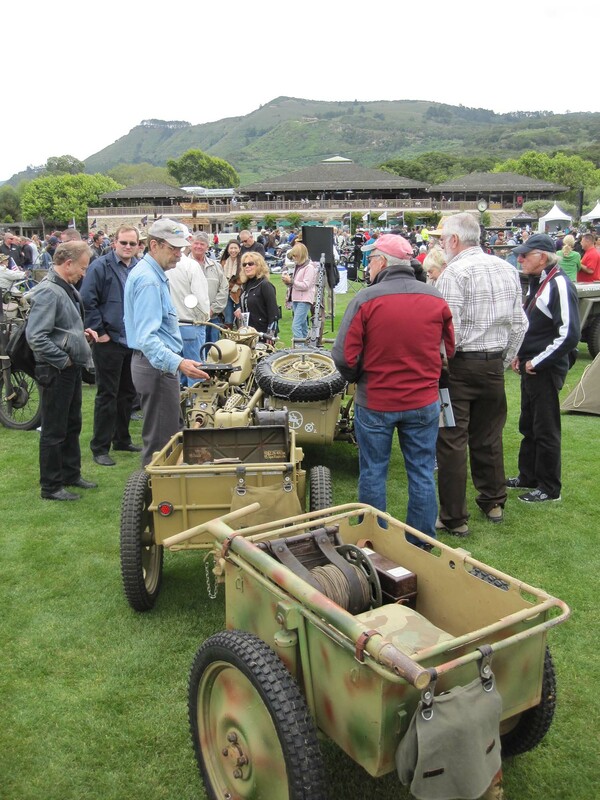 Owners were on hand in period costumes and provided fascinating stories about the history of their machines. 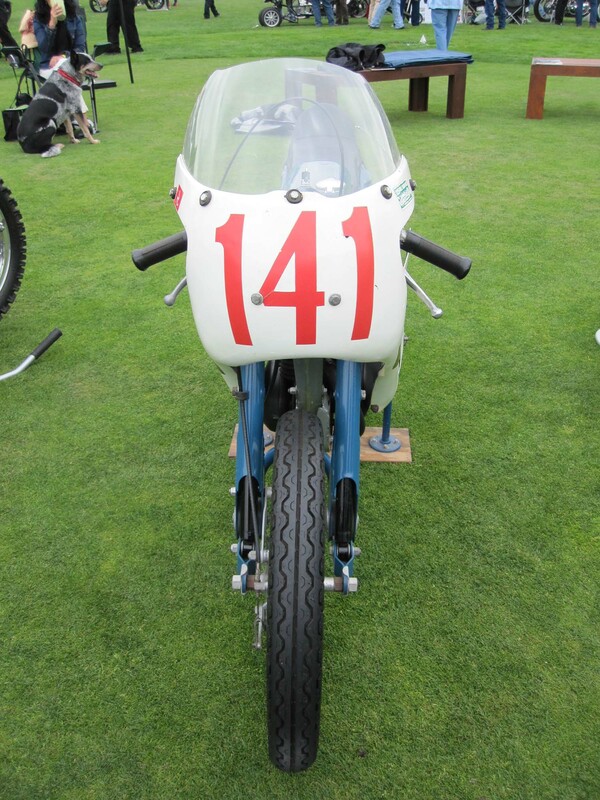 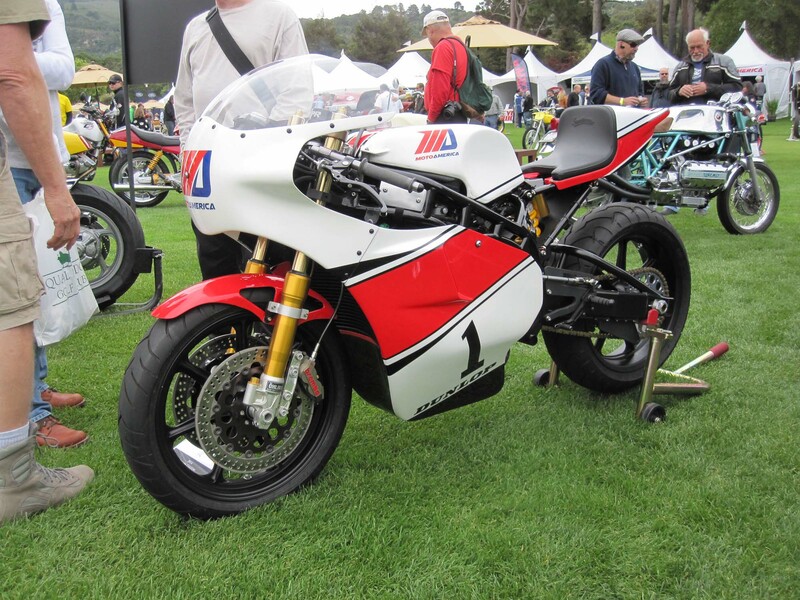 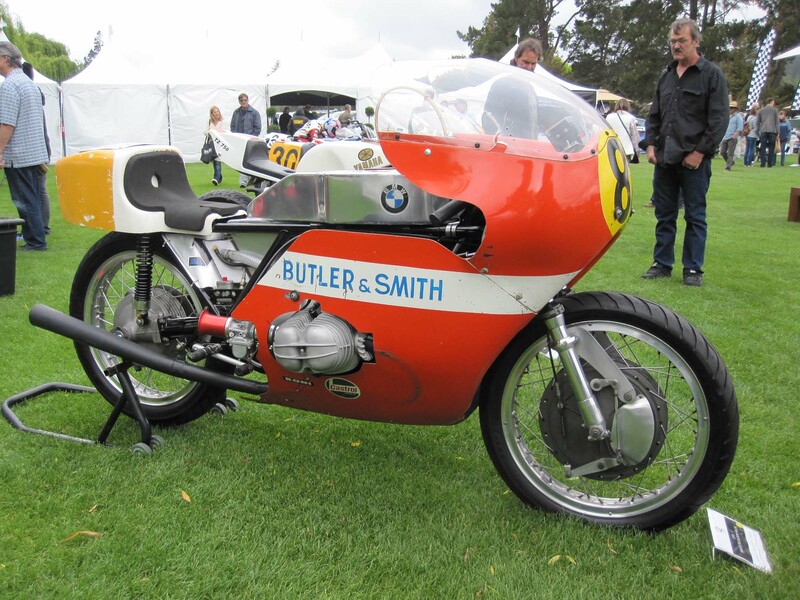 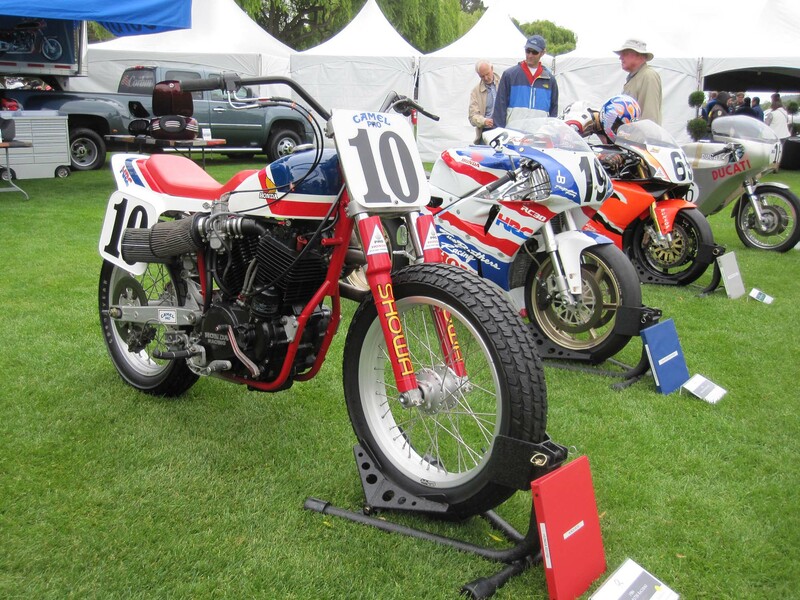 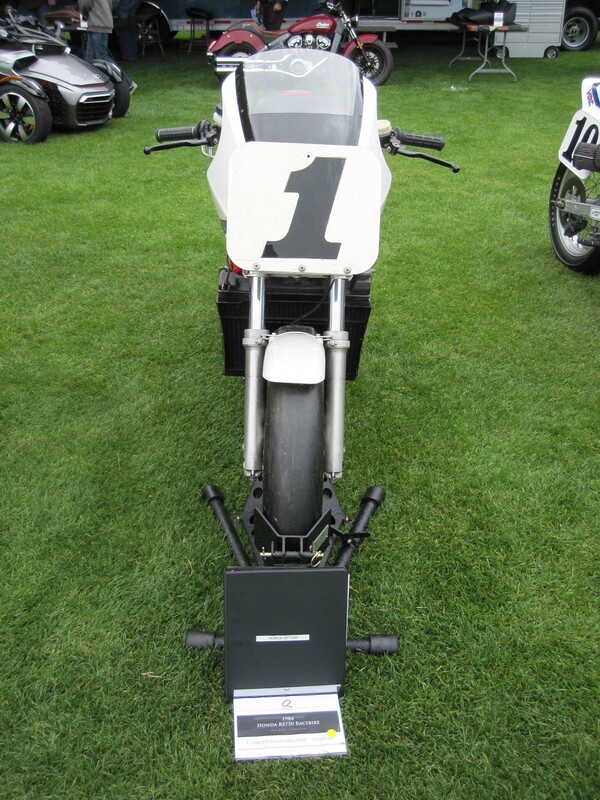 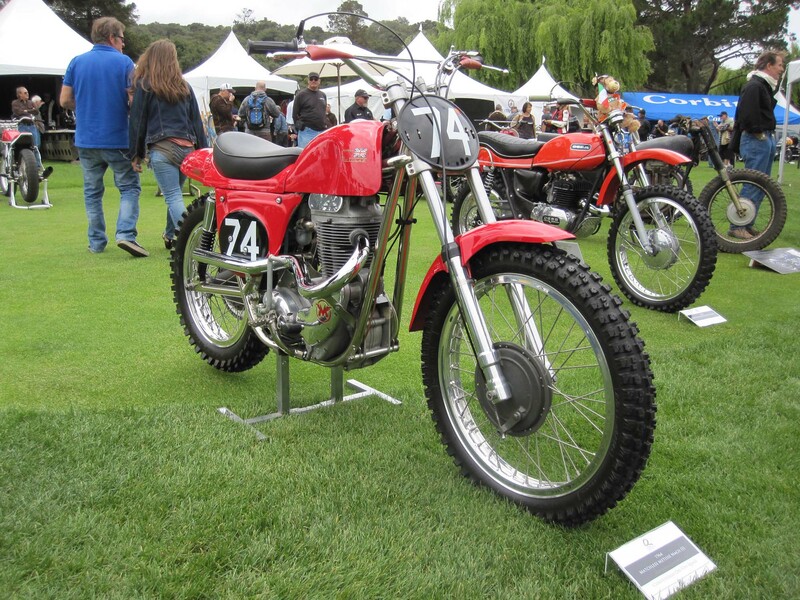 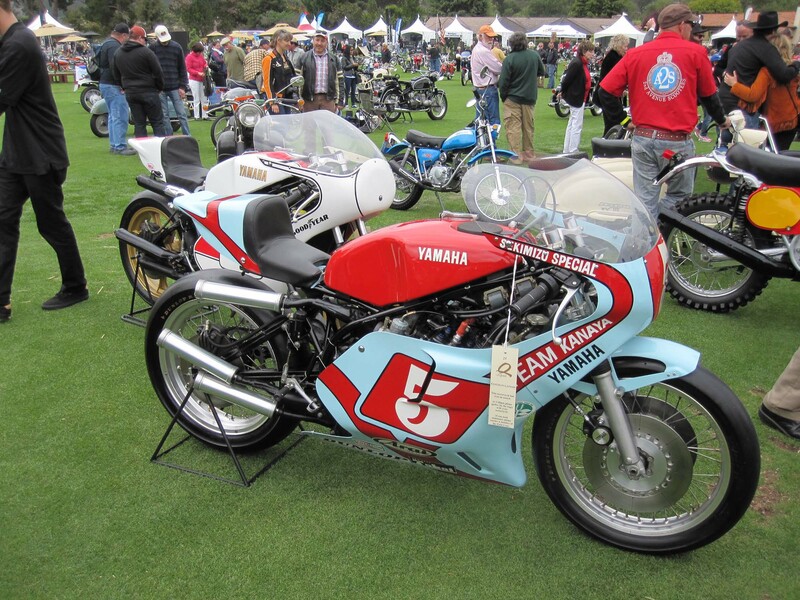 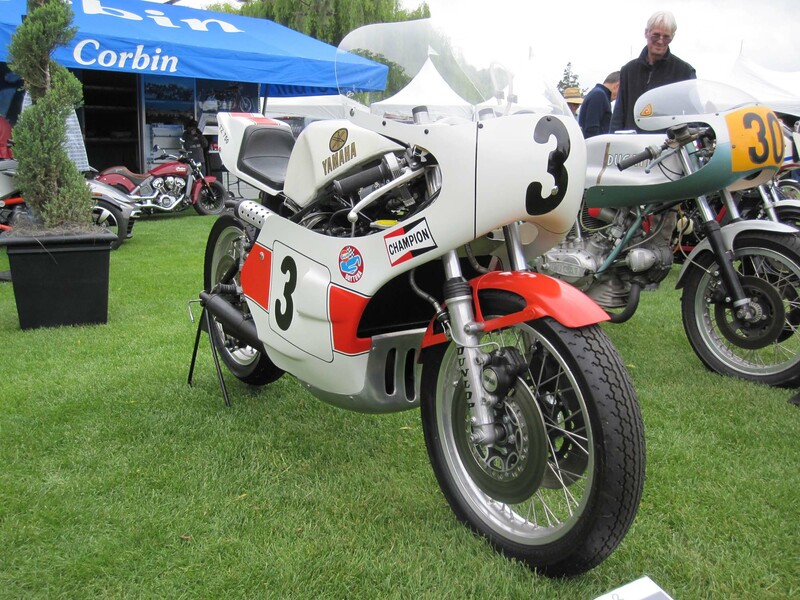 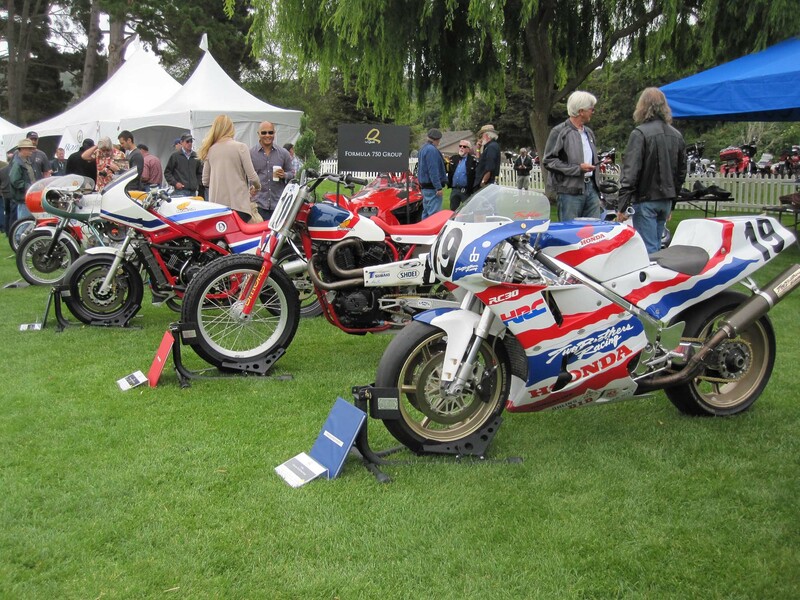 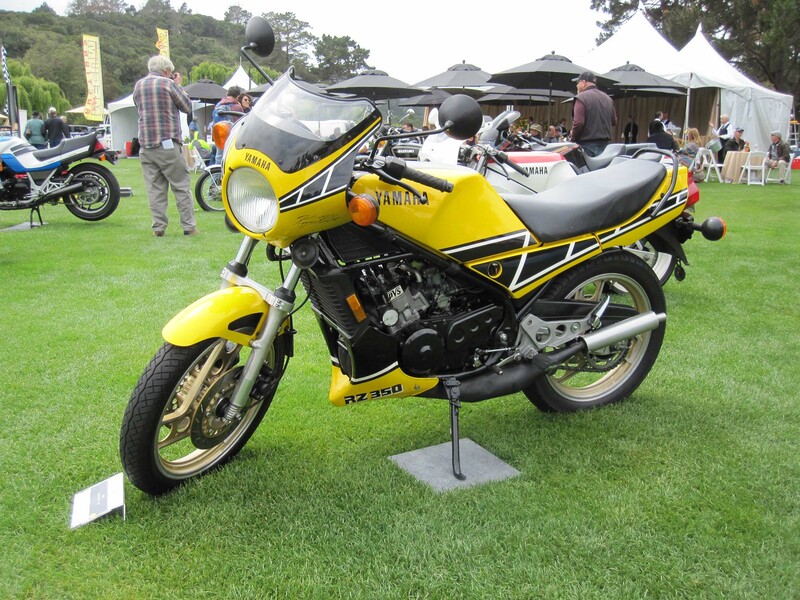 The Formula 750 display showcased some of the great racing motorcycles from the 1970s that served as a precursor to the Superbikes of the 1980s and beyond. 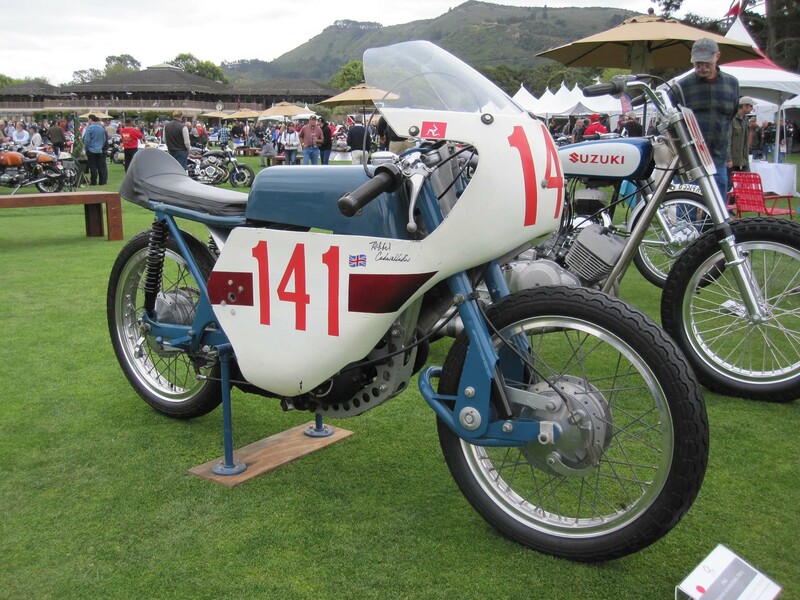 This class of bike stretched the bounds of the tire and suspension technology of the time and allowed for rapid advancement of the racing machines from Japan, as the motorcycles from Great Britain began a decline and Harley-Davidson got out of the road racing game. 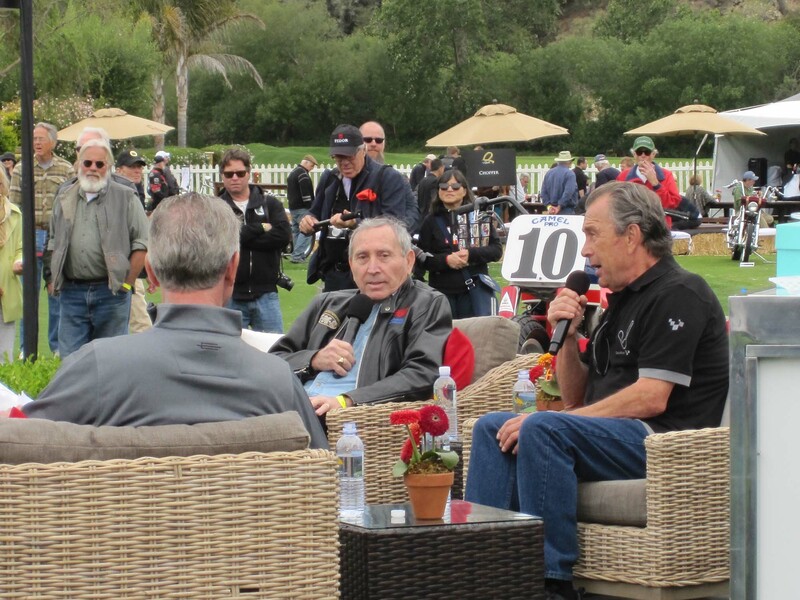 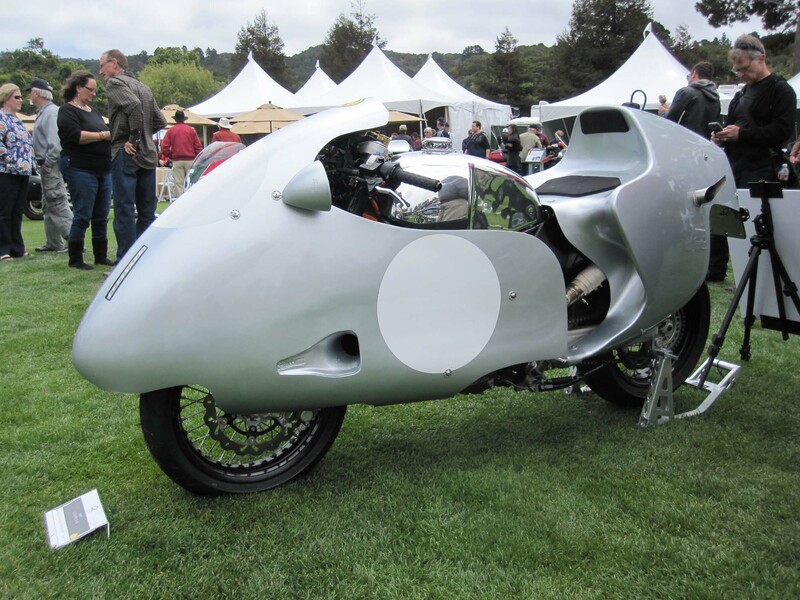 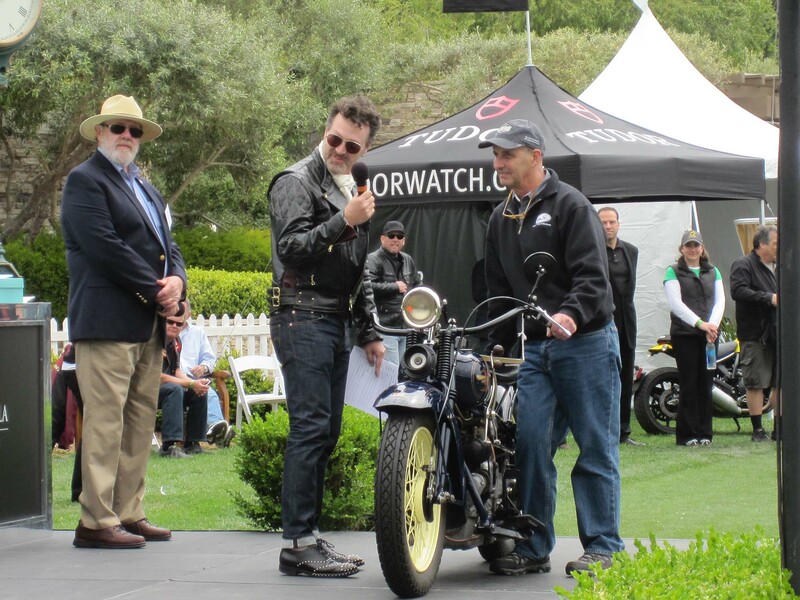 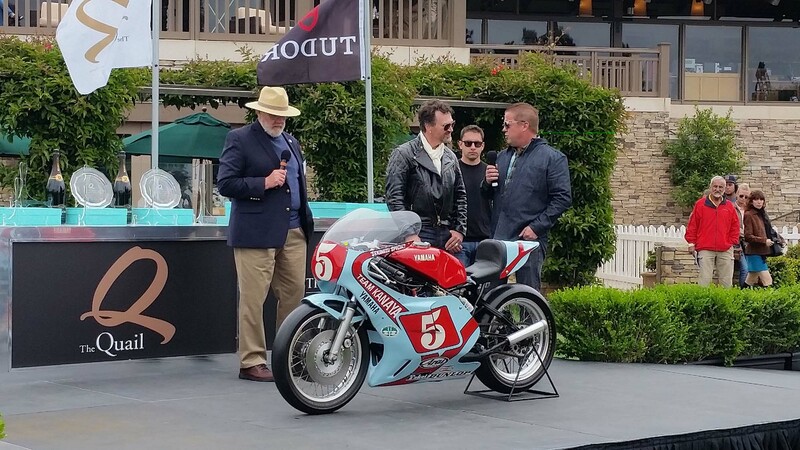 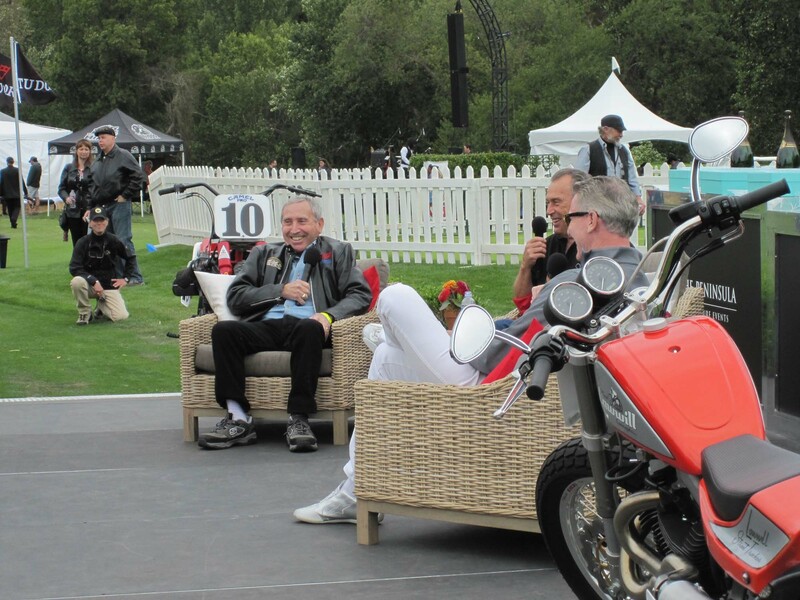 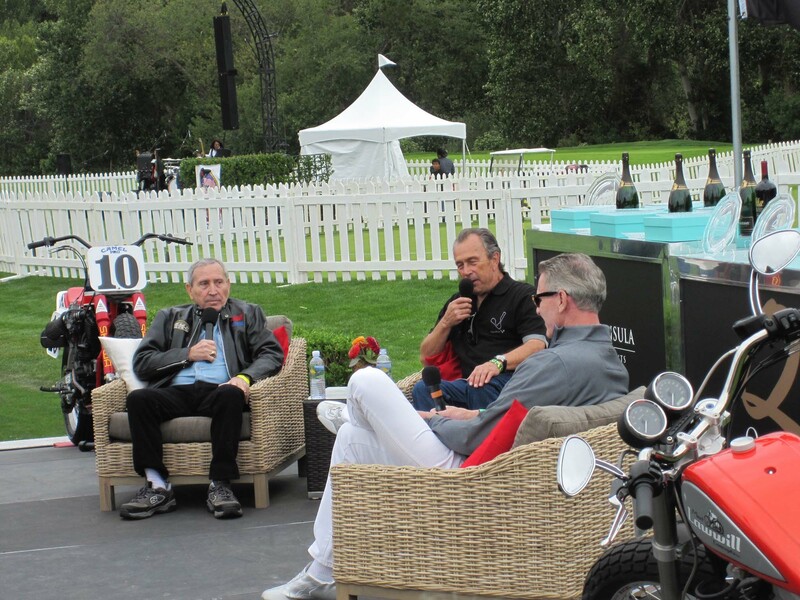 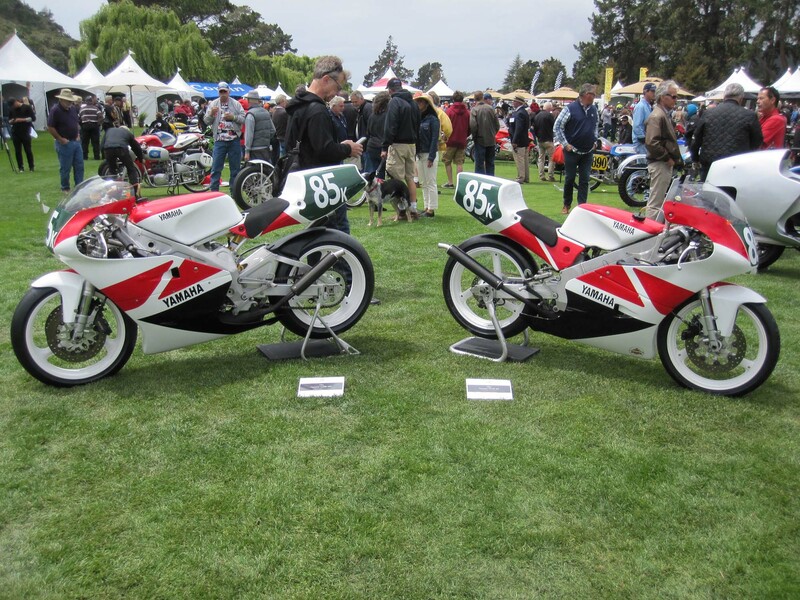 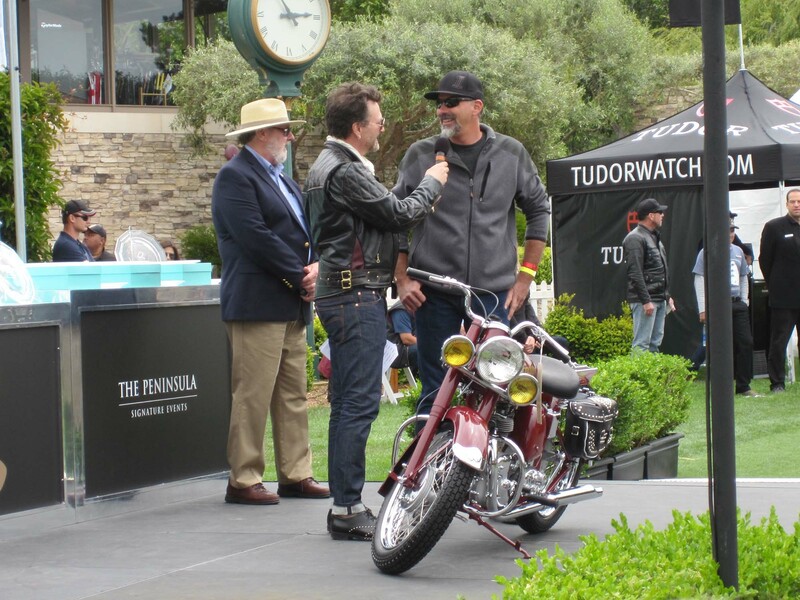 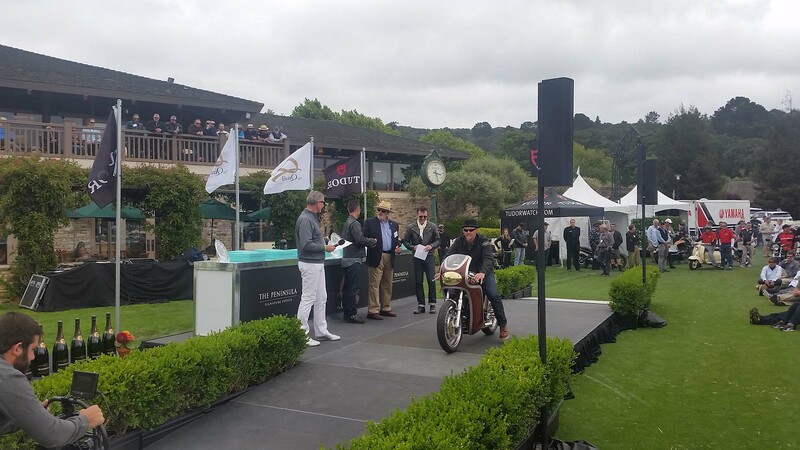 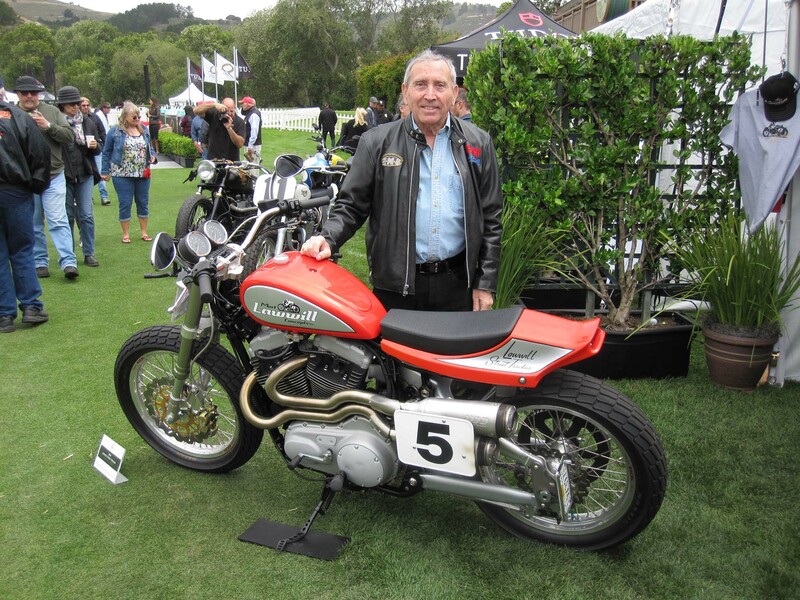 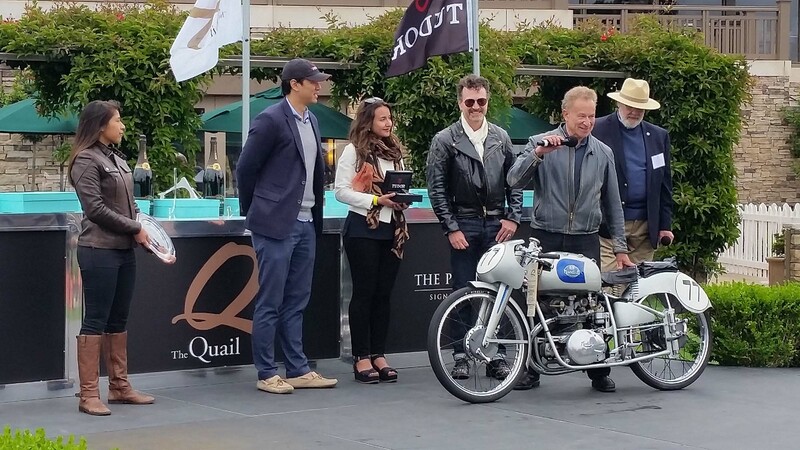 One of the most interesting aspects of the Quail was the honoring of motorcycle racing legends Mert Lawwill and Gene Romero. 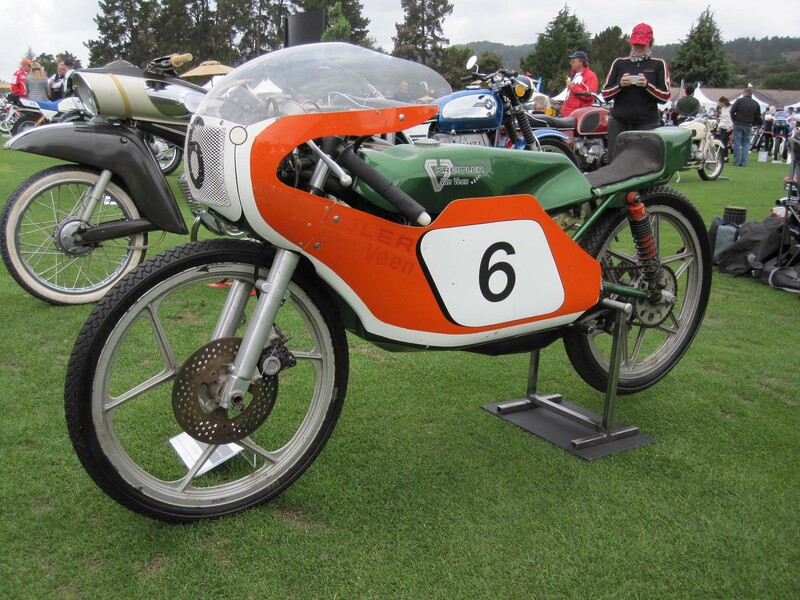 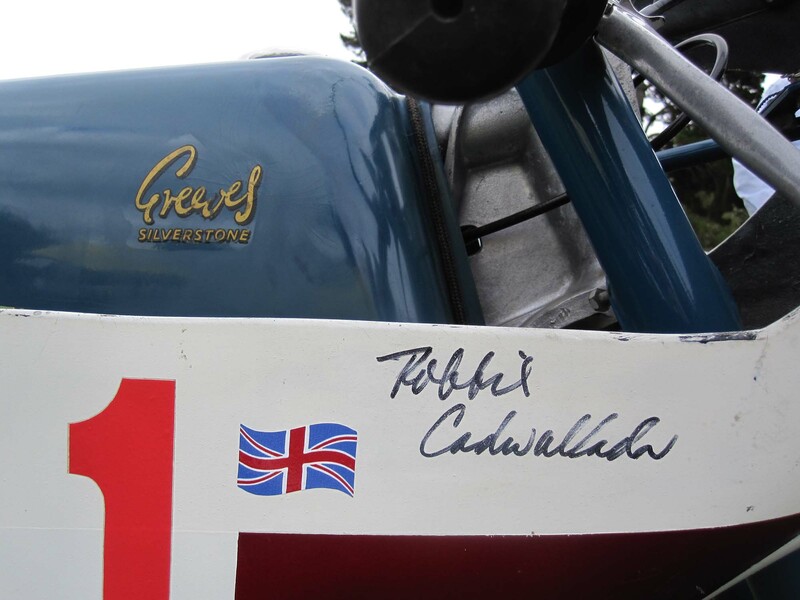 Both are former Grand National Racing champions, Lawwill in 1969 and Romero in 1970, and both have stayed active in the world of motorcycling well past their retirement from racing. 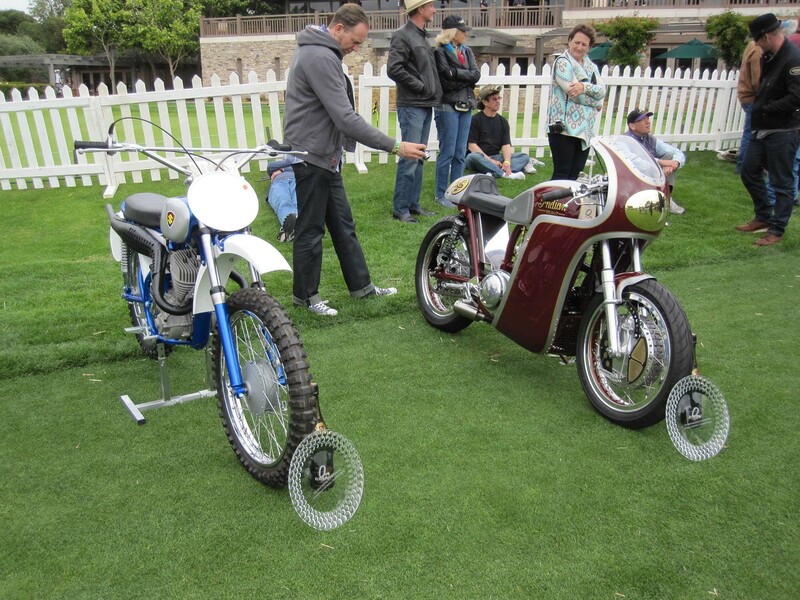 In talking with Lawwill, the former star of Bruce Brown’s movie, On Any Sunday, he explained how his passion for engineering has taken him down a new path designing prosthetic hands and lower arms that allow disabled people to ride motorcycles. 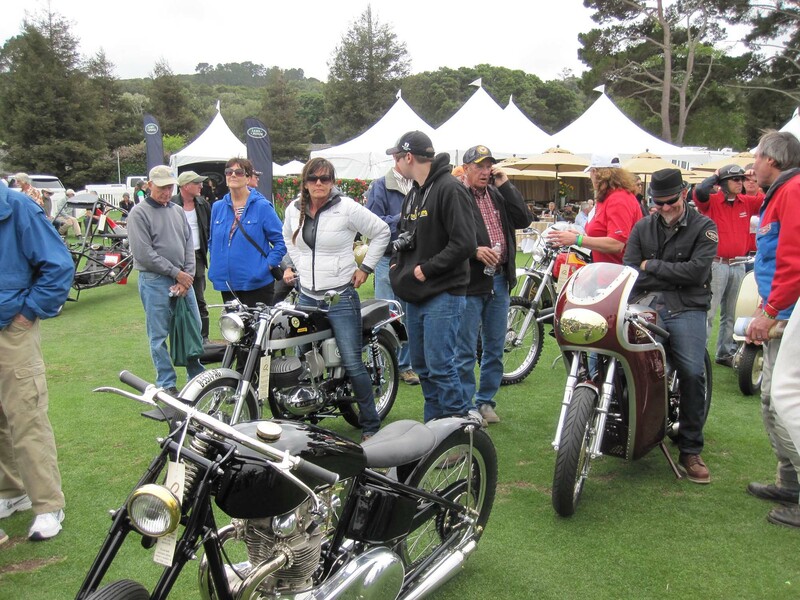 Though the weather for this year’s event was less than perfect, with lots of clouds, an occasional stiff breeze, and a chill in the air, the crowd wasn’t daunted. 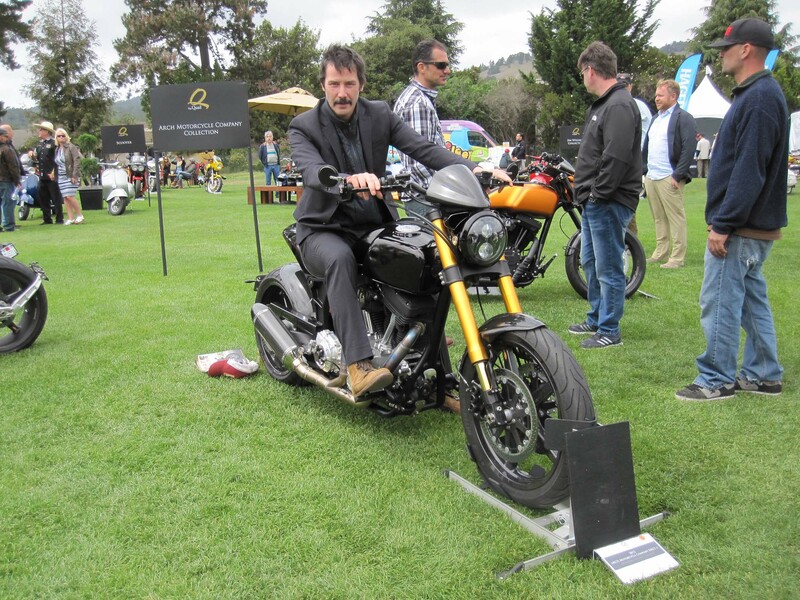 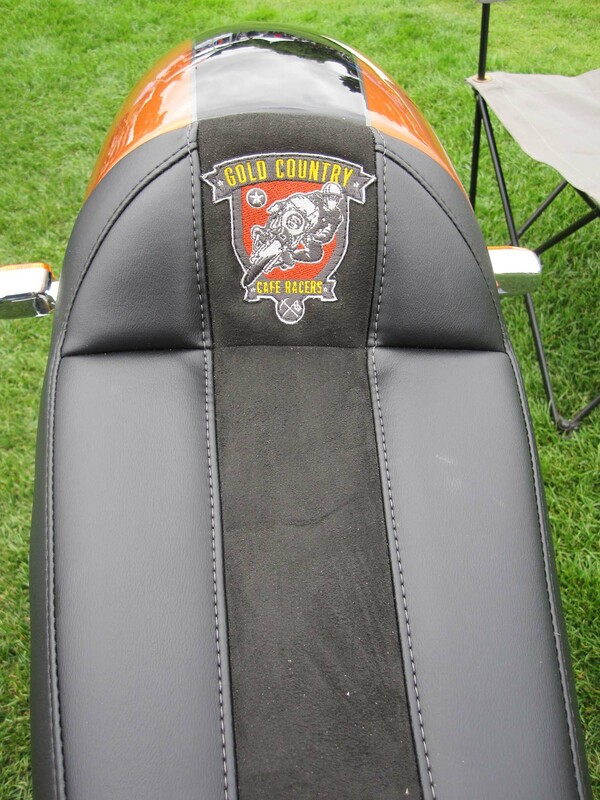 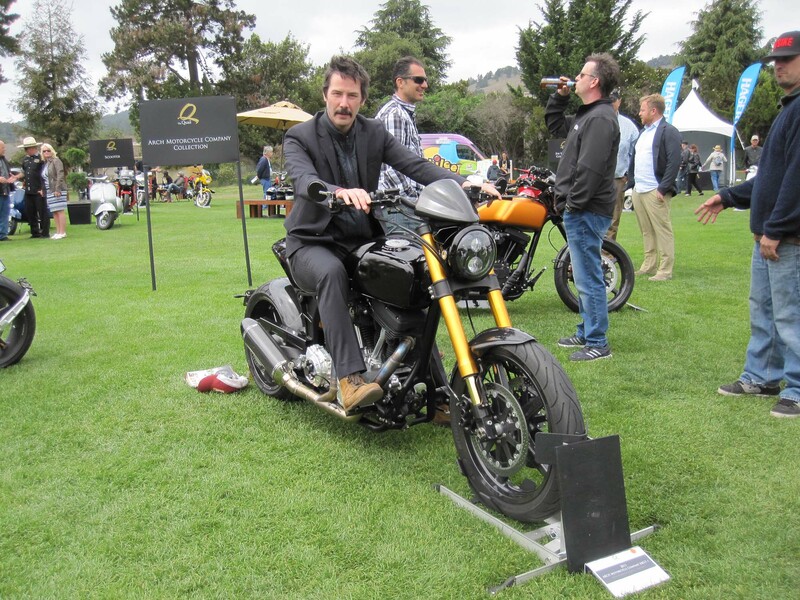 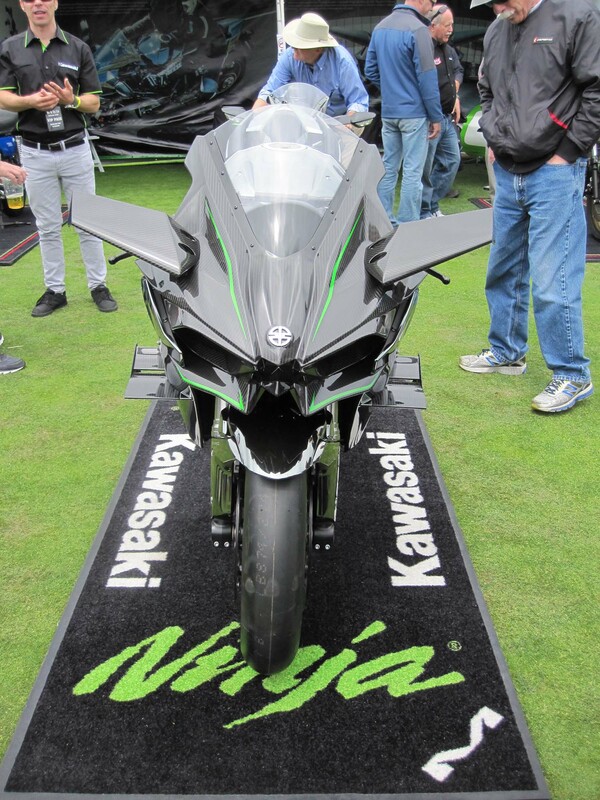 Motorcycle luminaries such as Brian Fuller attended, as did celebrities such as Keanu Reeves with his Arch Motorcycle Company and Alonzo Bodden from Last Comic Standing. 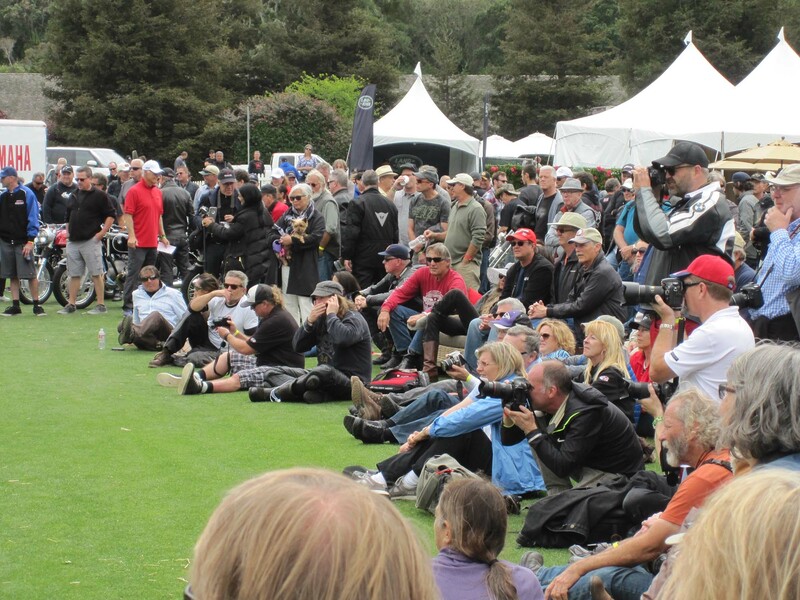 Though no numbers were available at press time, attendance definitely seemed higher than in previous years. 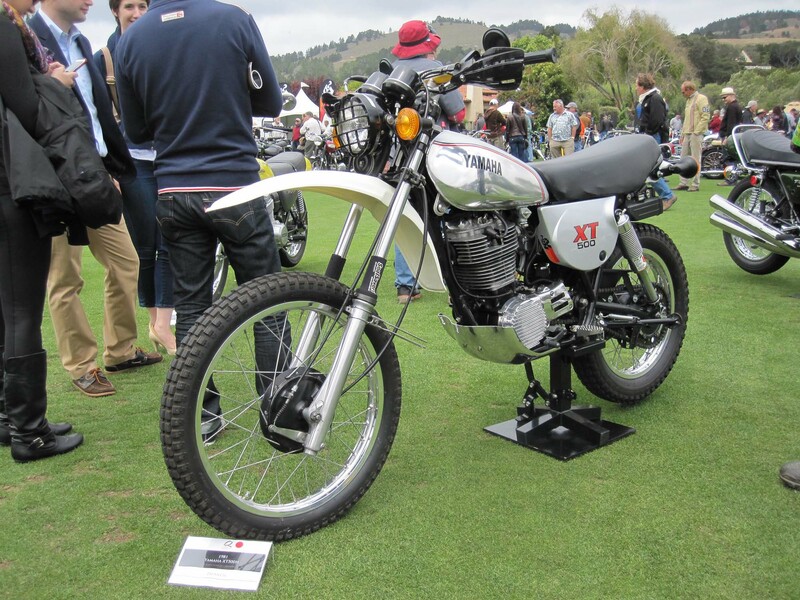 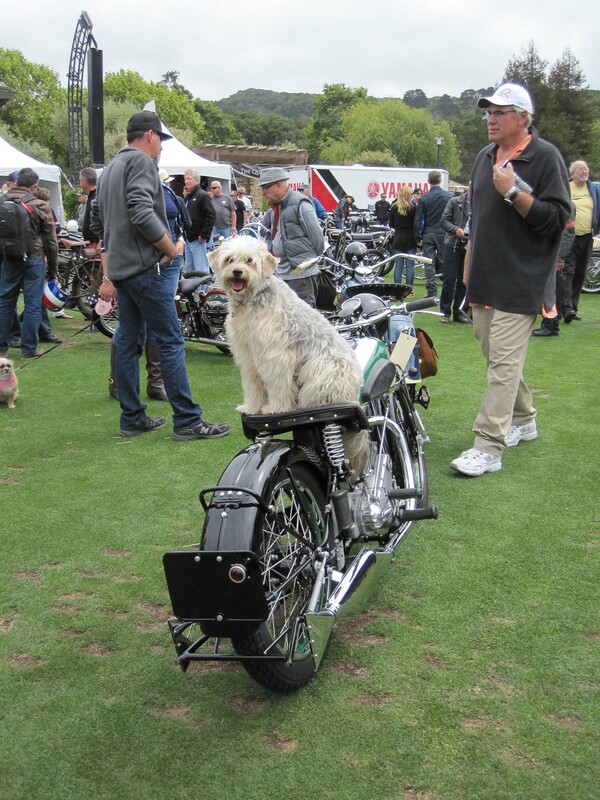 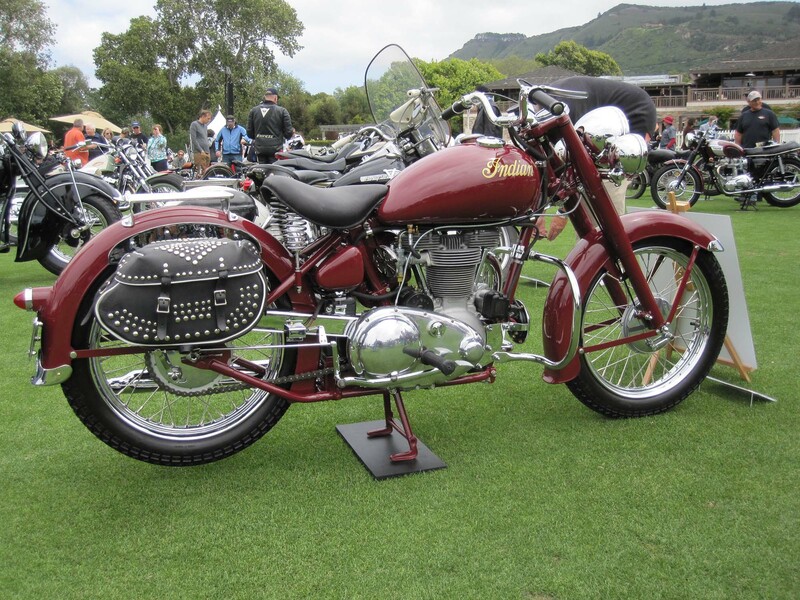 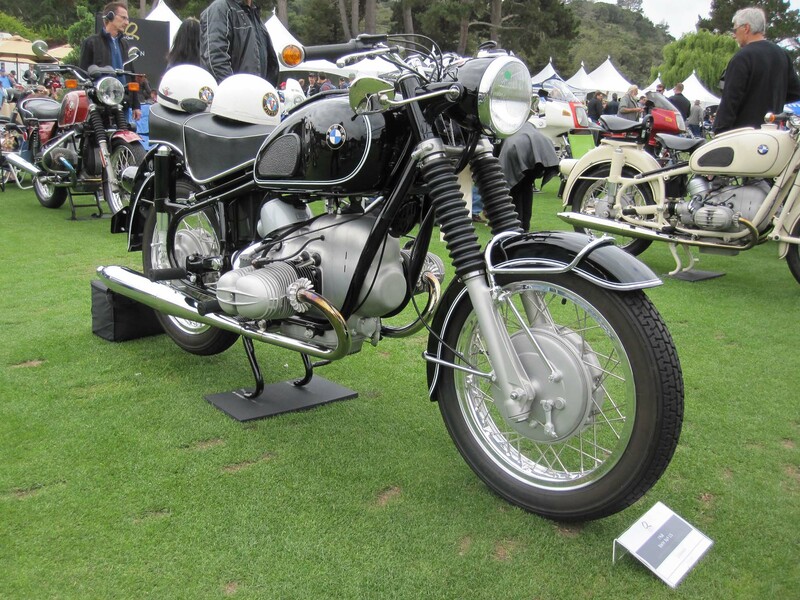 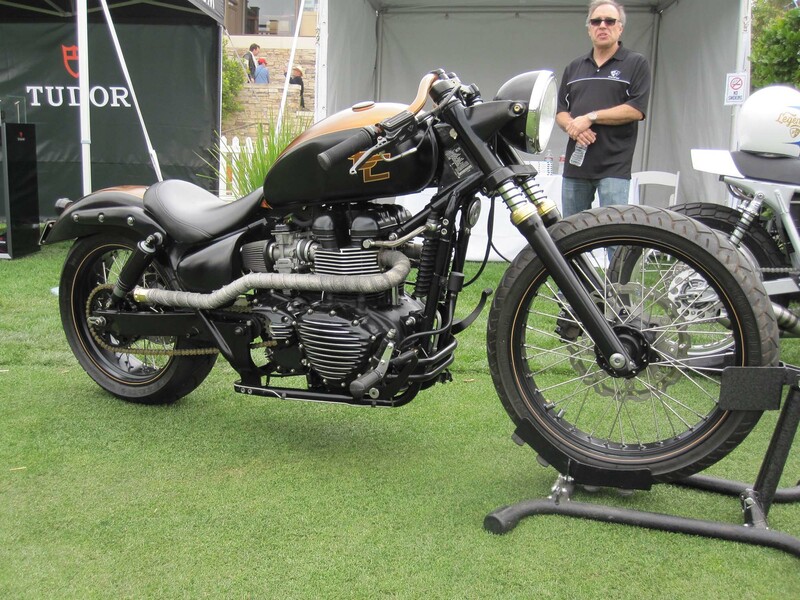 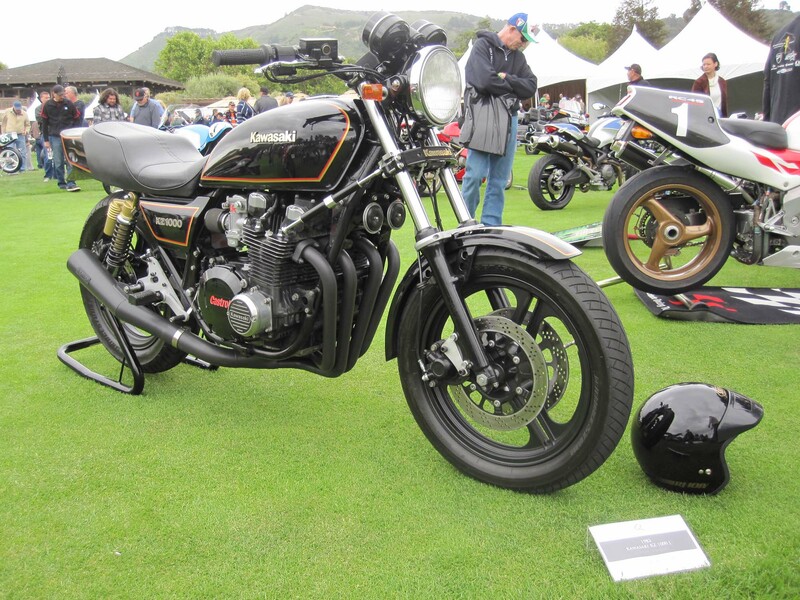 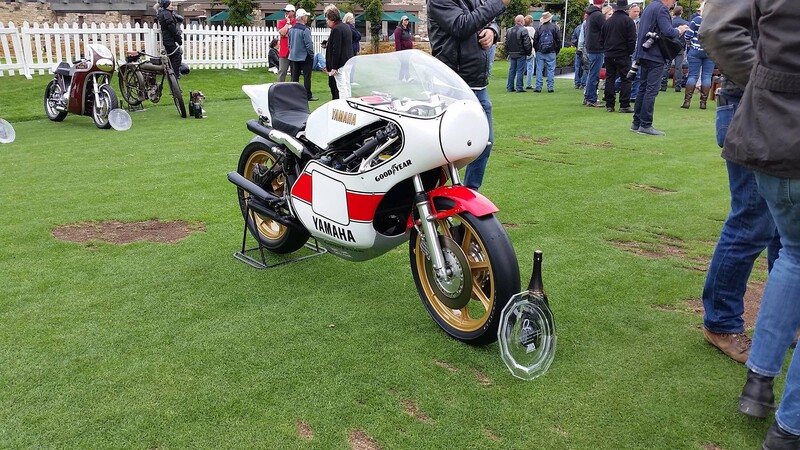 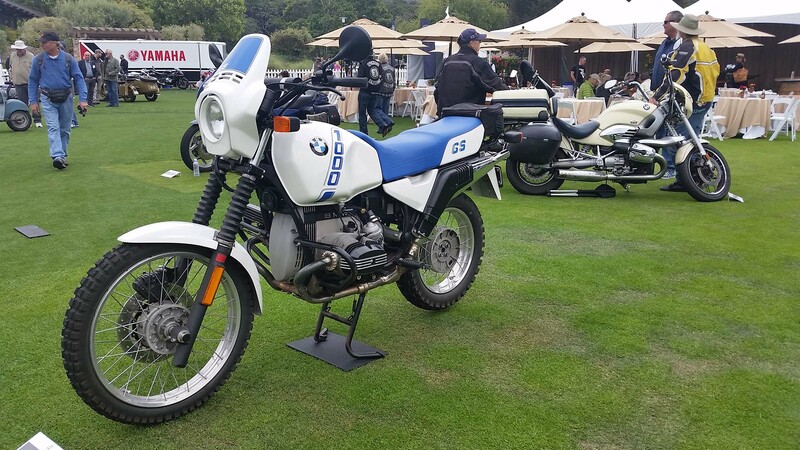 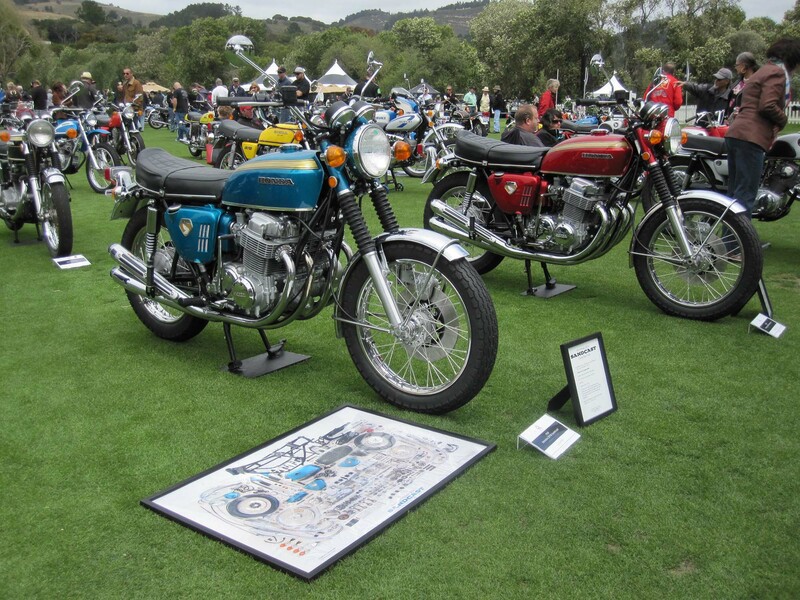 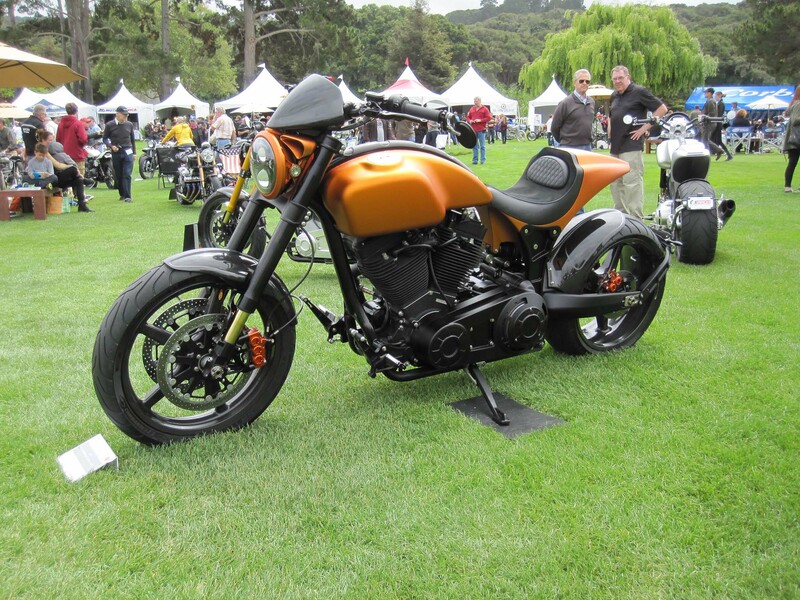 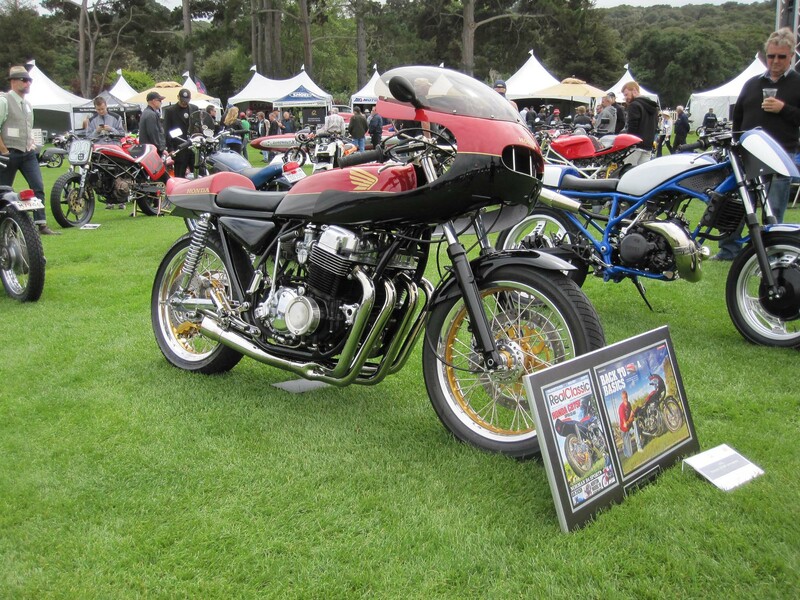 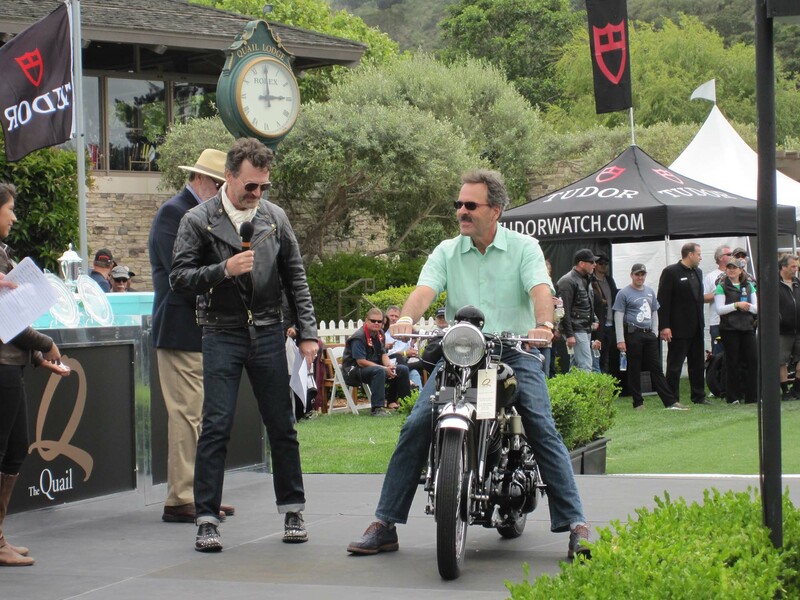 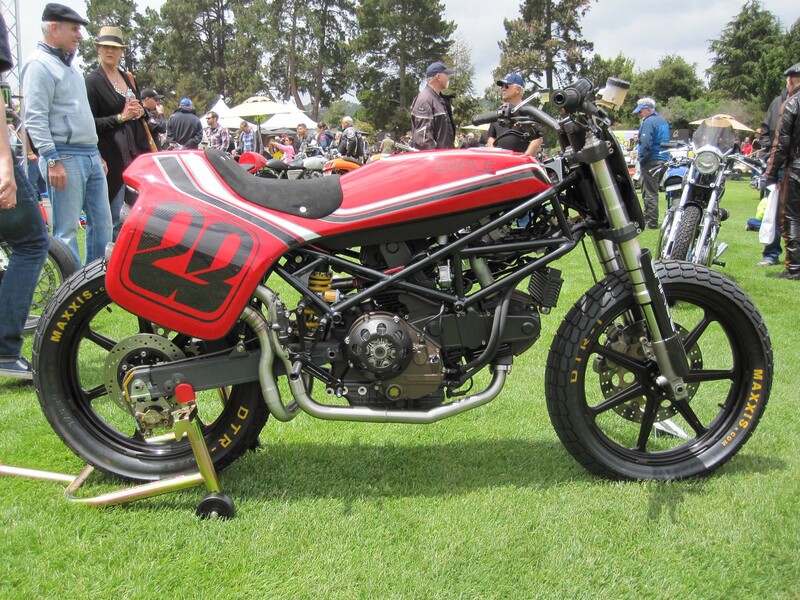 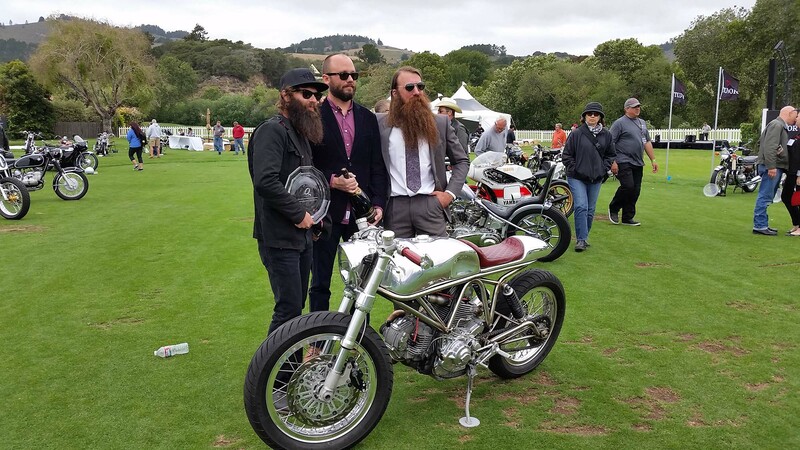 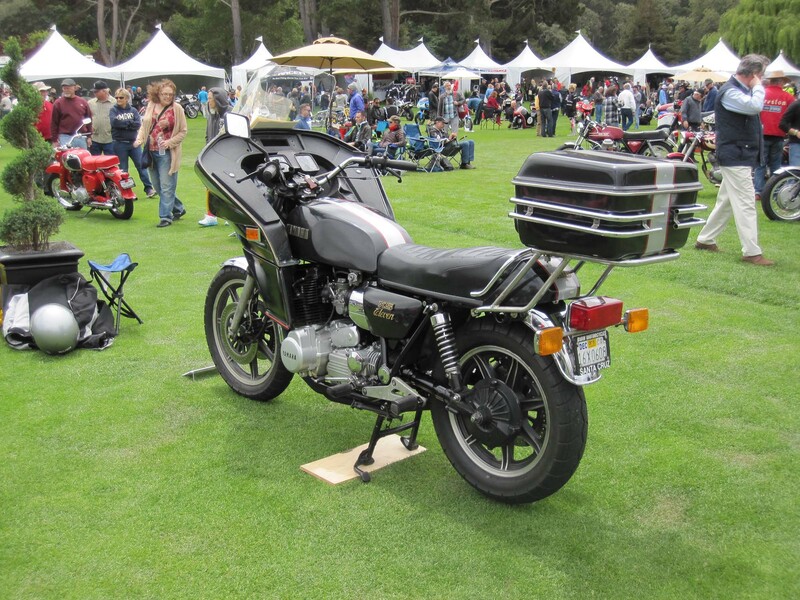 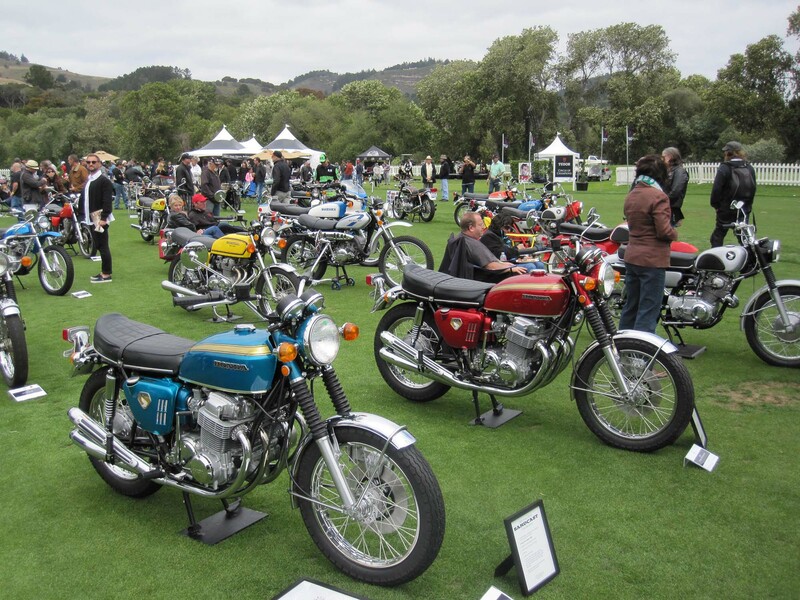 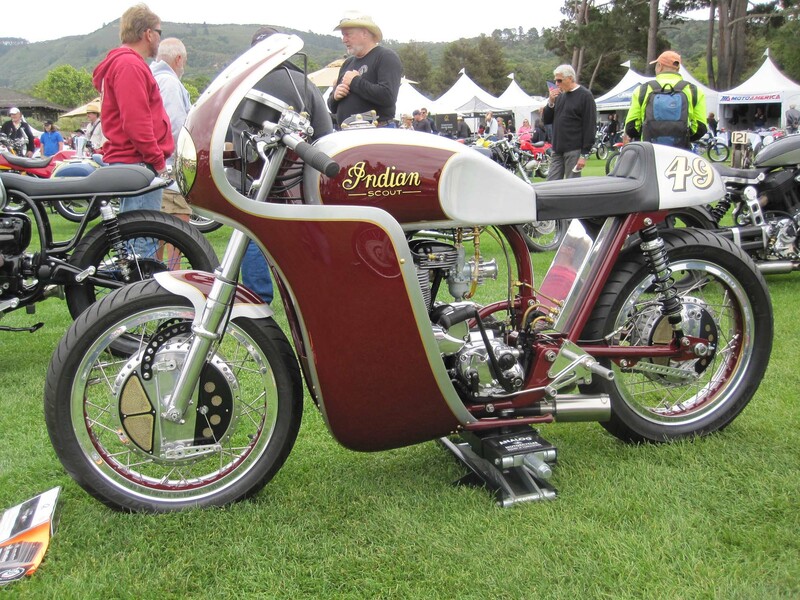 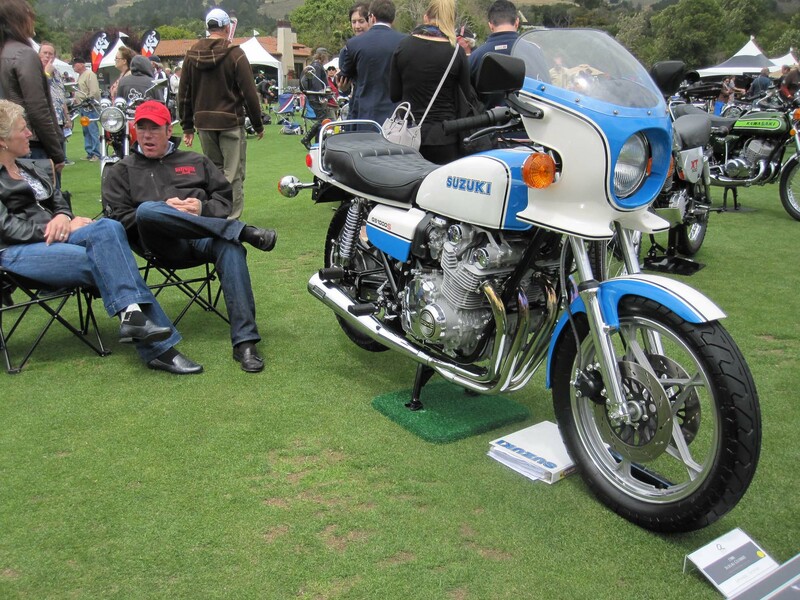 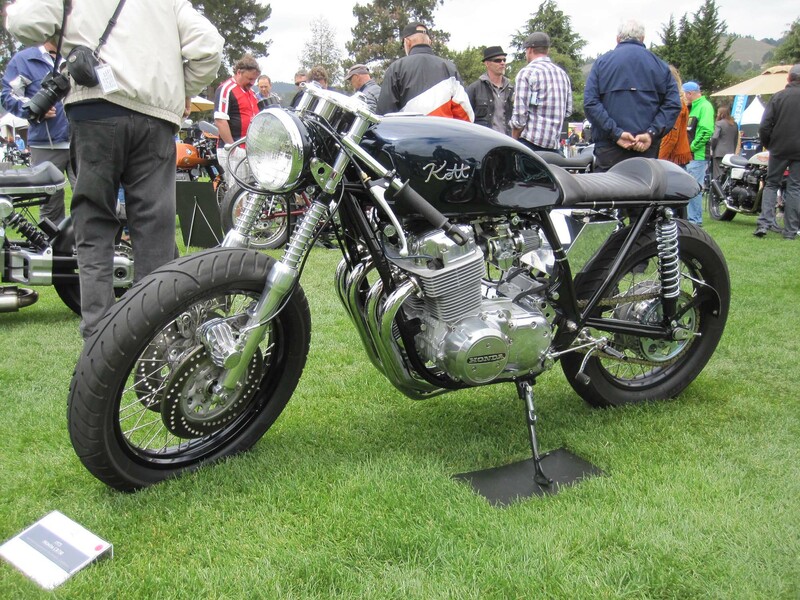 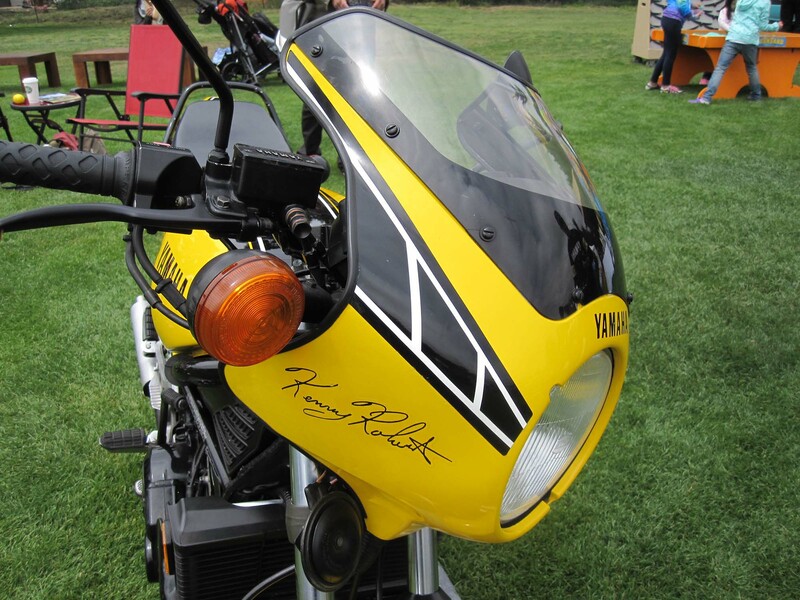 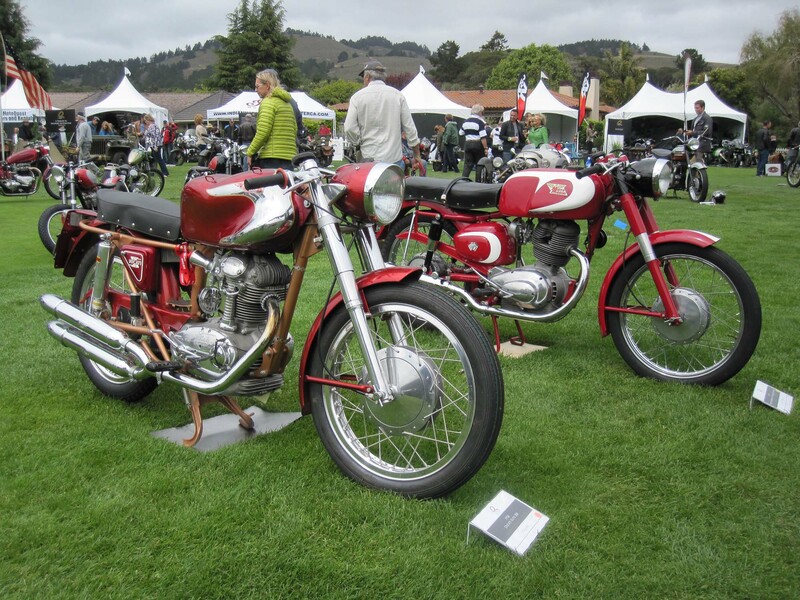 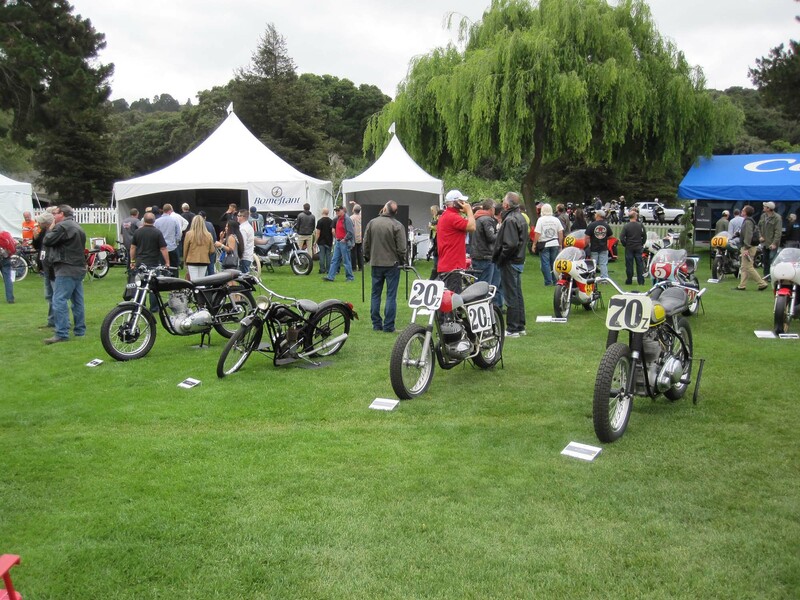 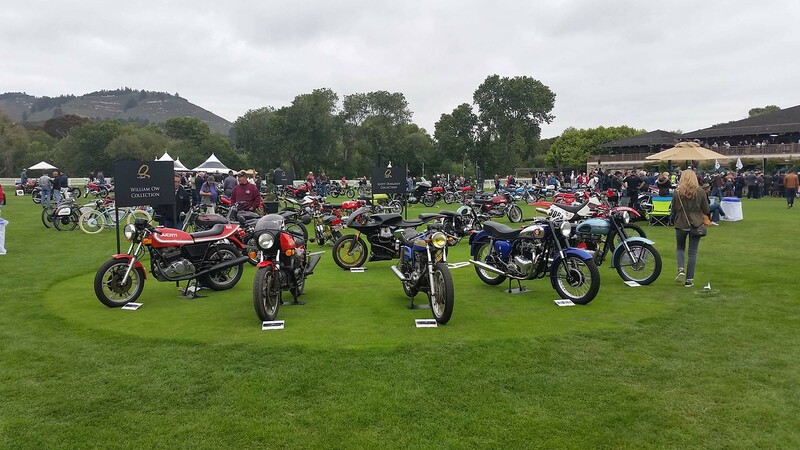 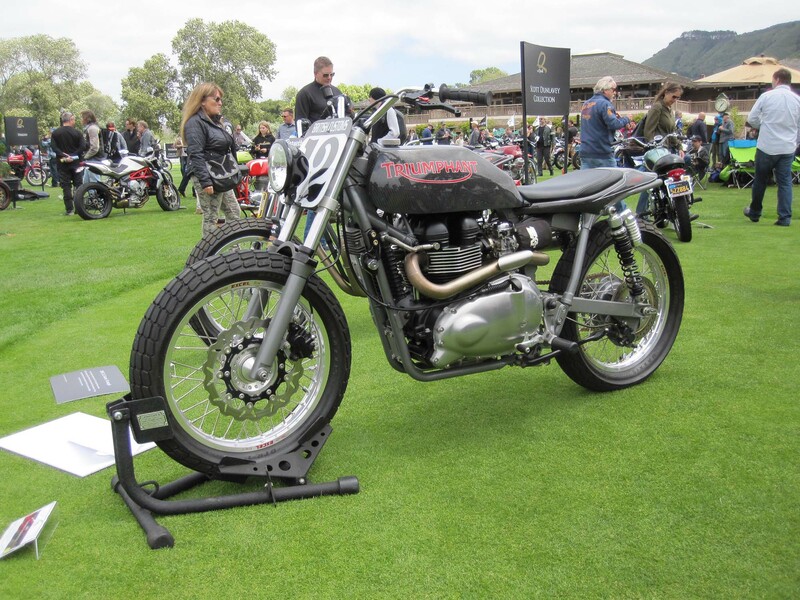 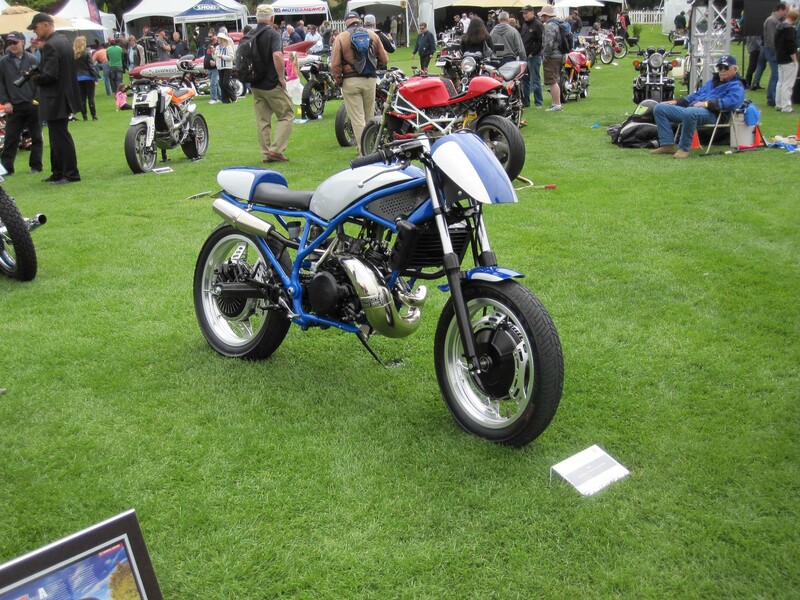 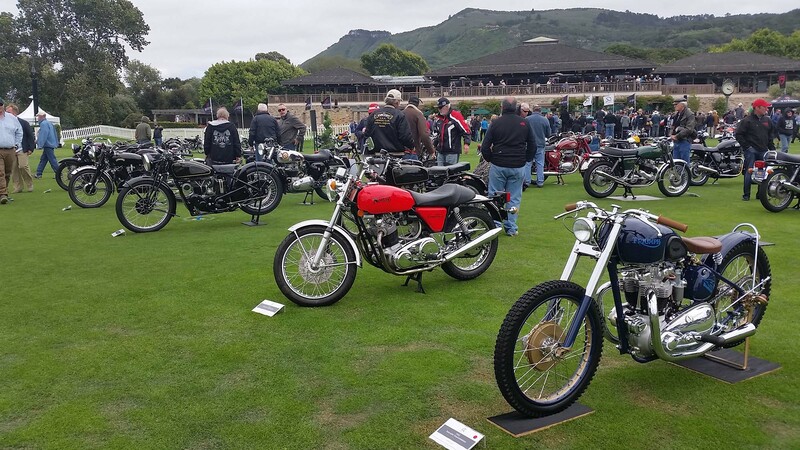 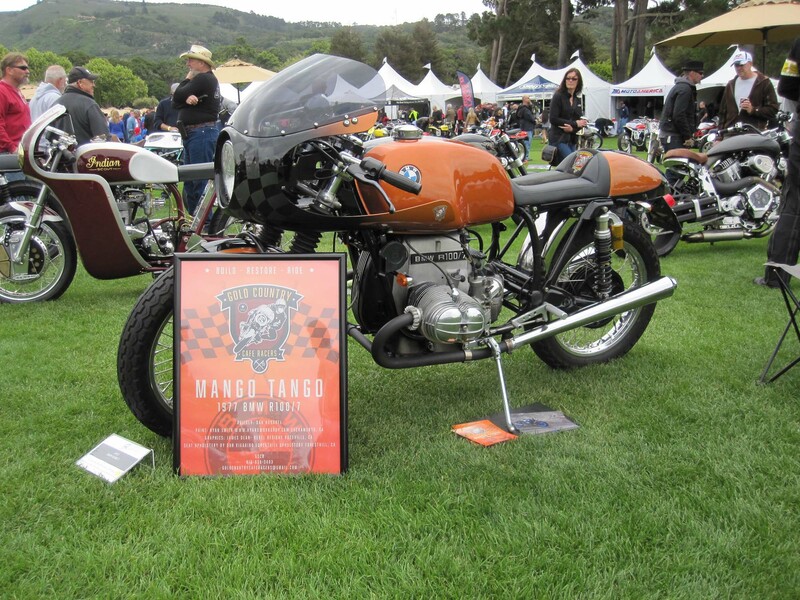 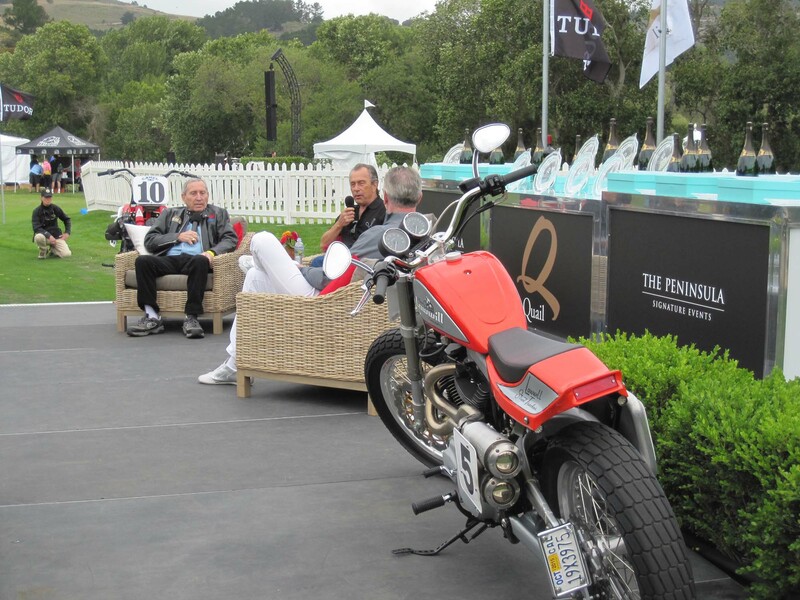 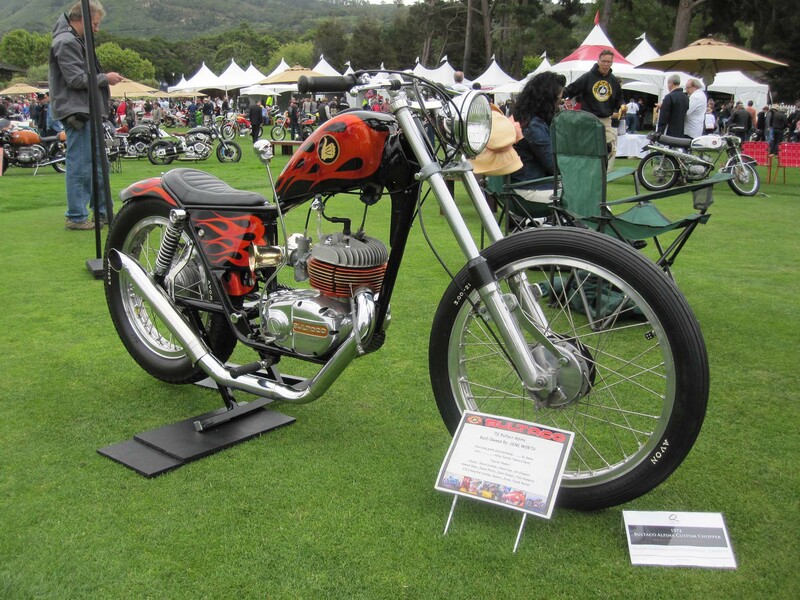 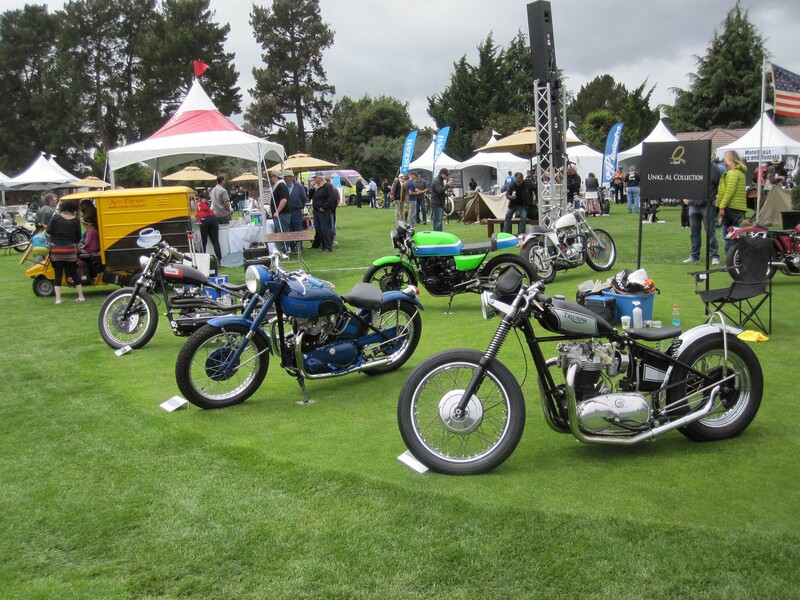 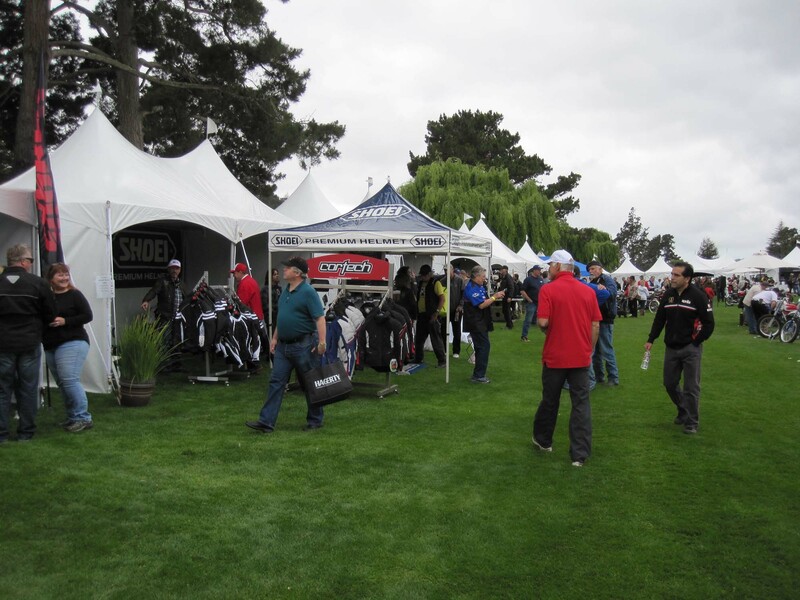 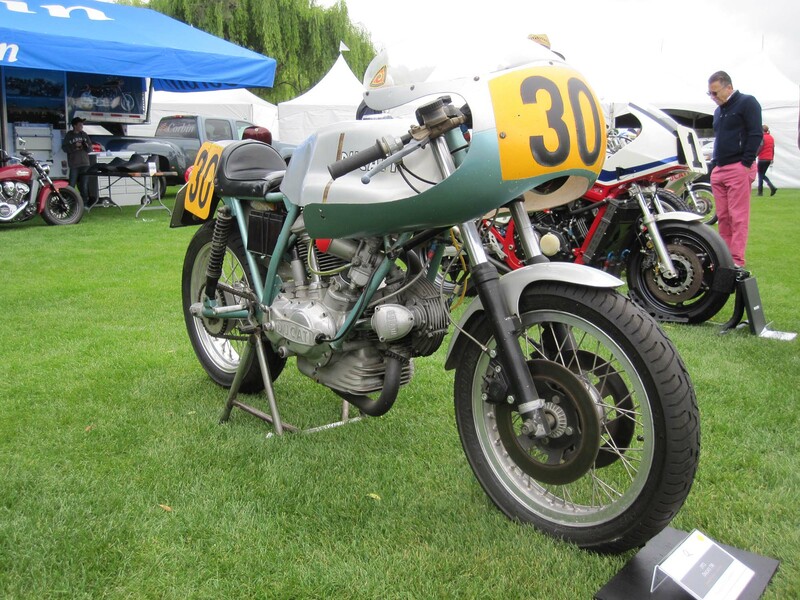 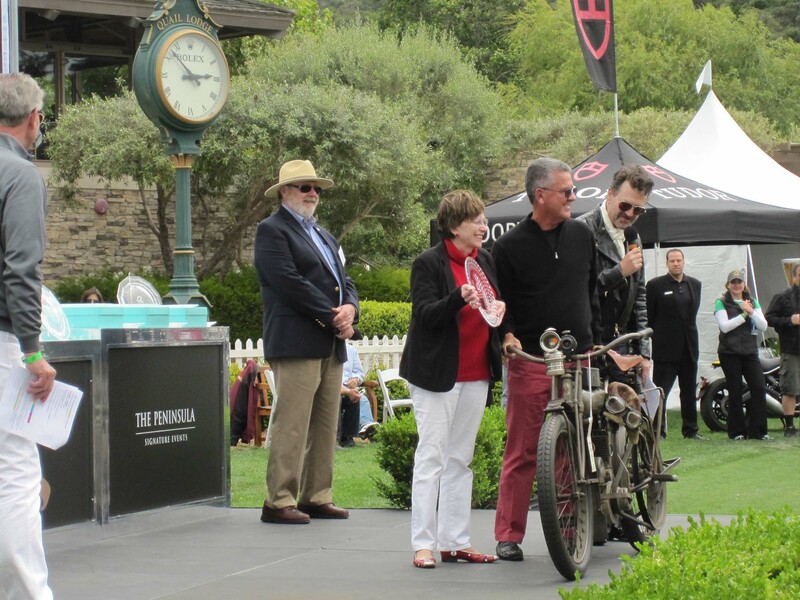 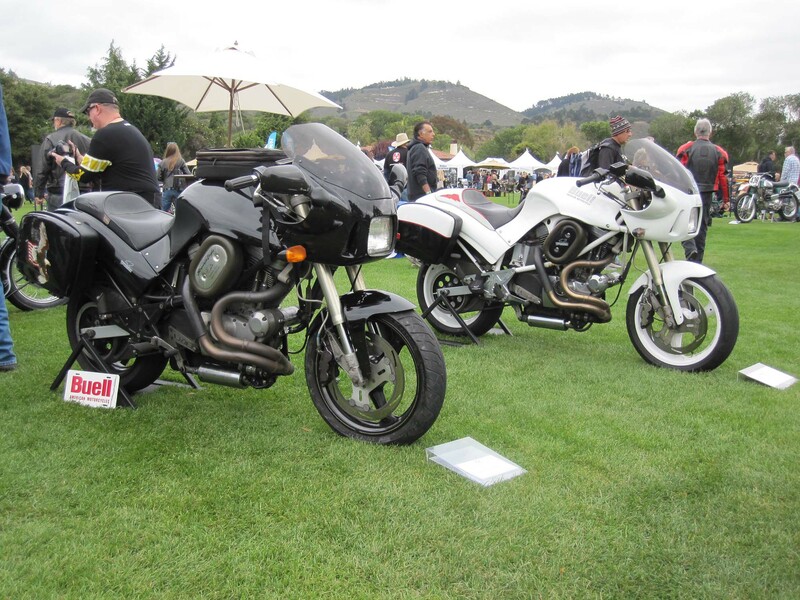 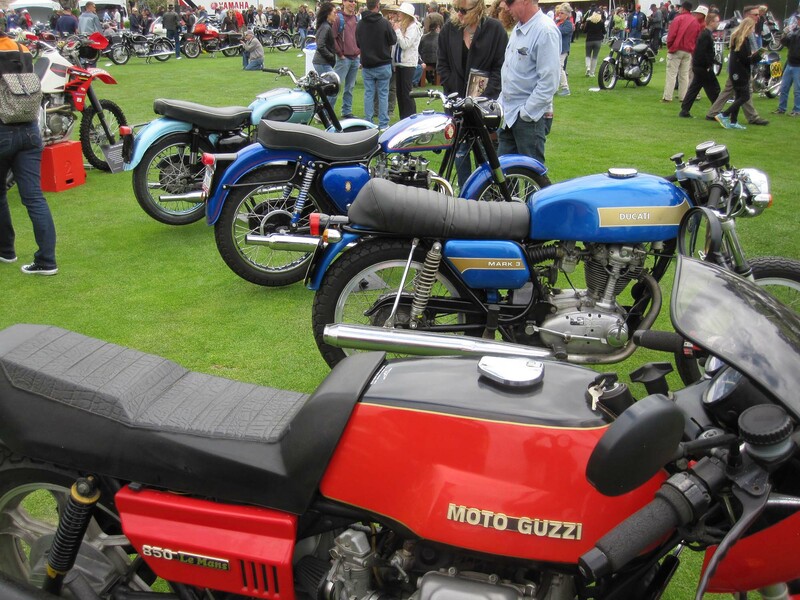 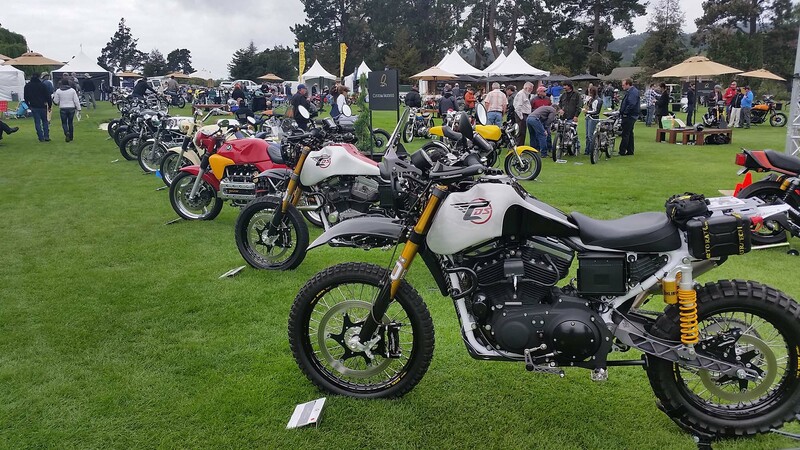 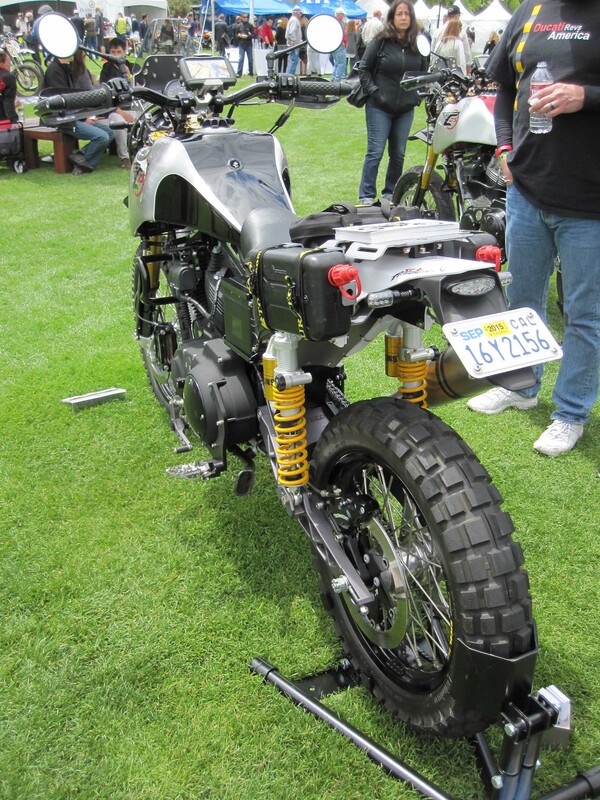 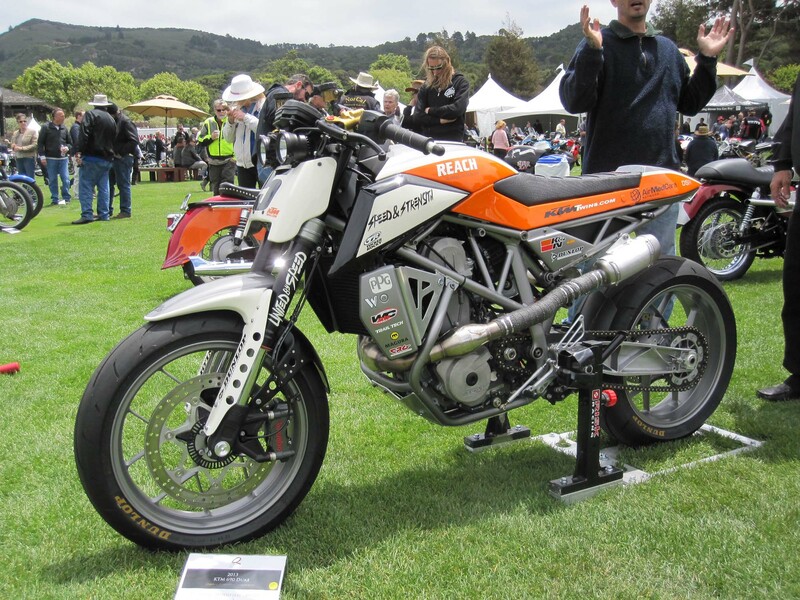 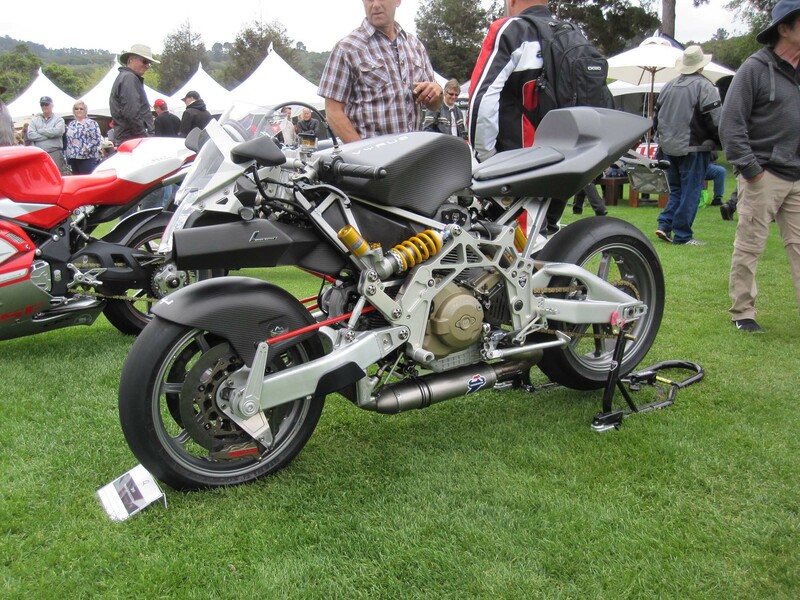 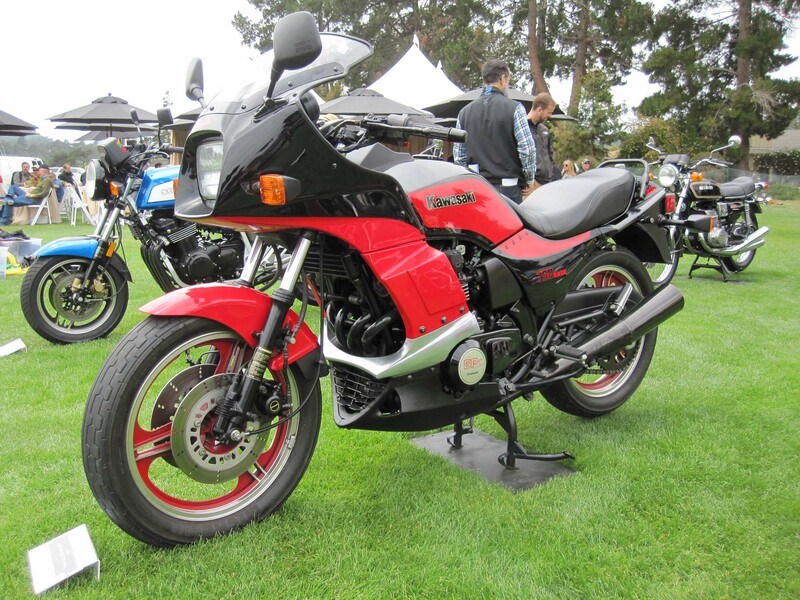 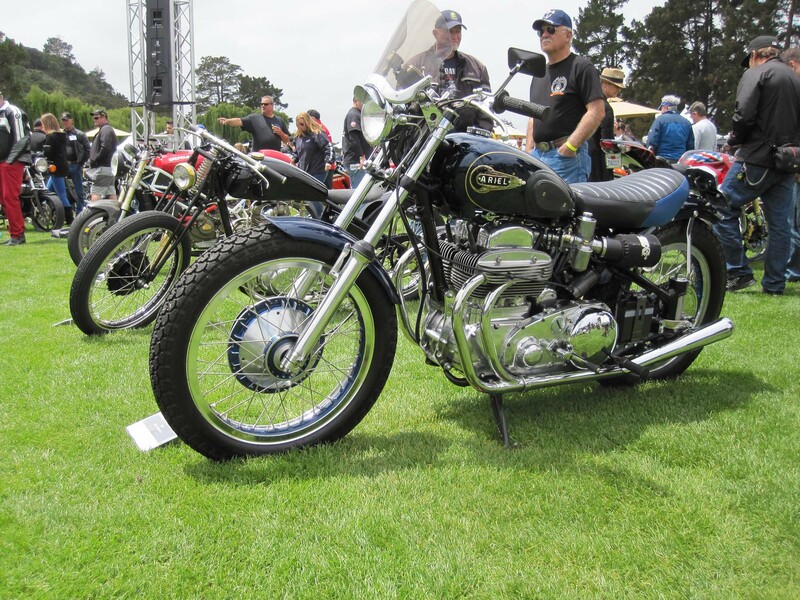 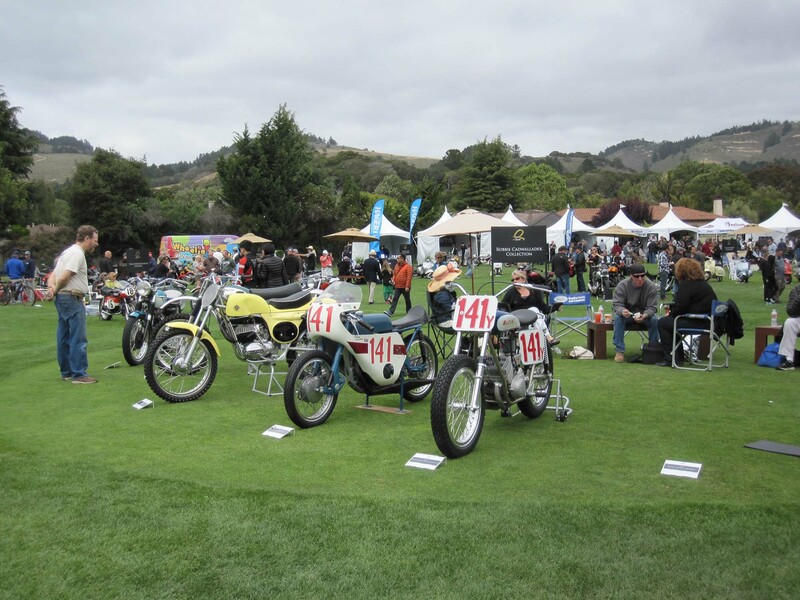 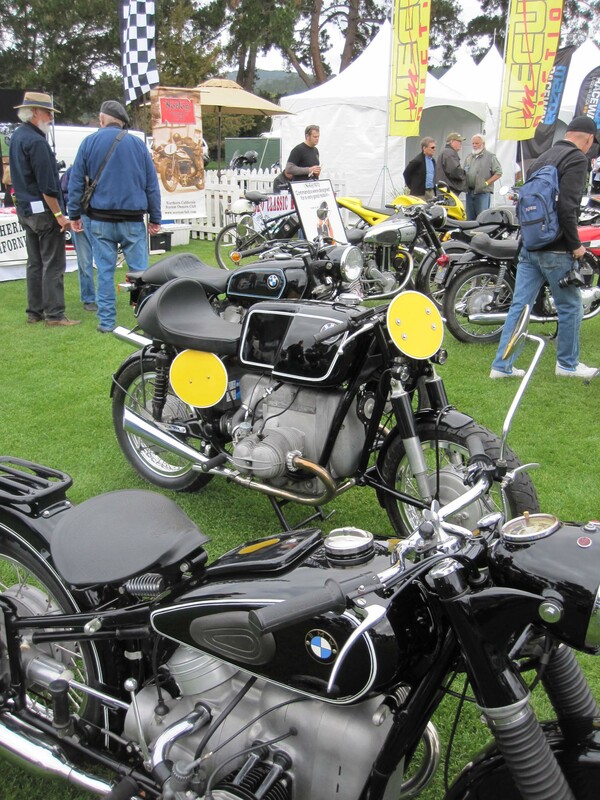 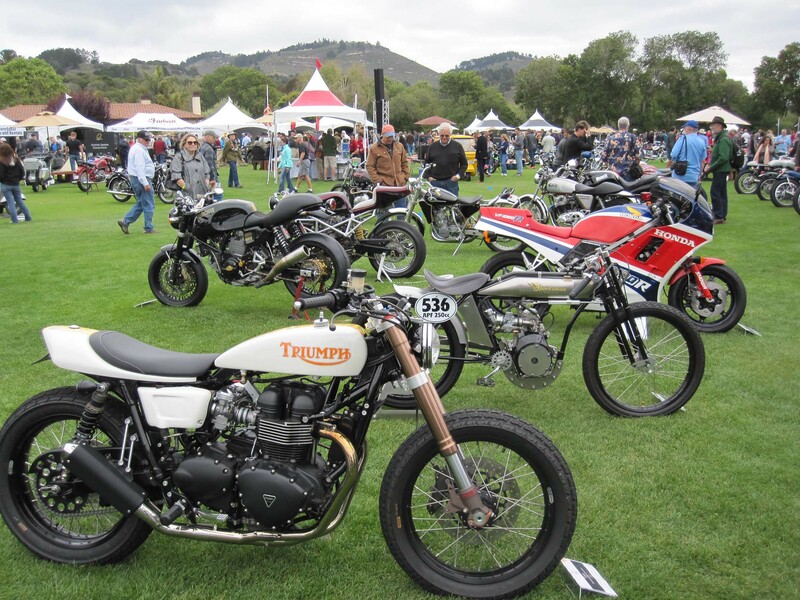 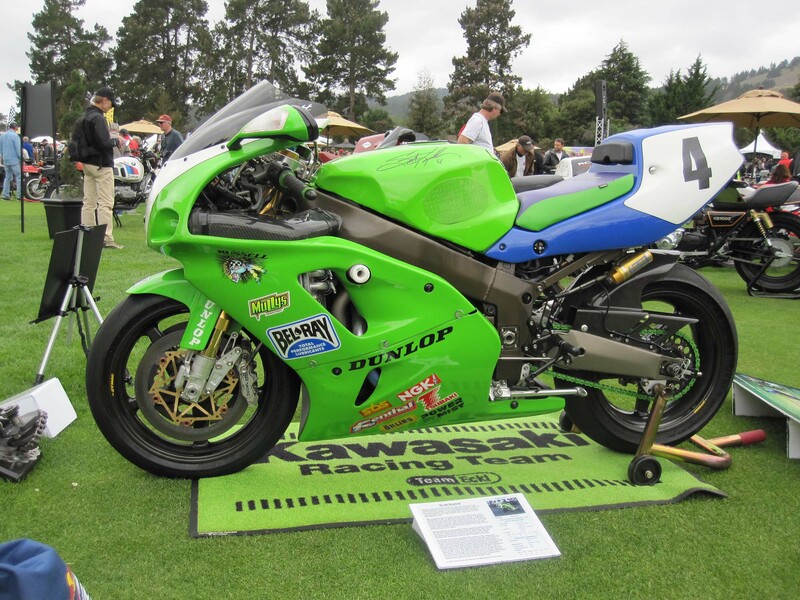 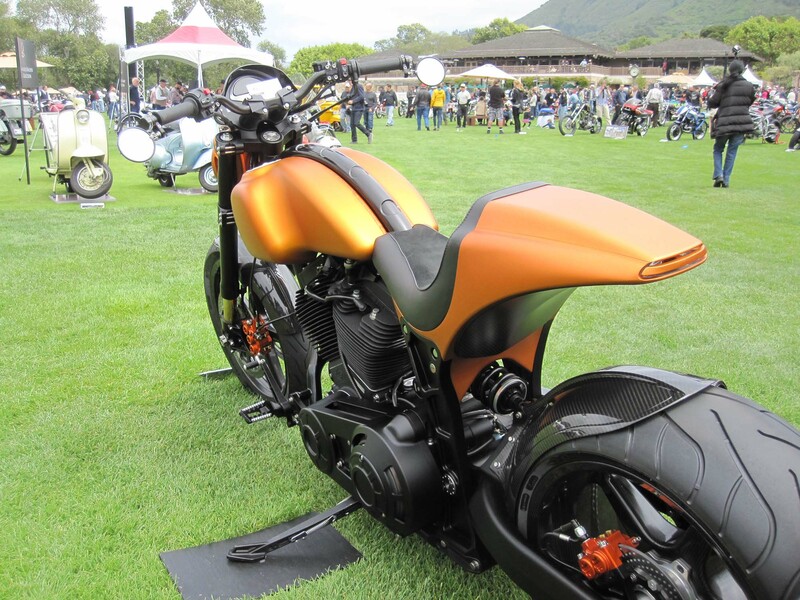 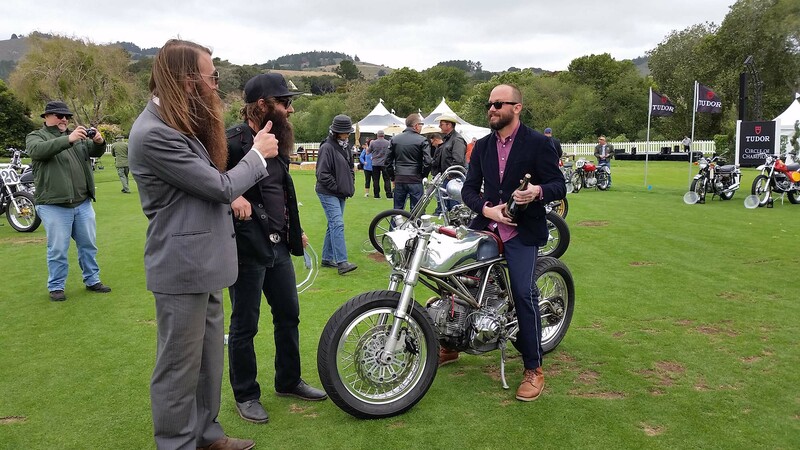 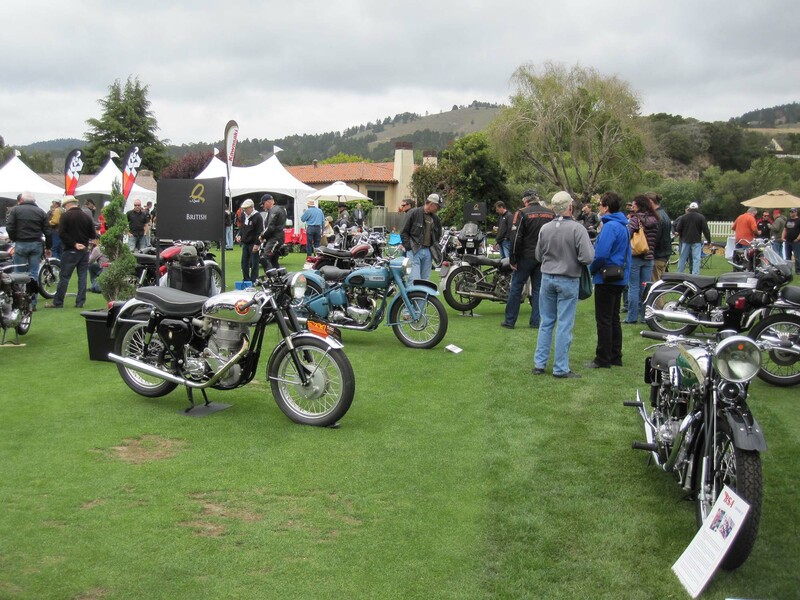 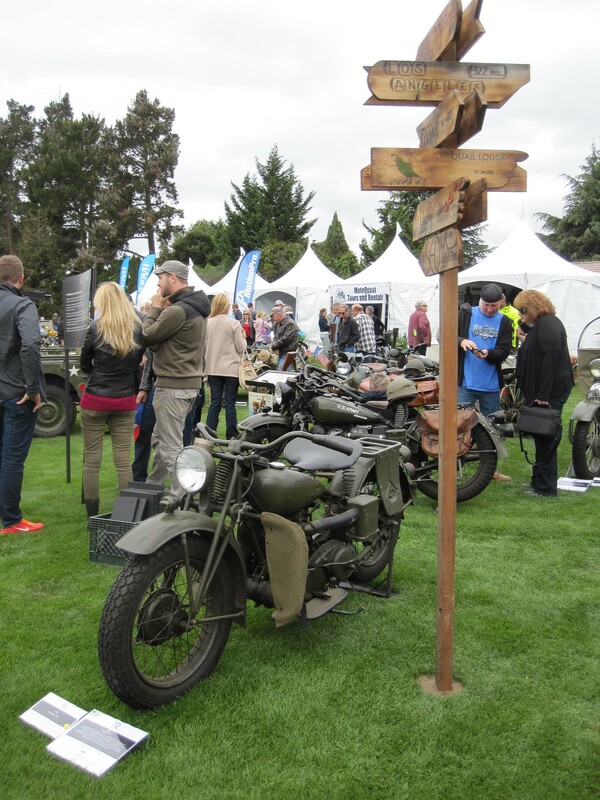 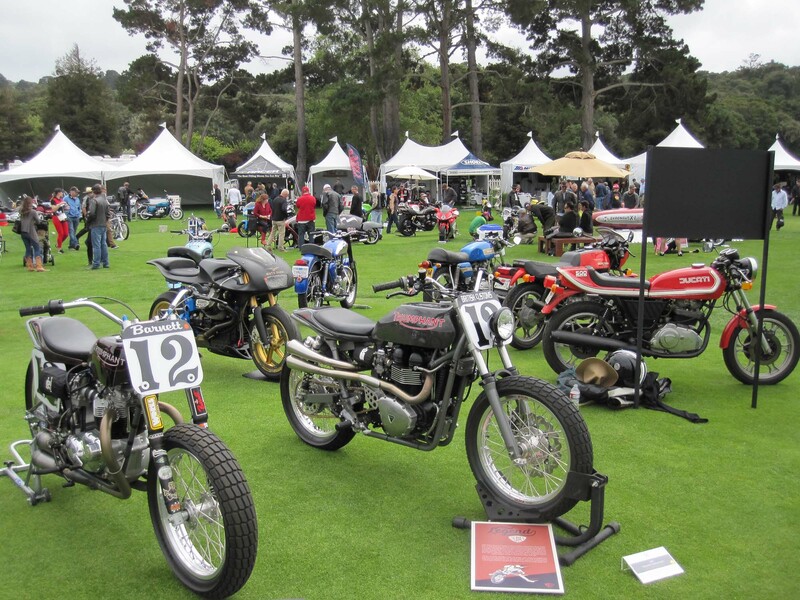 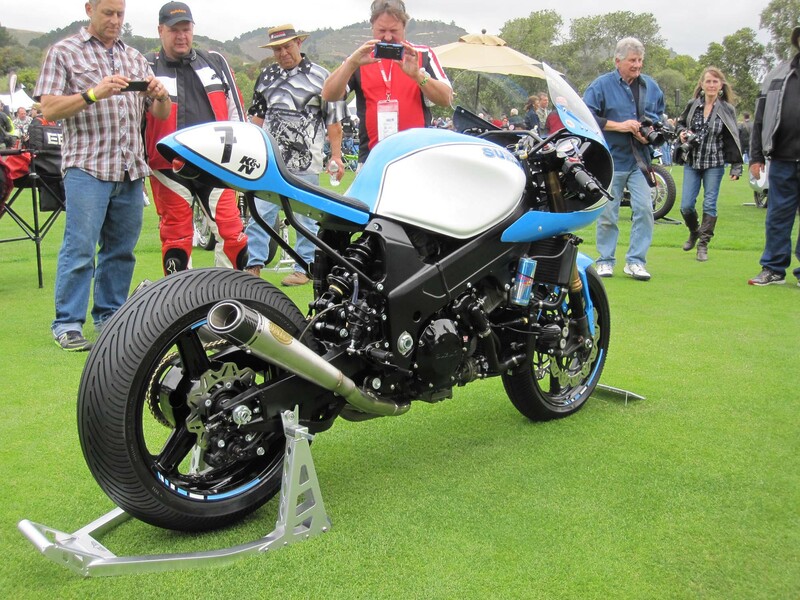 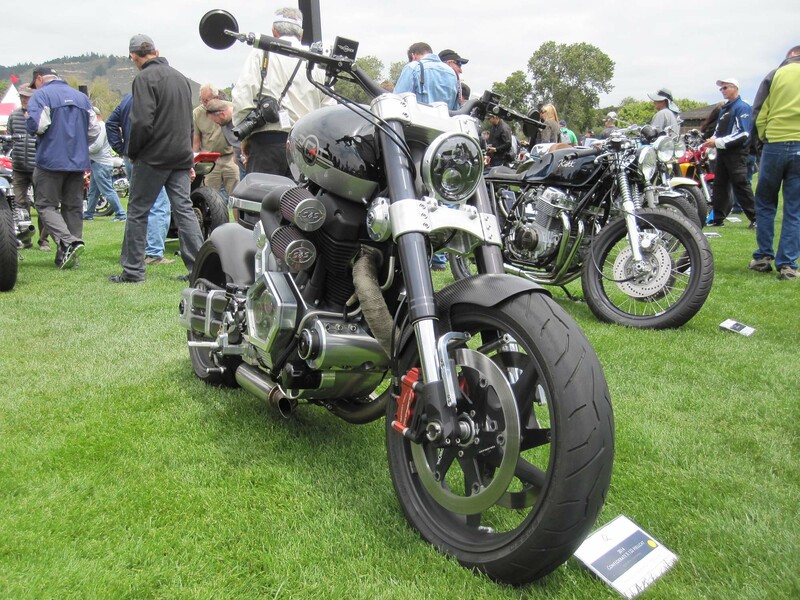 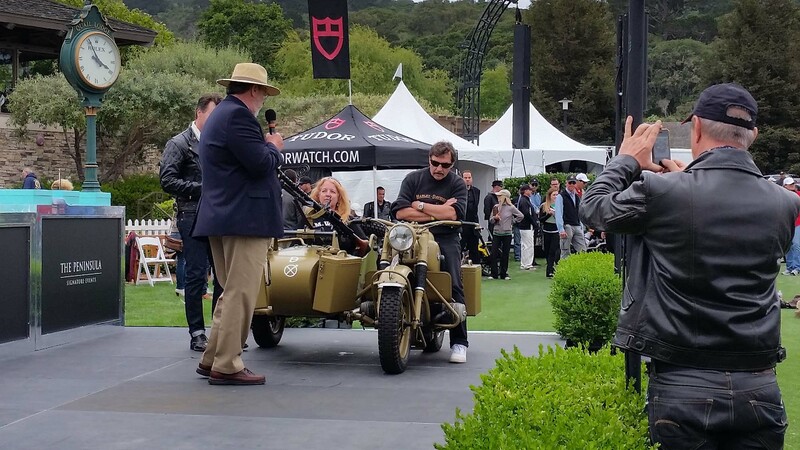 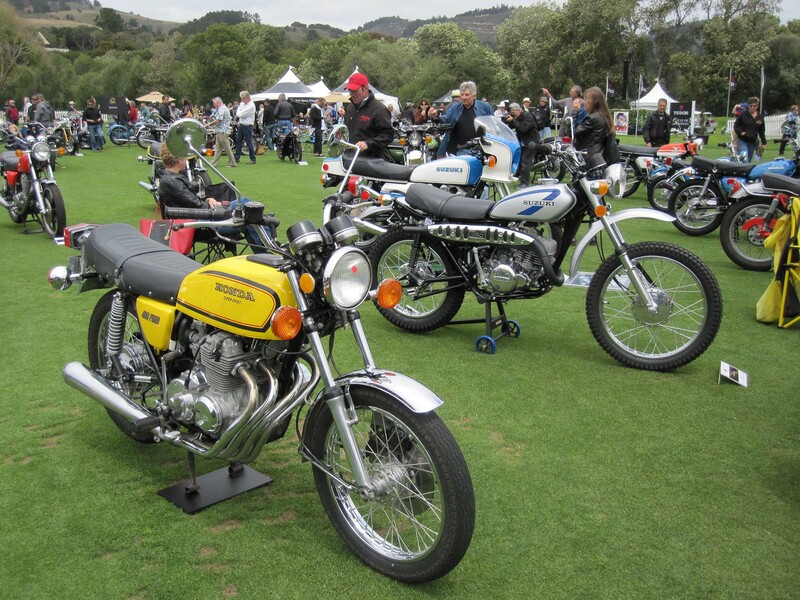 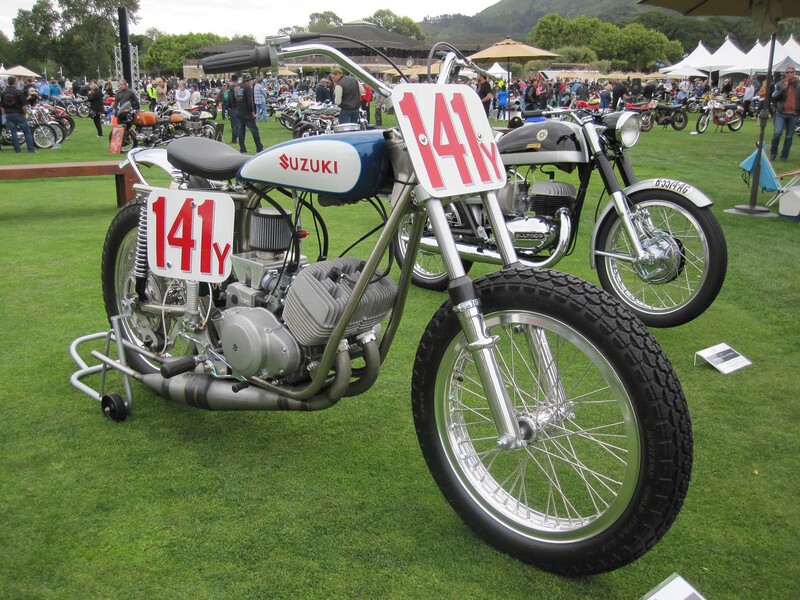 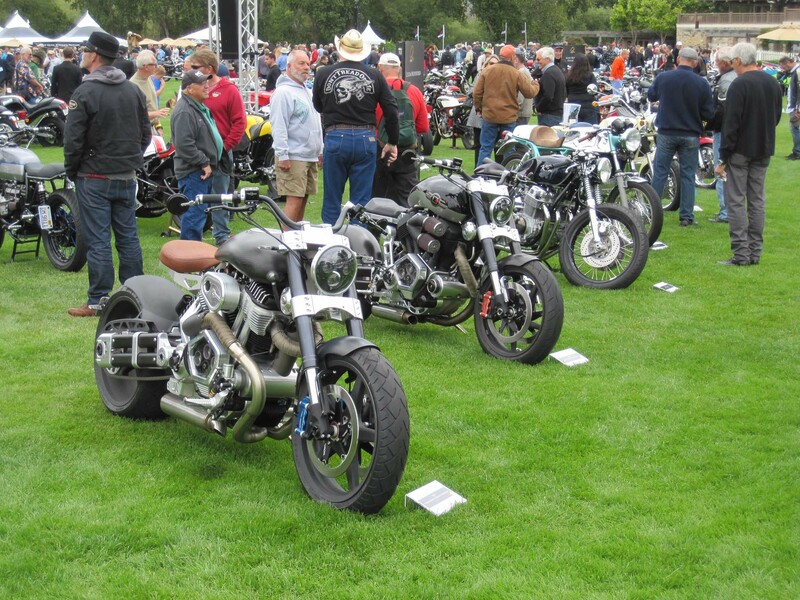 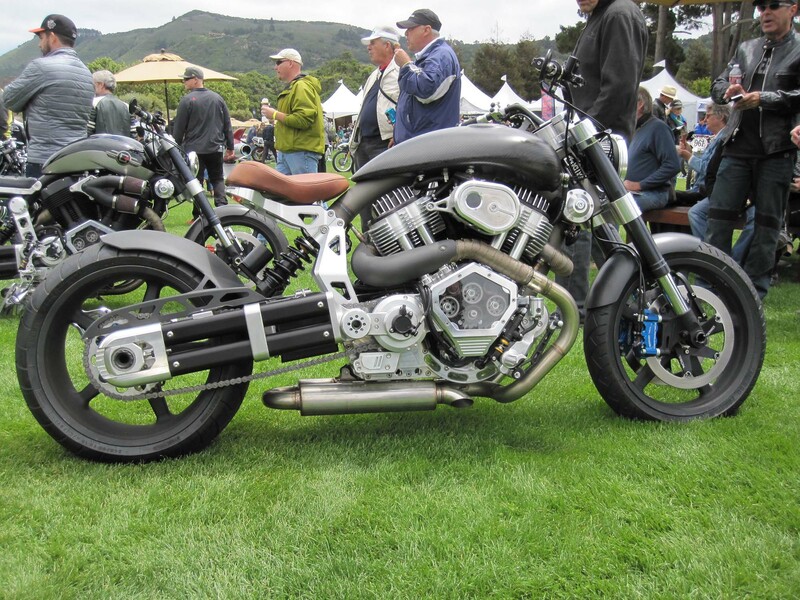 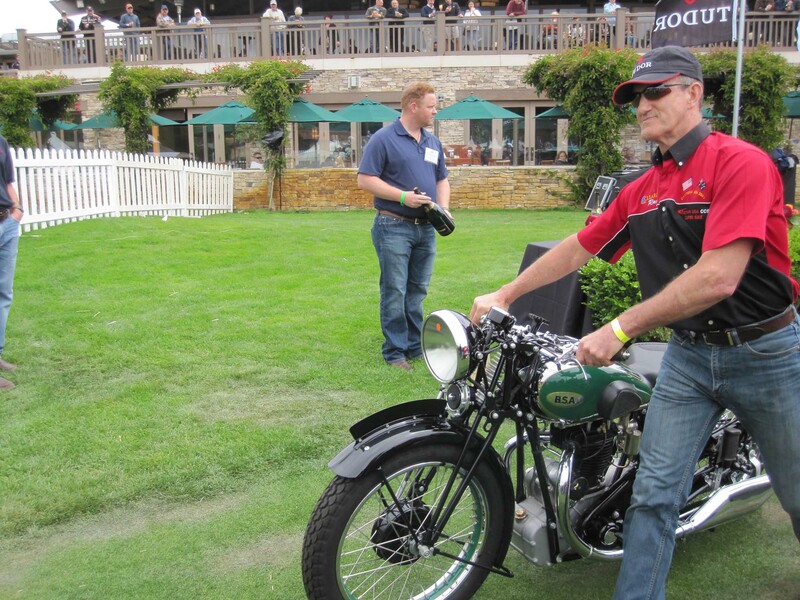 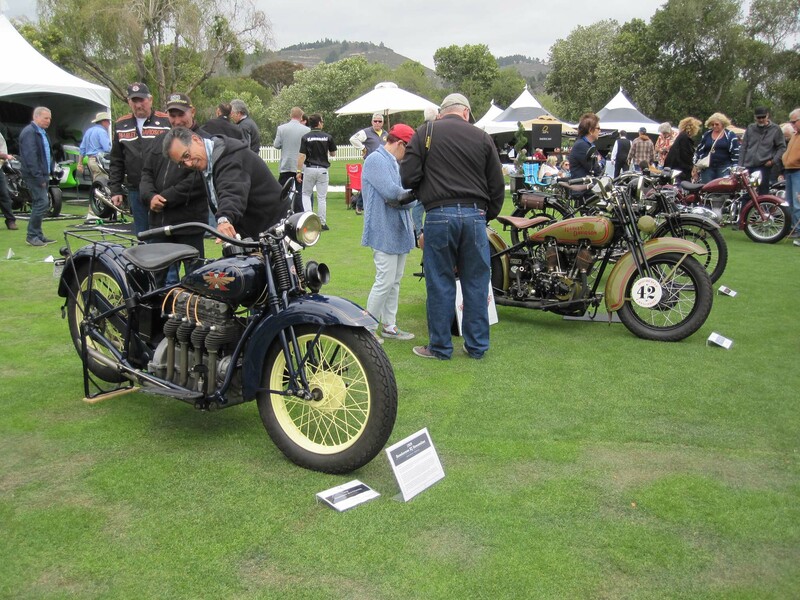 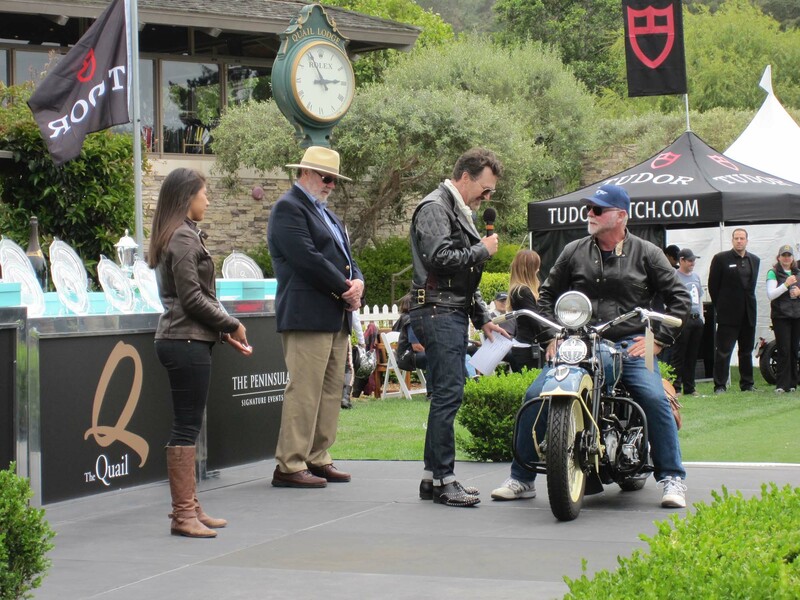 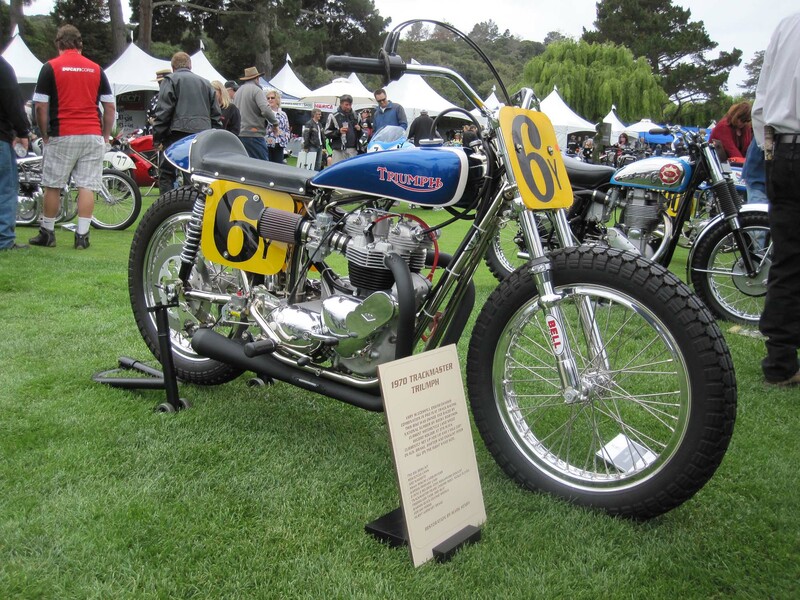 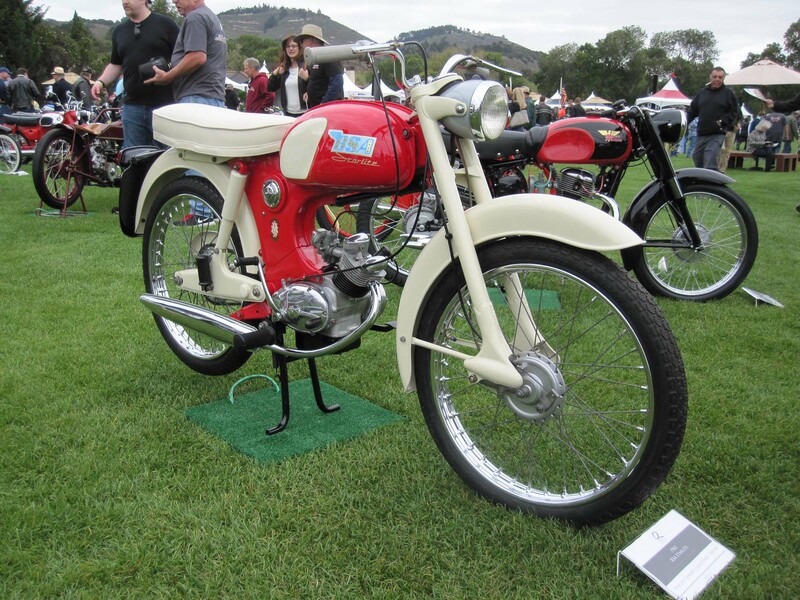 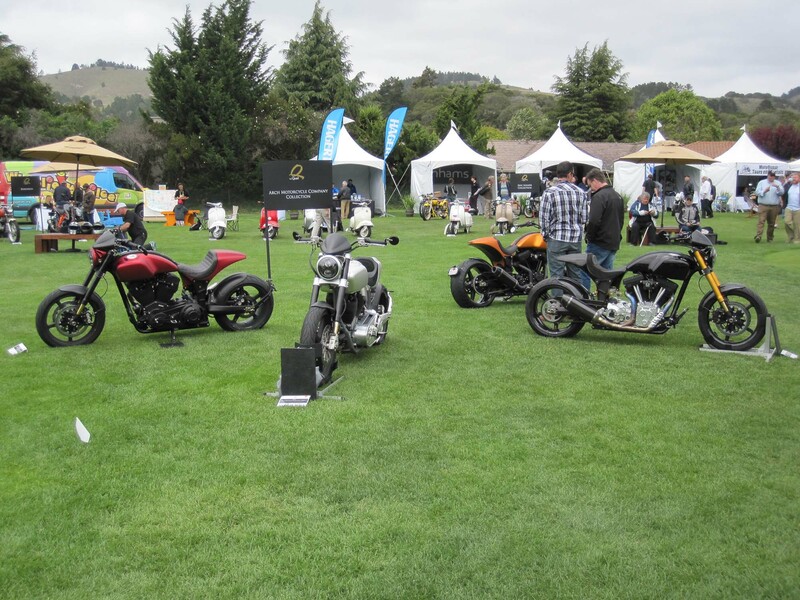 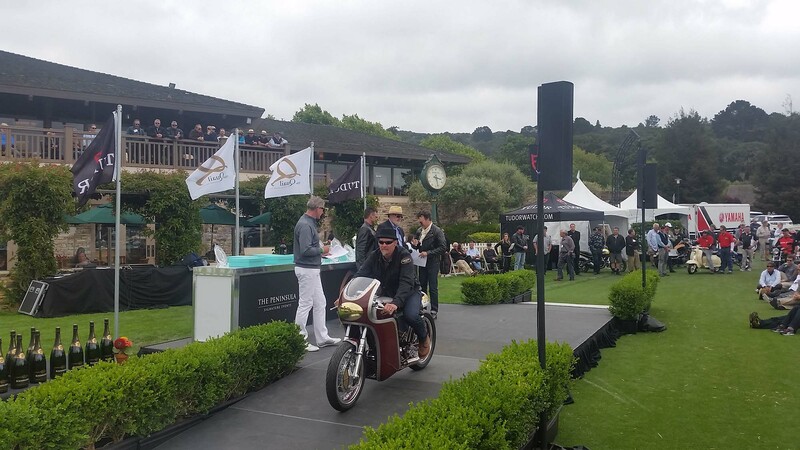 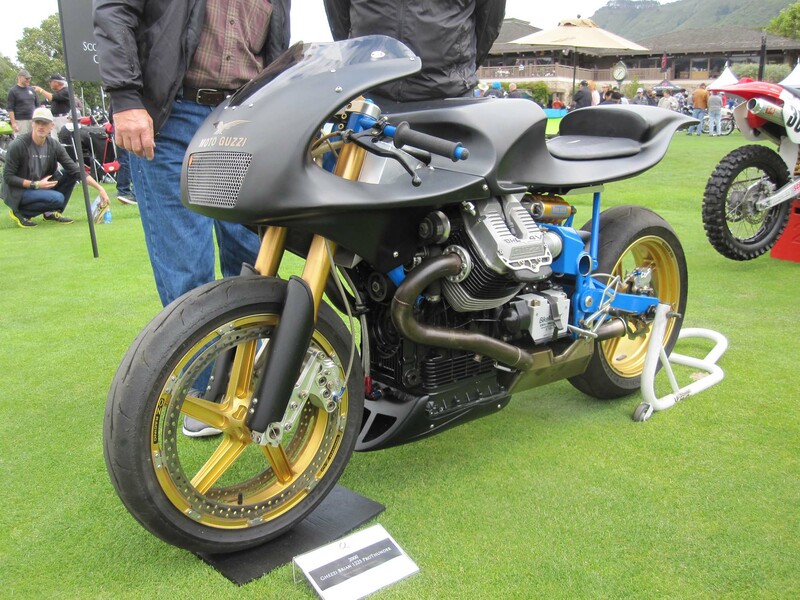 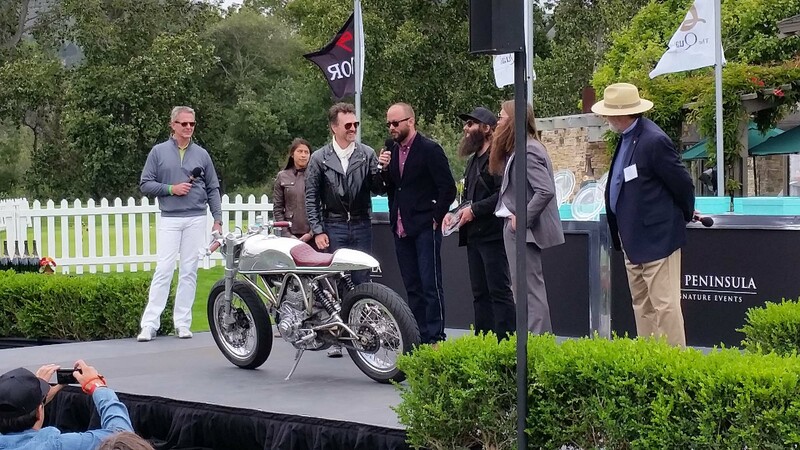 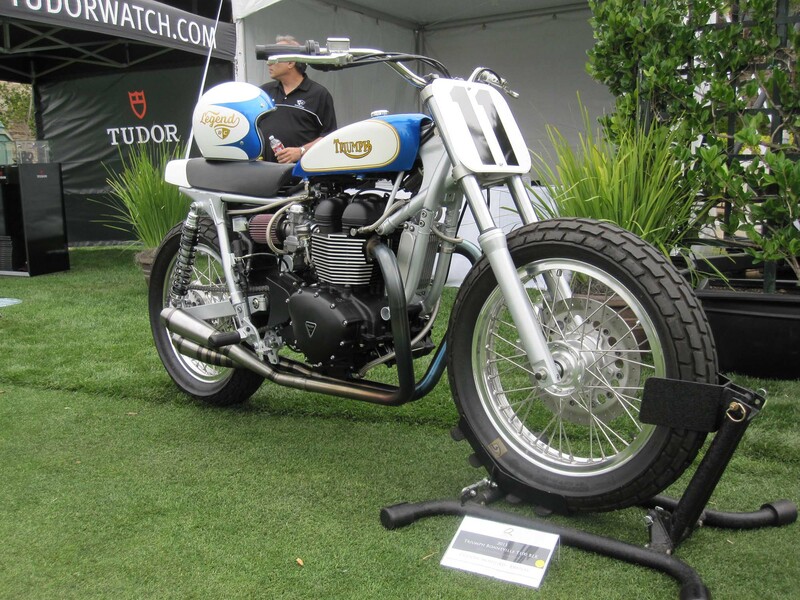 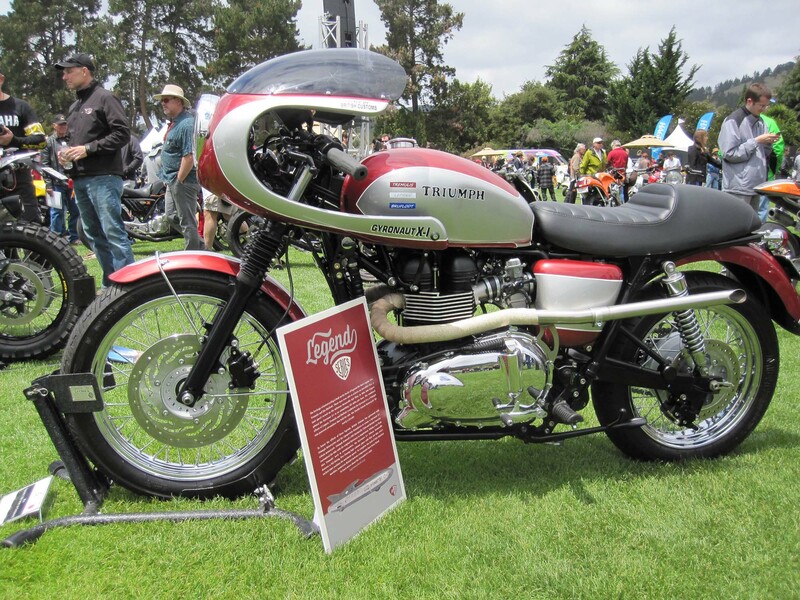 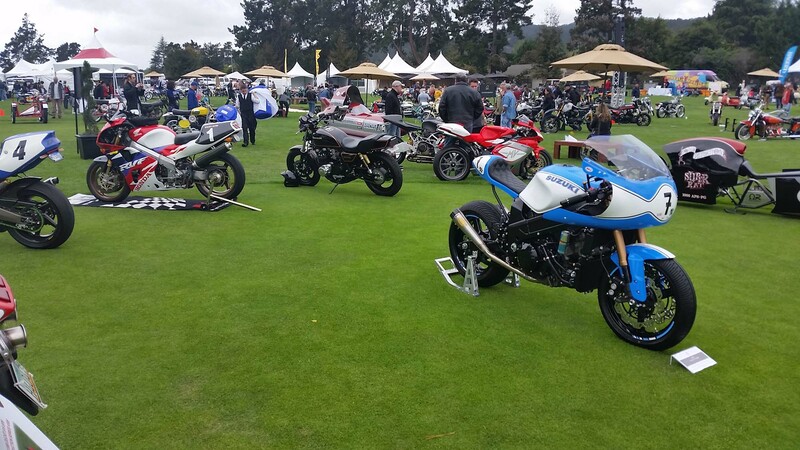 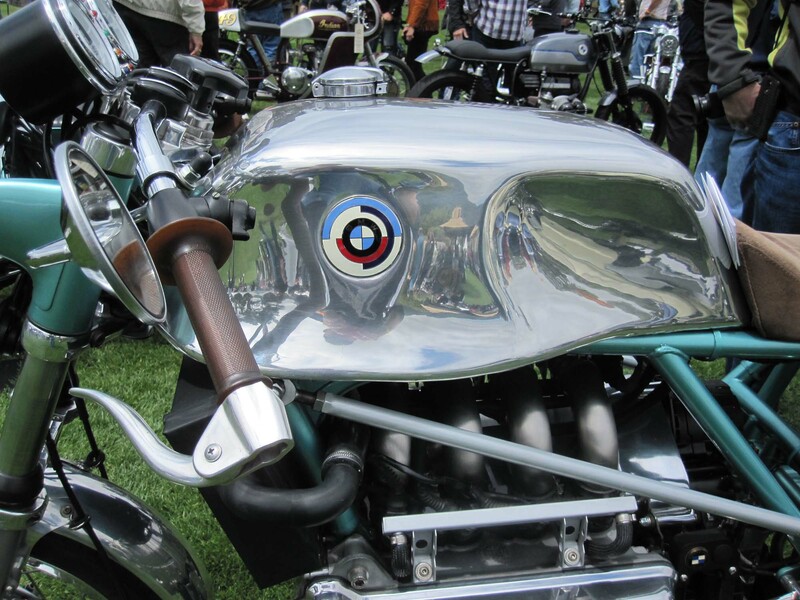 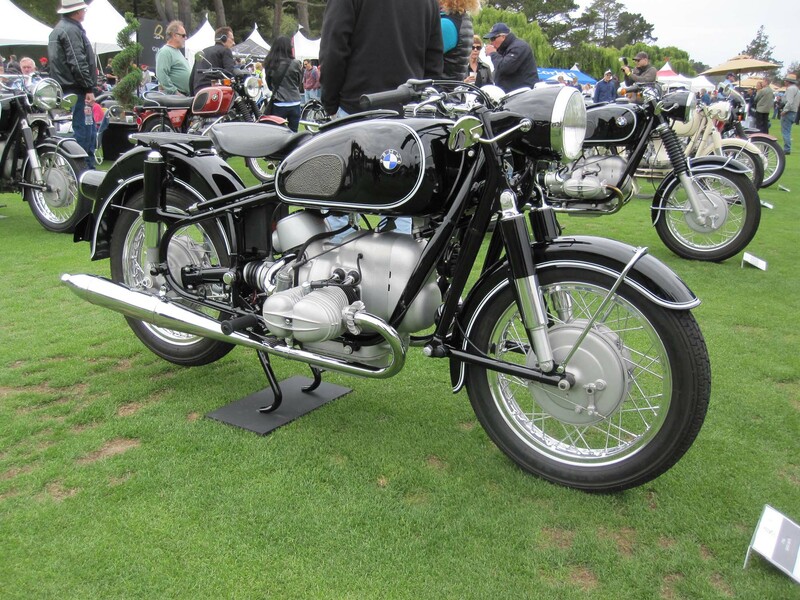 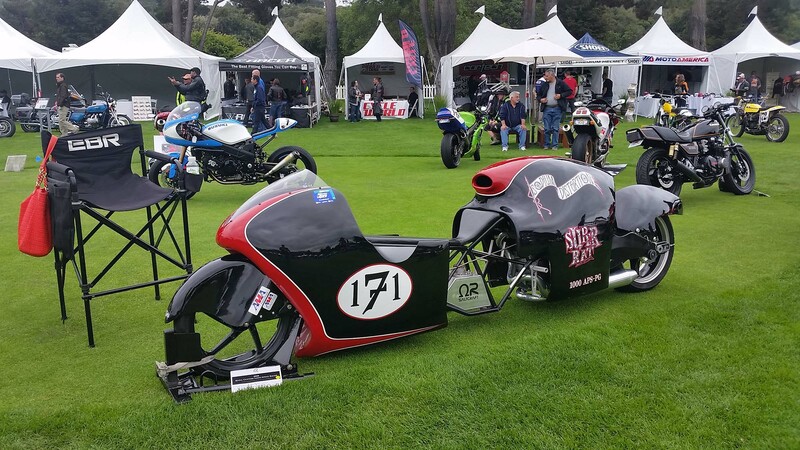 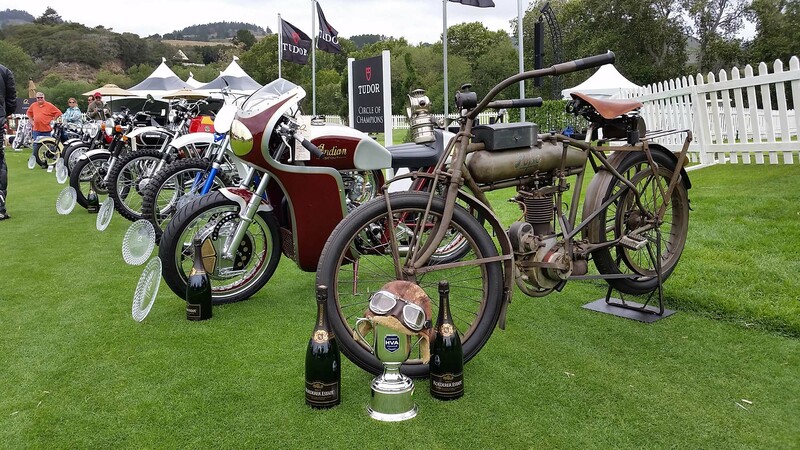 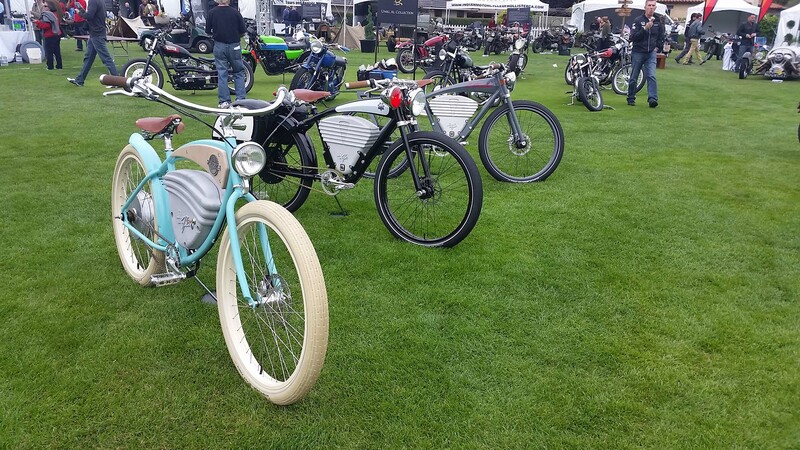 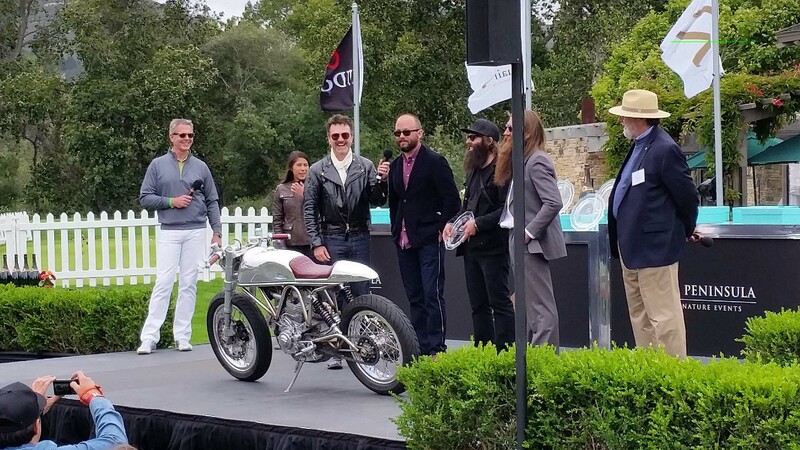 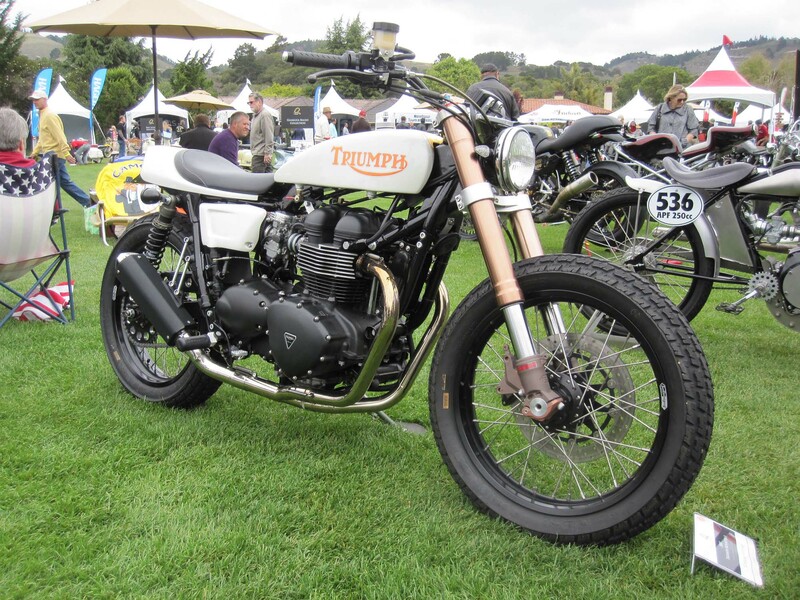 With a record number of bikes, a great crowd of enthusiasts, and a fantastic setting, the Quail should definitely be on your list of motorcycle must-dos.